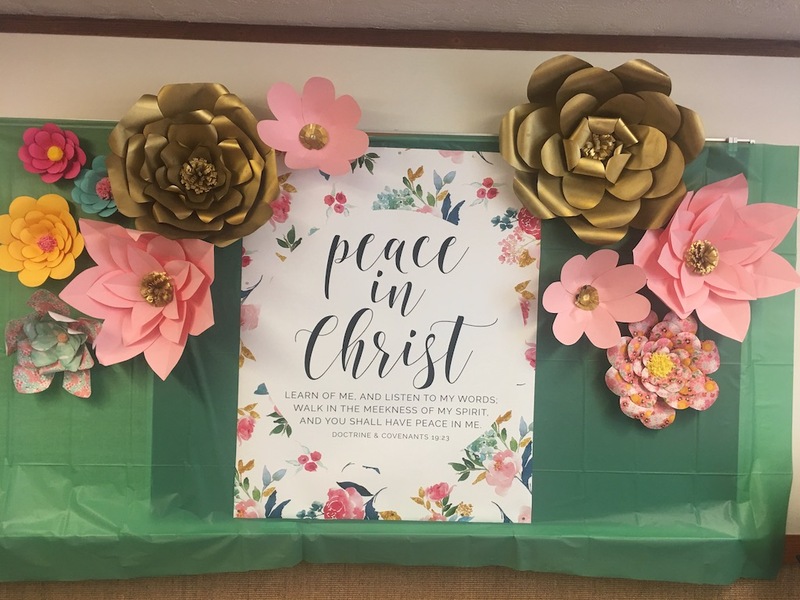 We used this year’s Mutual theme D & C 19:23 “Peace In Christ” for our New Beginnings theme. 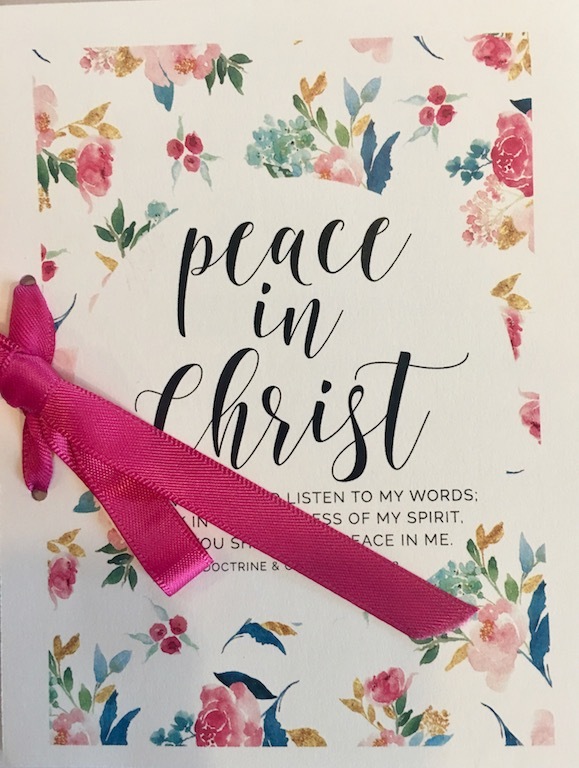 Where can we turn for peace, where do we go to find Christ? 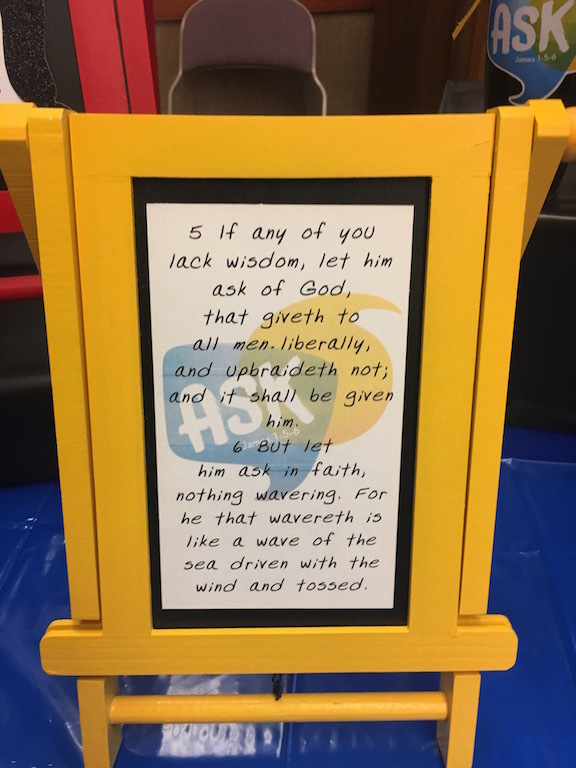 For some it is in prayer, for others they turn to the scriptures. 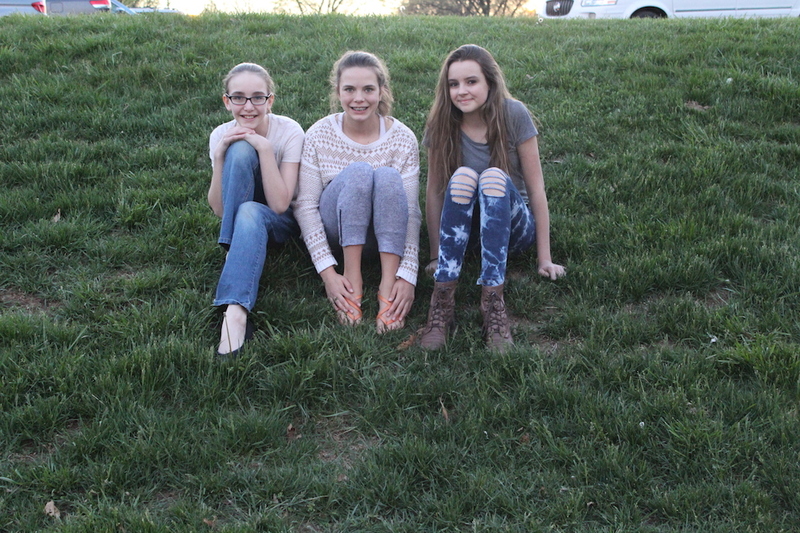 Other people seek solace by going to a special quiet place, like a garden. 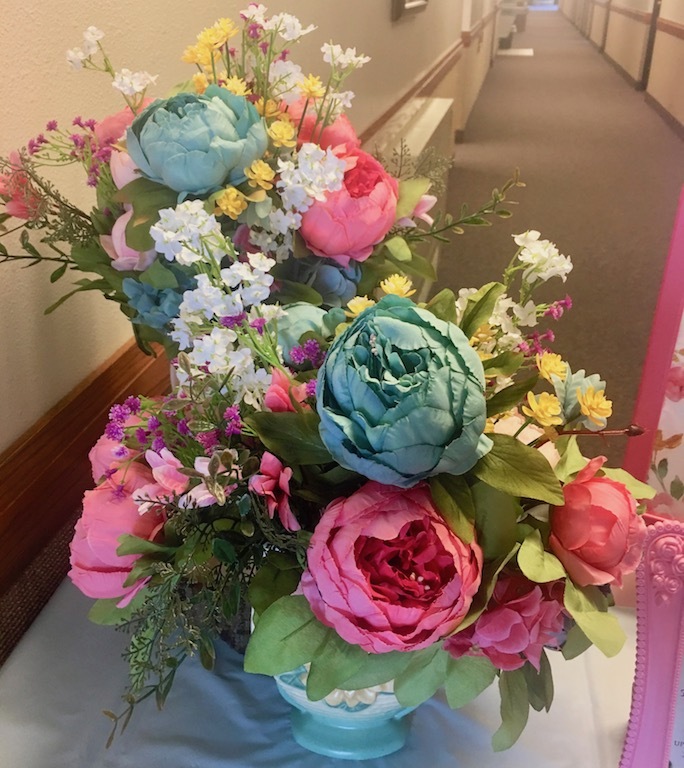 Gardens have played a special role in the history of mankind. 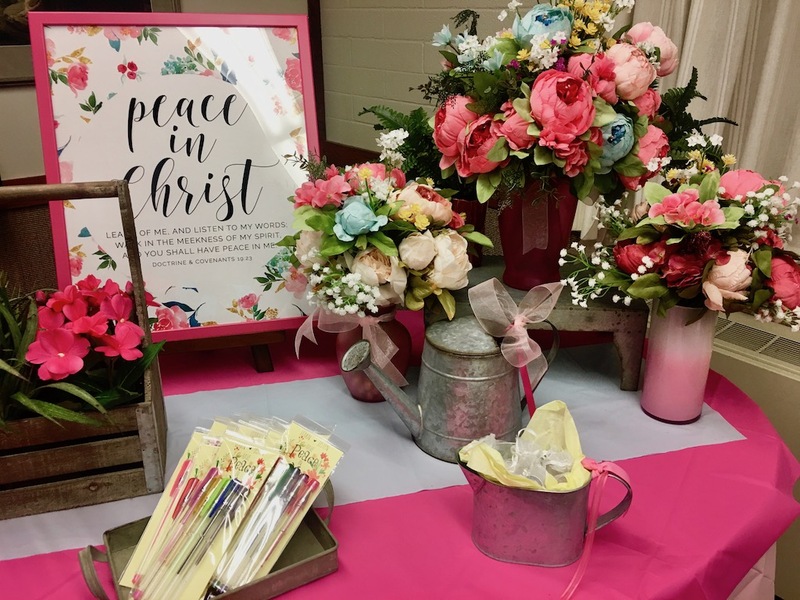 The Garden of Eden was man’s first home given to him from God. 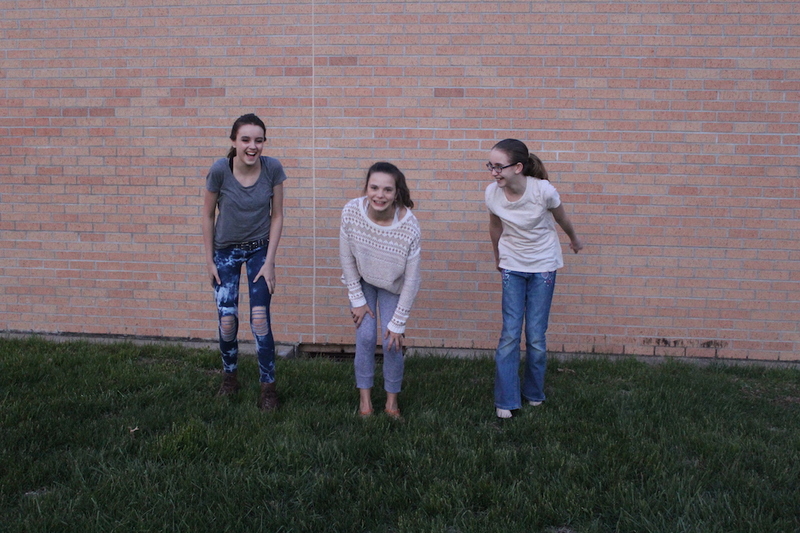 It is also where the fall occurred. 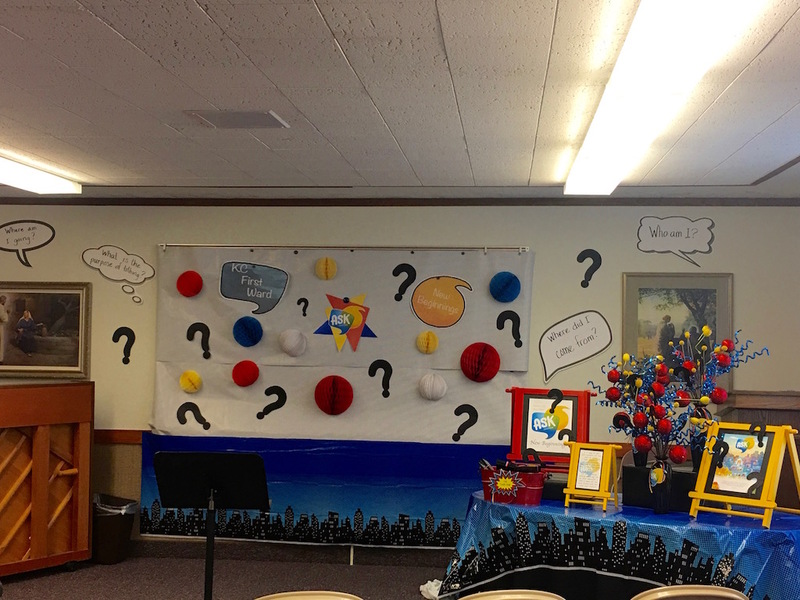 Interestingly enough, Christ’s atonement also took place in a garden, the Garden of Gethsemane. 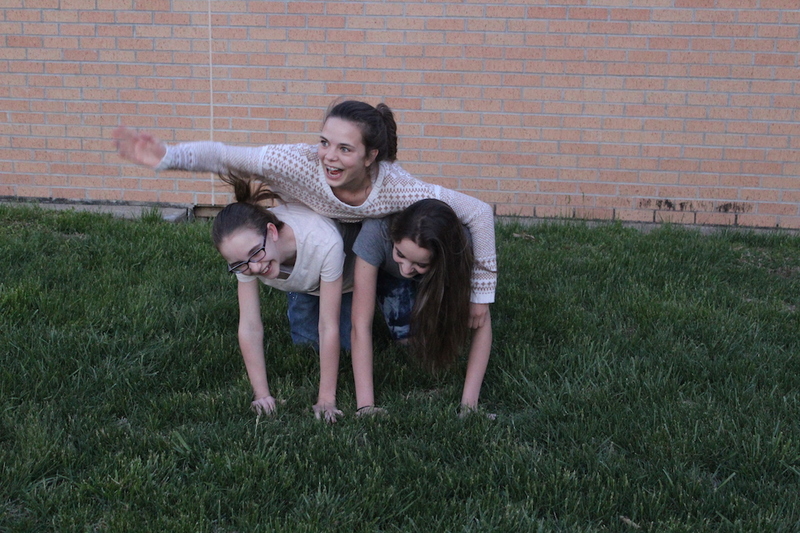 So two of the greatest events in the history of mankind took place in a garden. 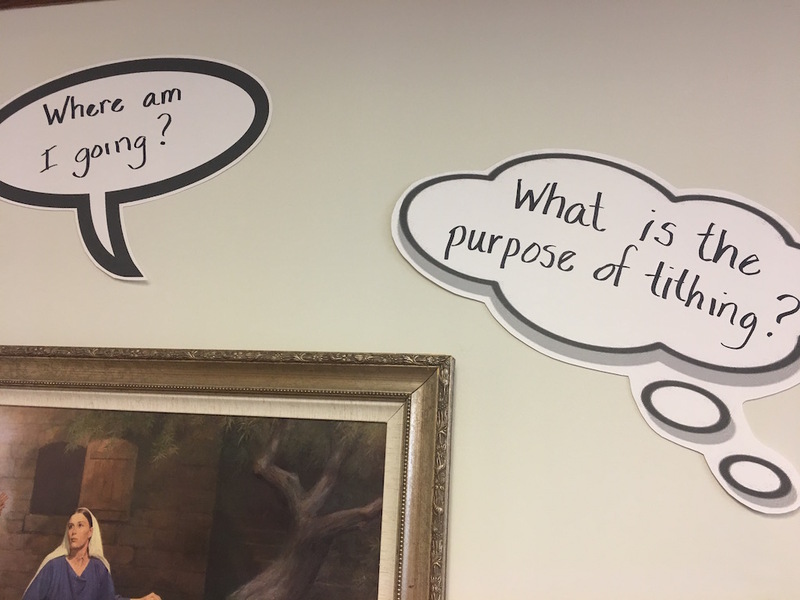 Another great event took place in a grove of trees, when Joseph Smith prayed to seek the answers he sought. 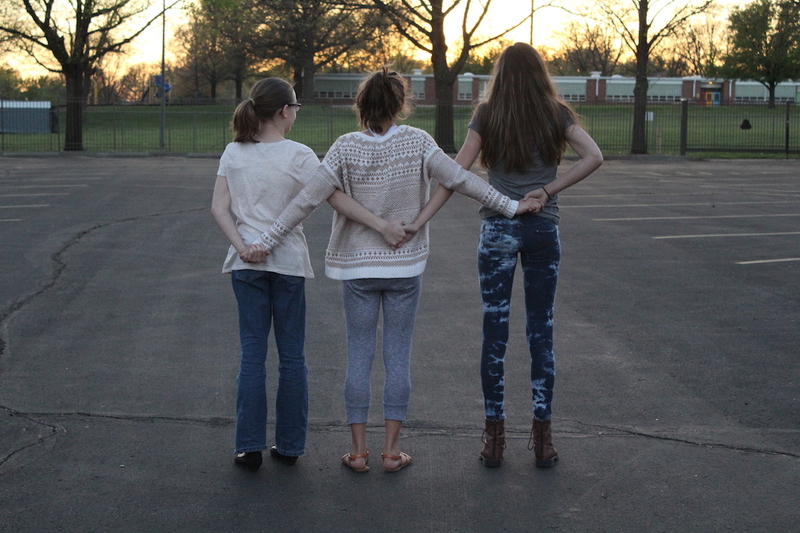 The Sacred Grove is a garden of trees. 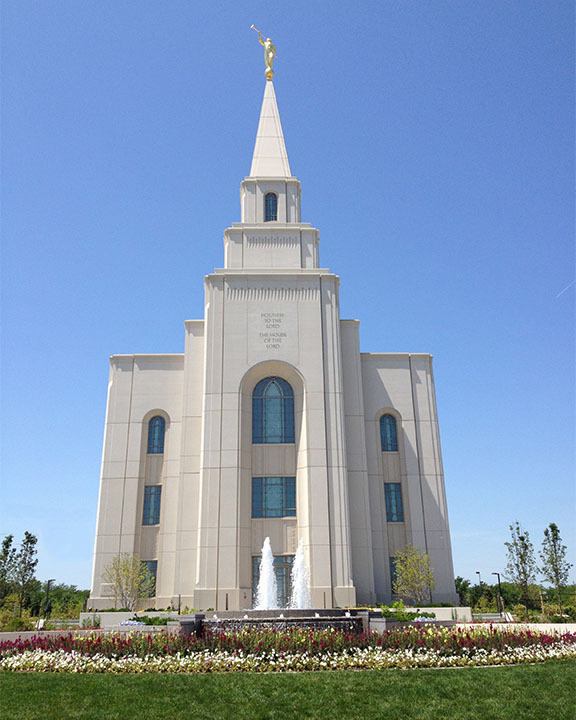 Gardens have been where some of the most spiritual events in our history have occurred. 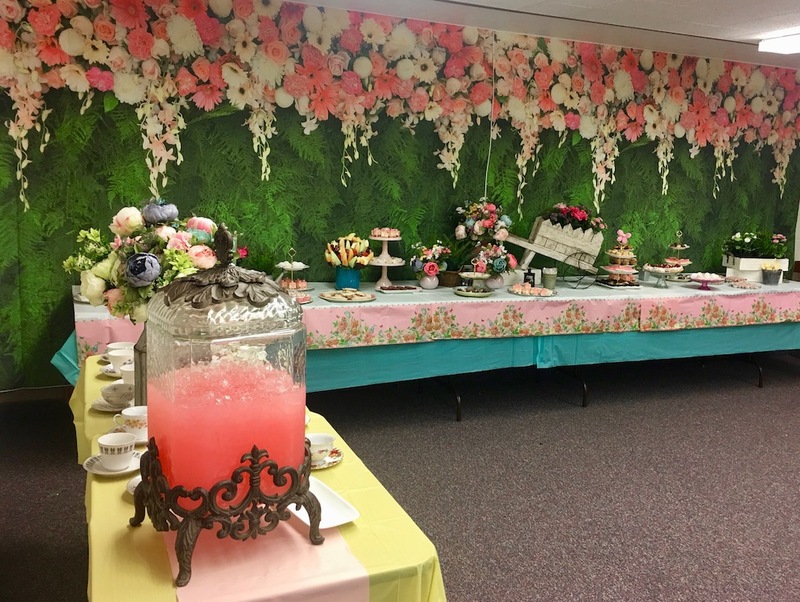 So we decided to use the garden theme for our NEW BEGINNINGS theme this year. 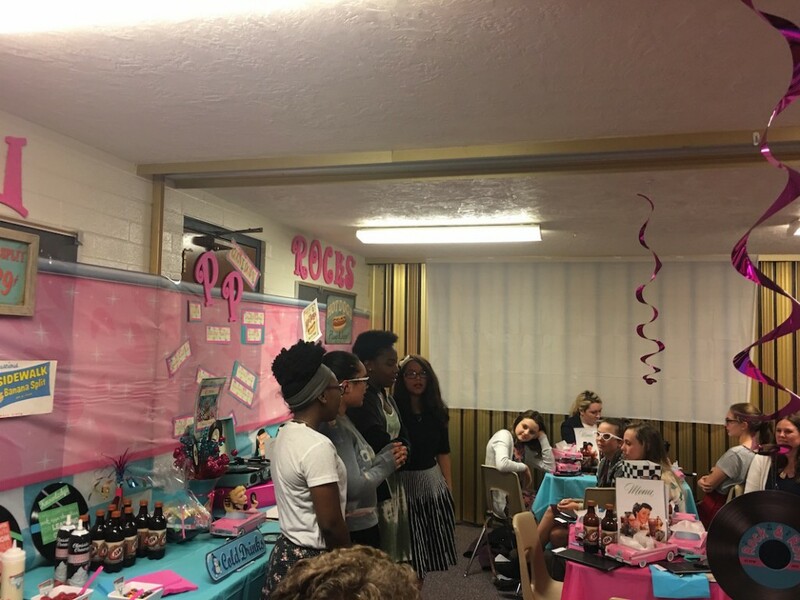 Our program: (our cover and posters in the room were from the shop Westwillow on Etsy. 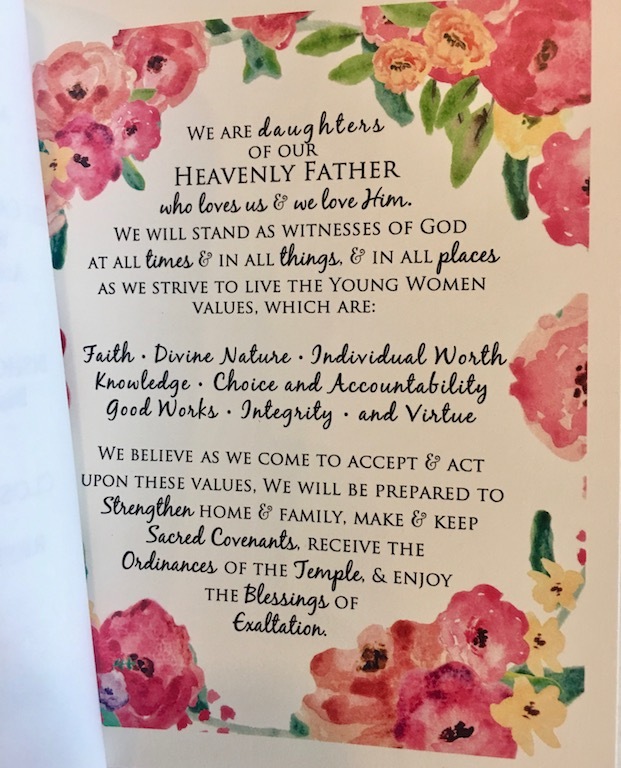 Young Women’s theme (from the shop PixellePress on Etsy). 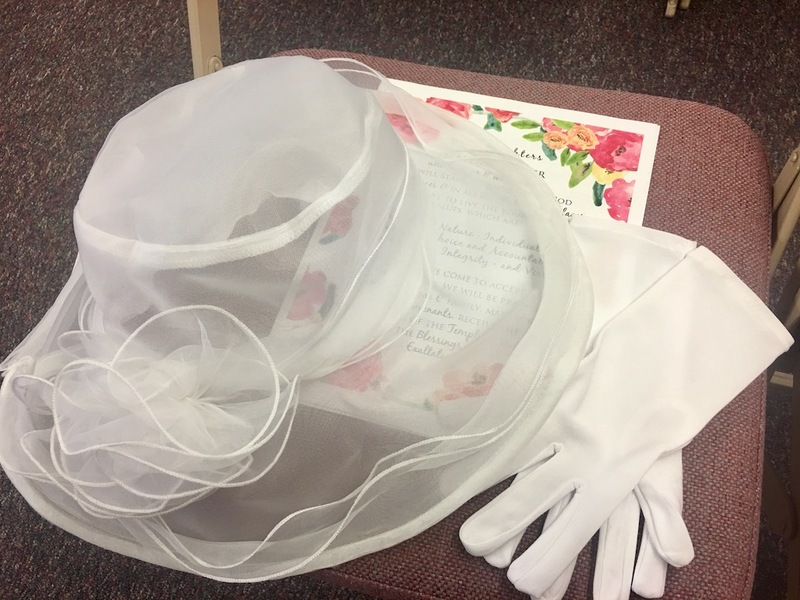 After our program it was time for our garden party complete with white hats and gloves (everyone received their own white hat and gloves). 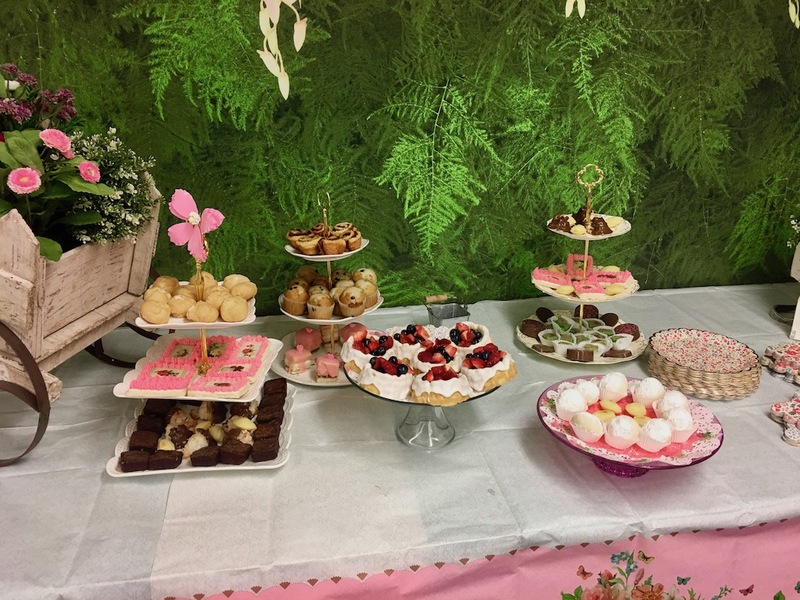 And of course all the proper tiny desserts! 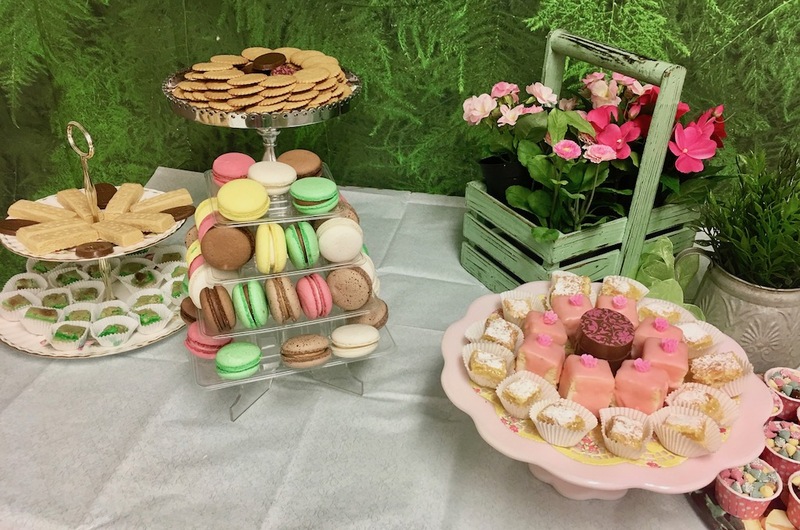 (Petit fours, macarons and macaroons, tiny brownies, cream puffs, tiny cinnamon rolls, mini muffins, shortcake and berries, shortbread cookies, madeleines, transfer chocolates with shortbread inside, kourabiedes, mini lemon and lime bars, pineapple cookies, sugar cookies with wafer paper, fruit, and finger sandwiches). 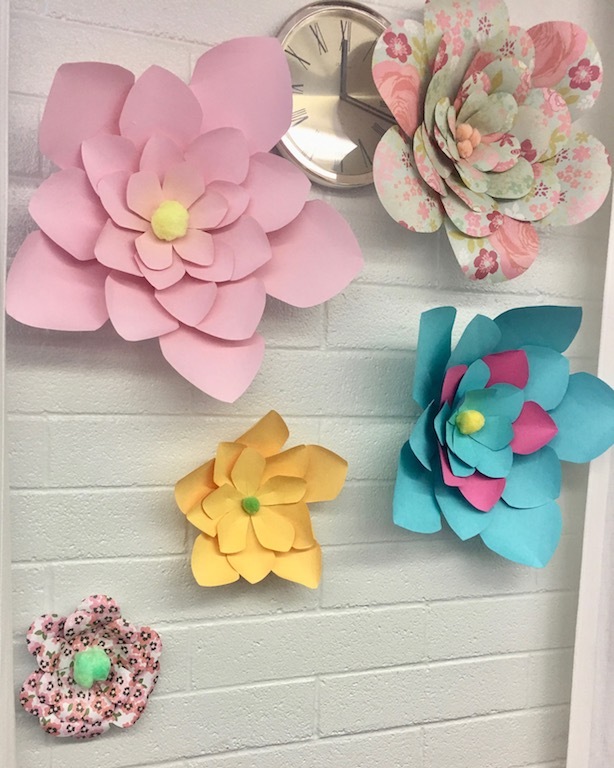 Our walls were covered in flowers! 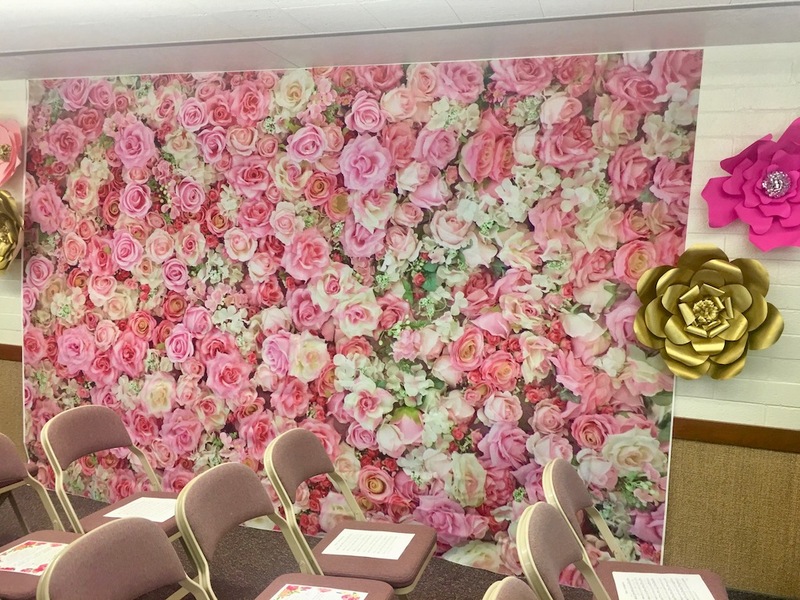 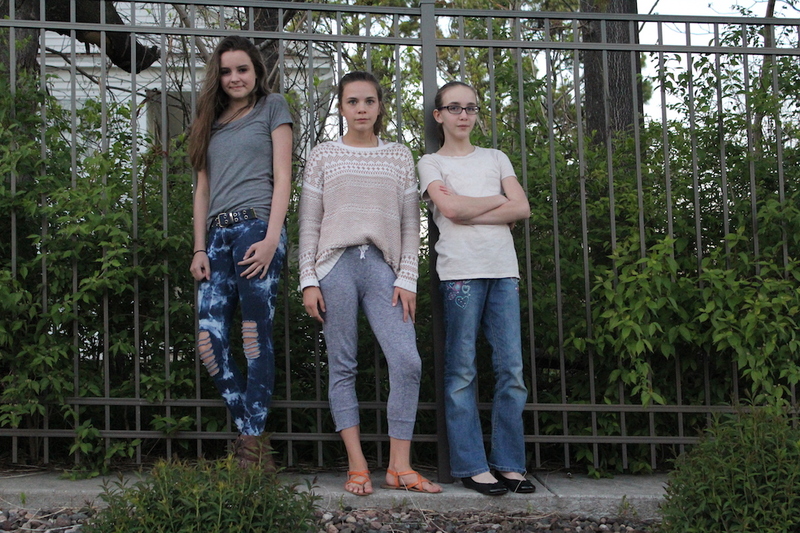 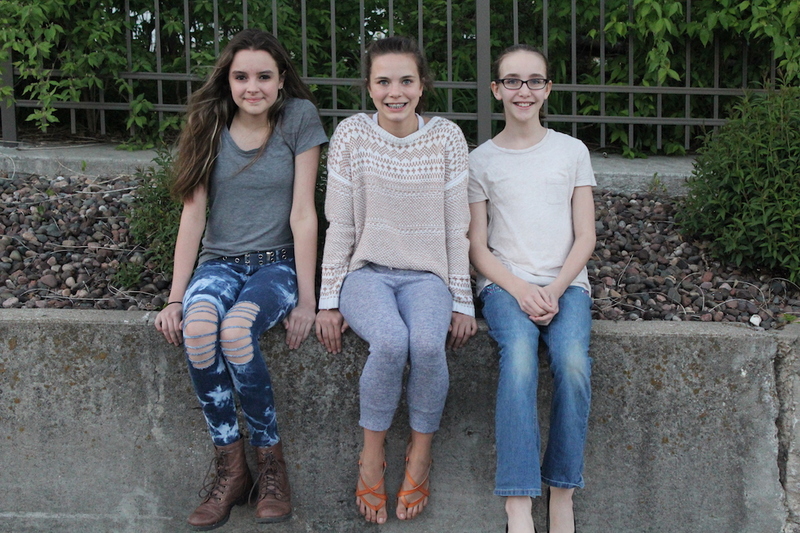 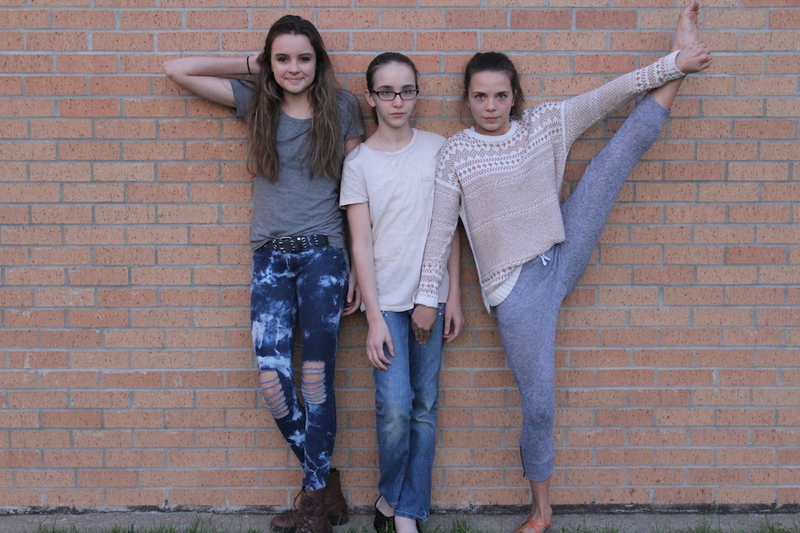 Photos were taken of each girl with the rose background. 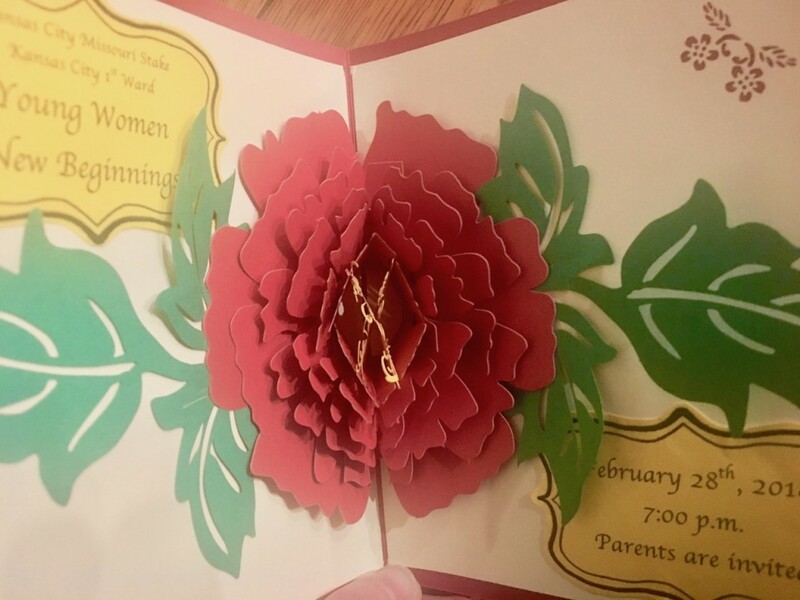 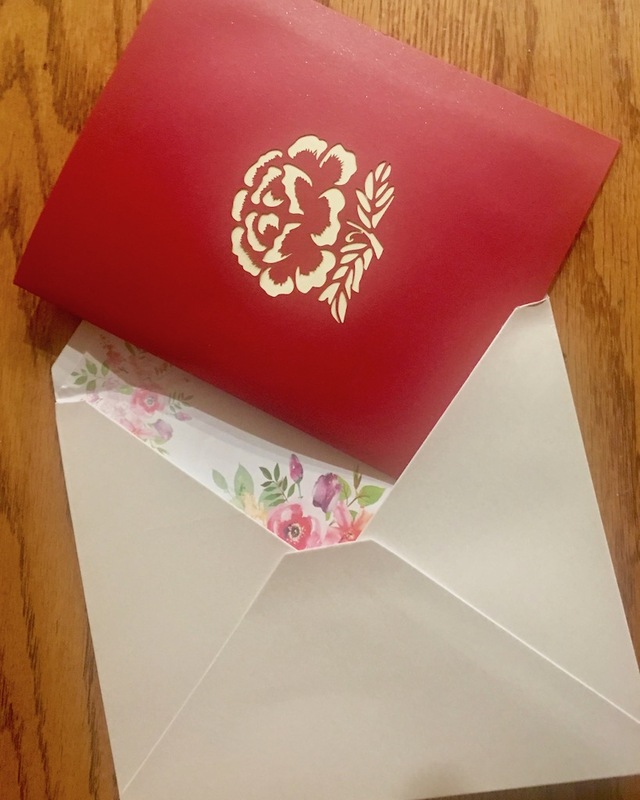 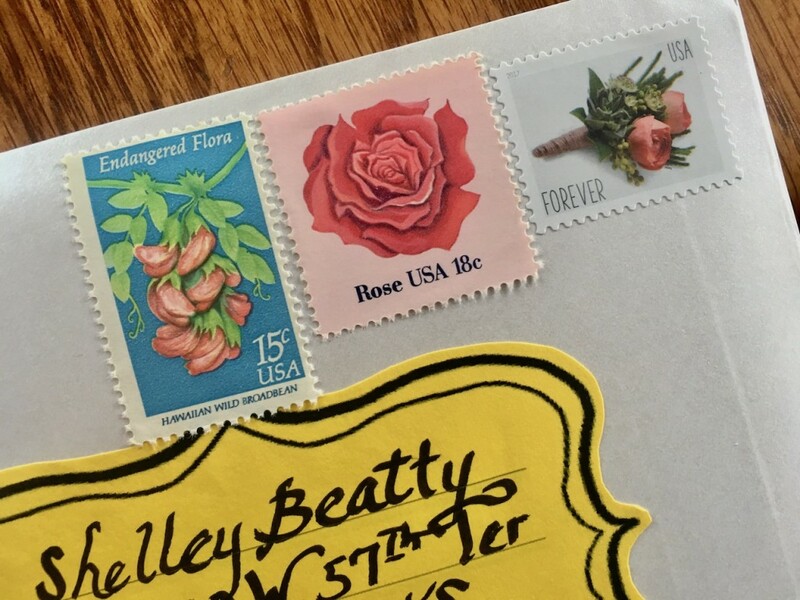 Our invitations were pop-up flowers sent out with vintage flowered stamps. 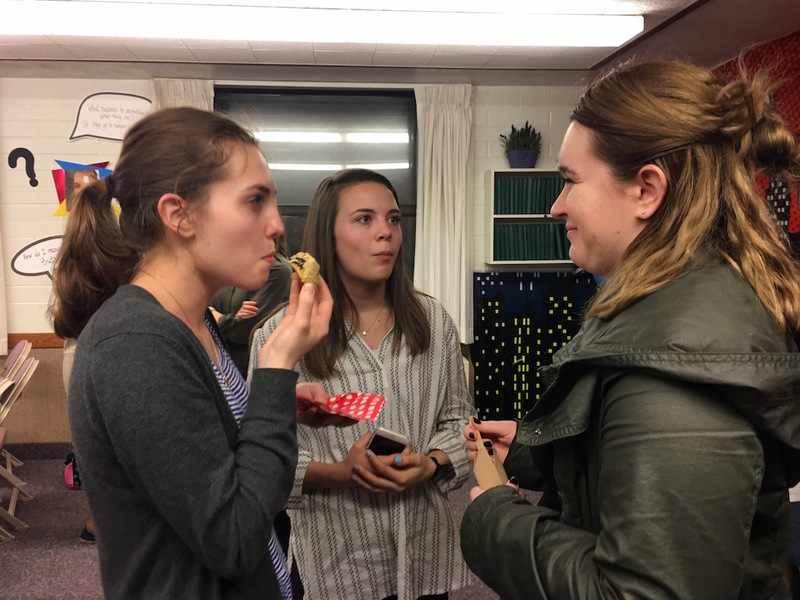 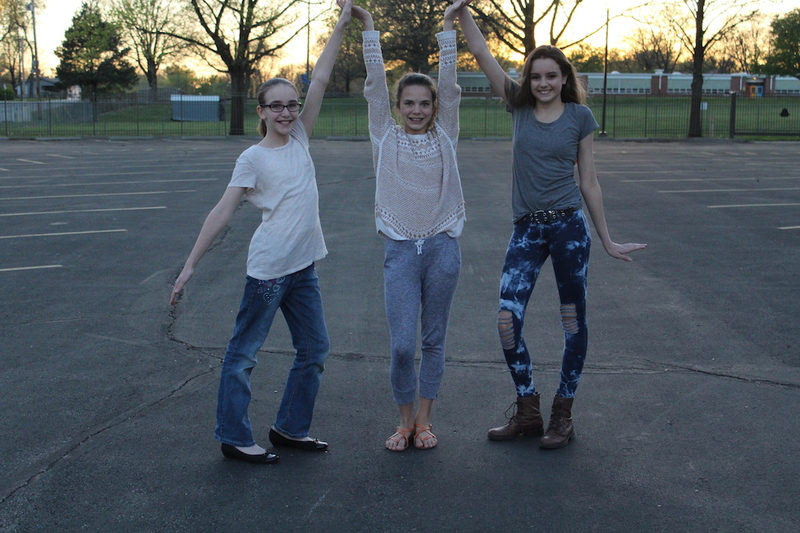 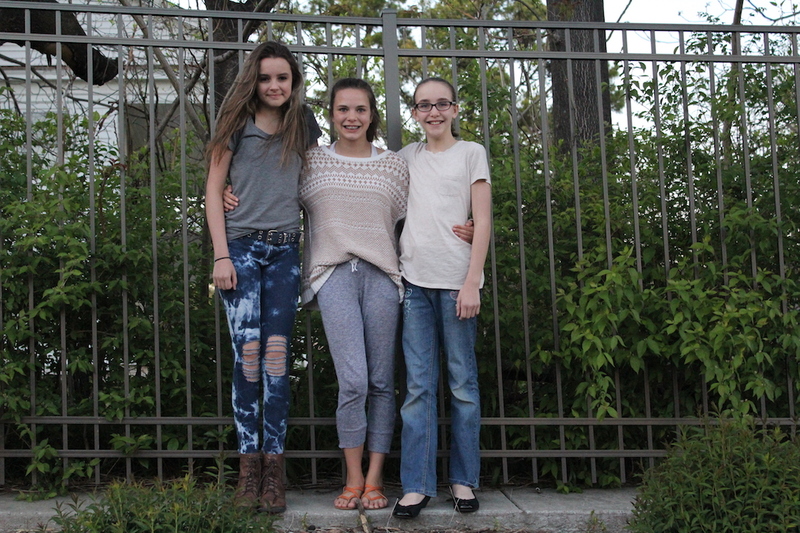 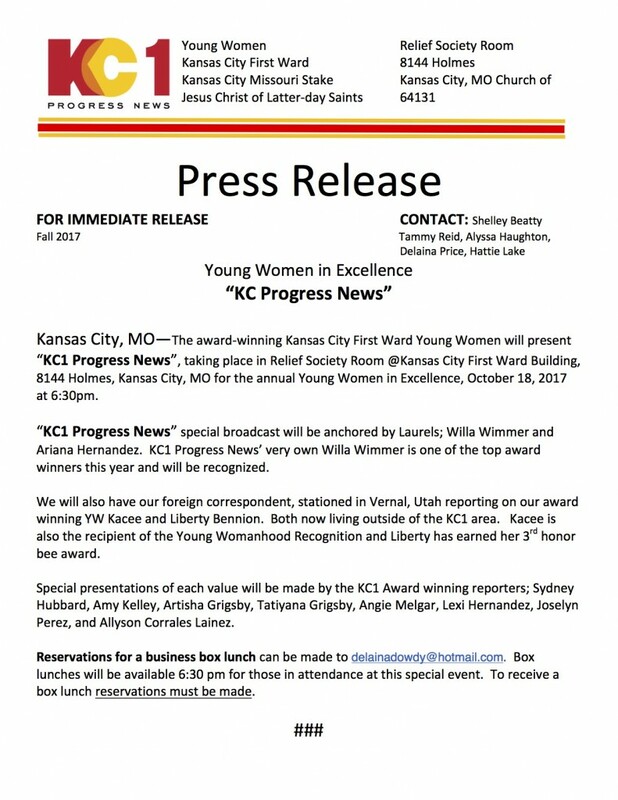 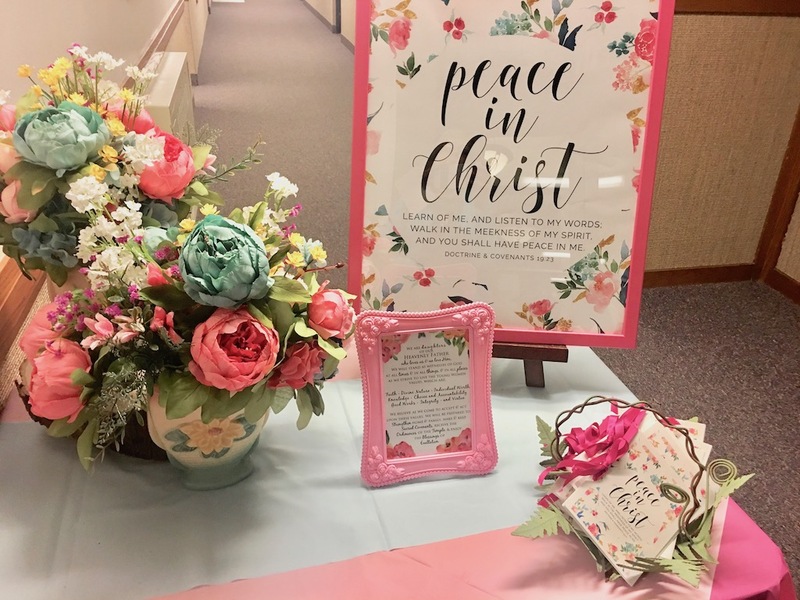 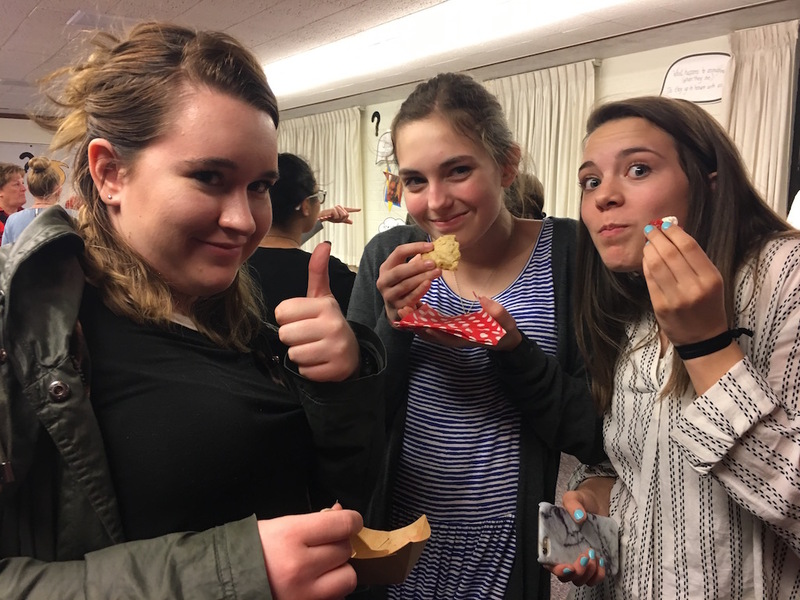 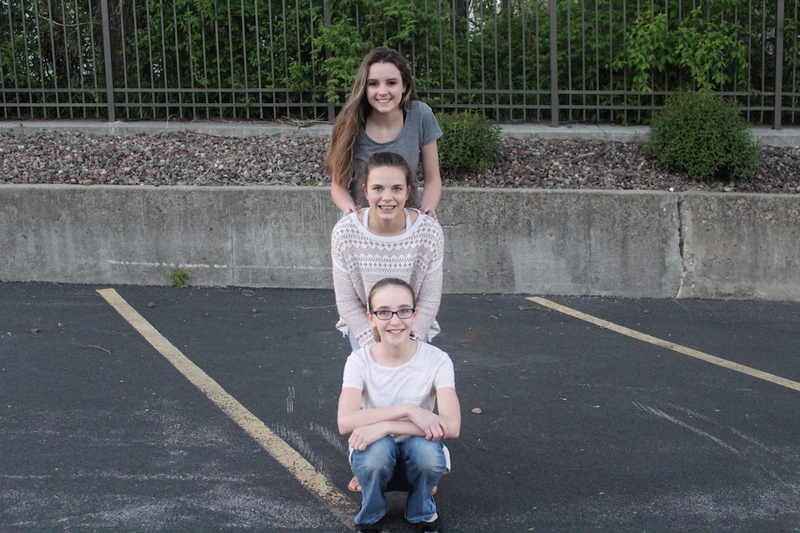 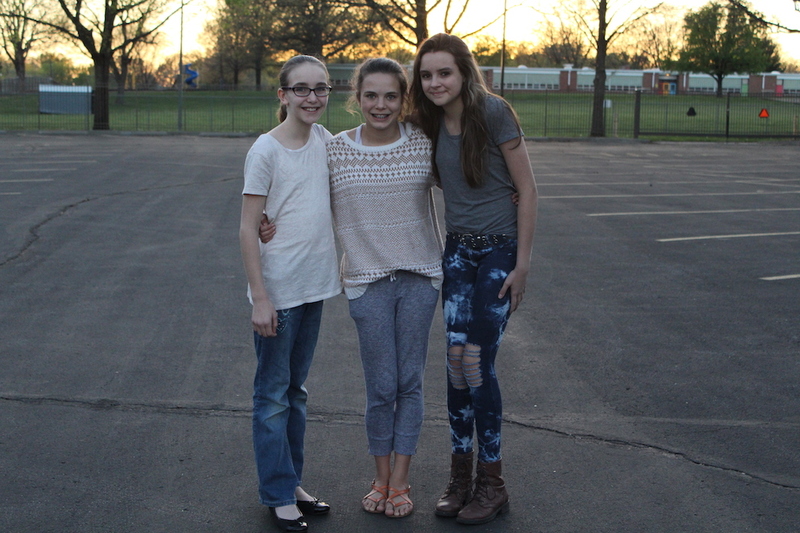 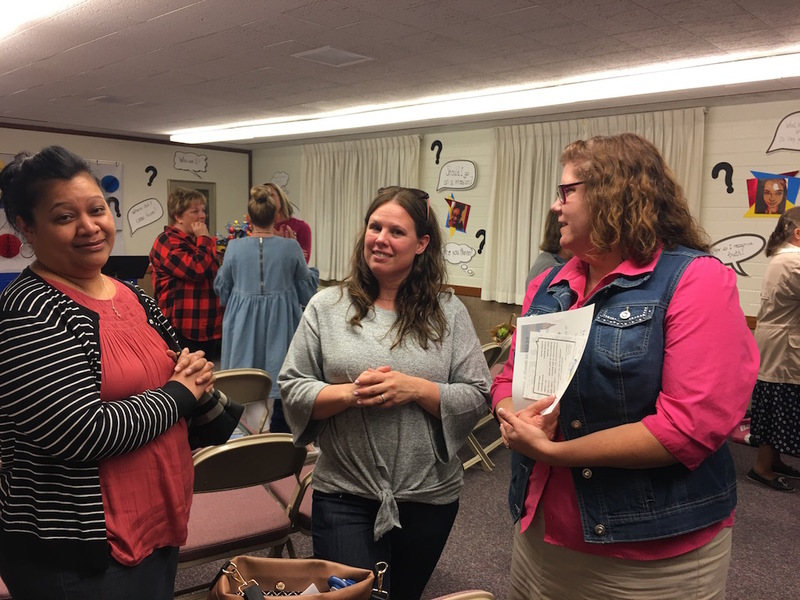 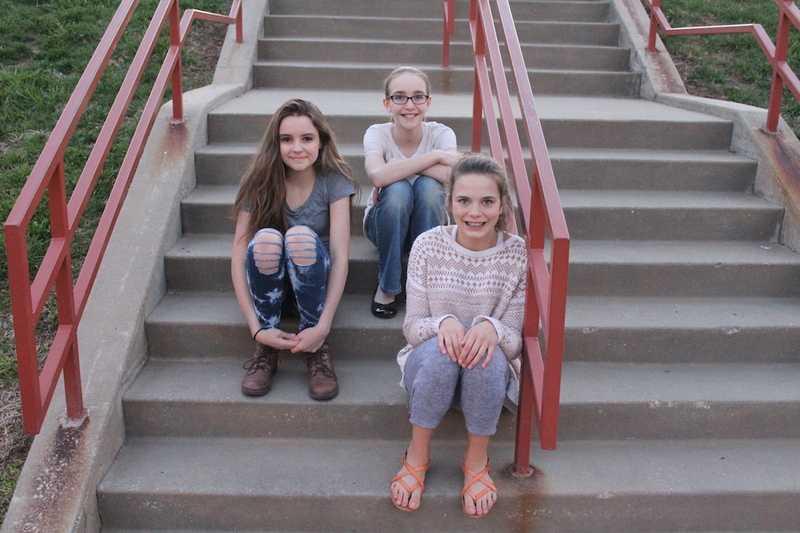 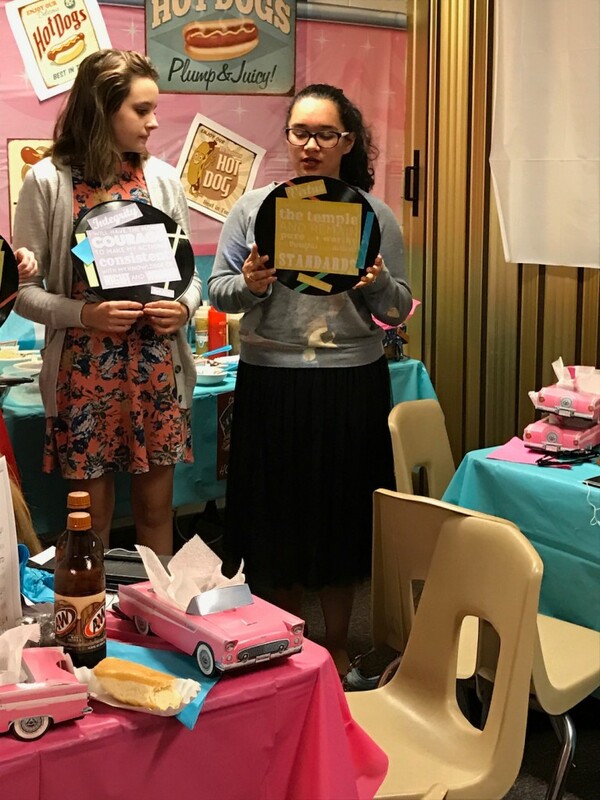 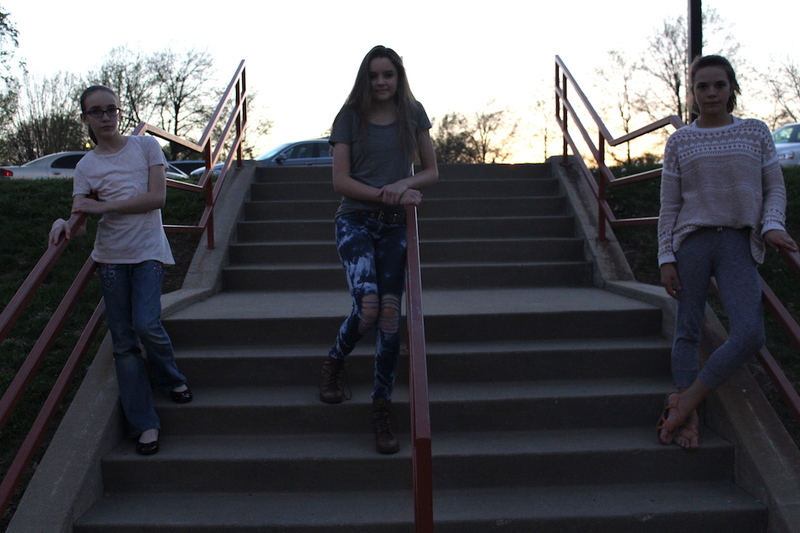 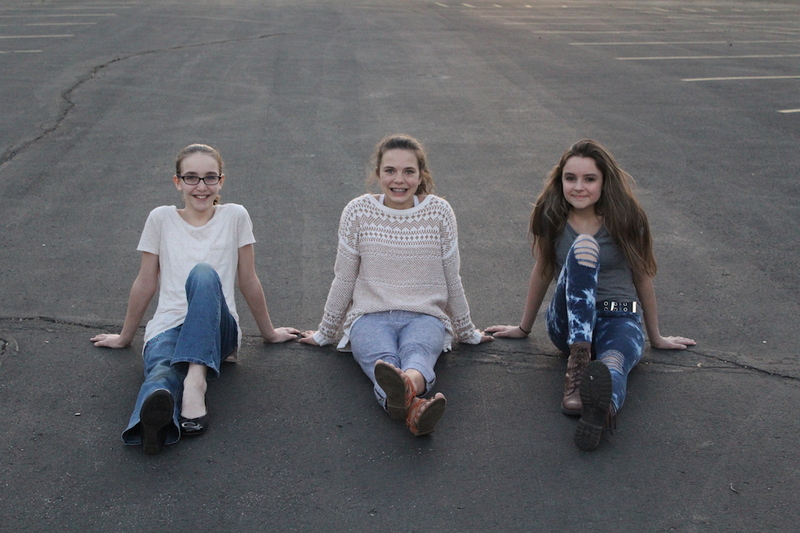 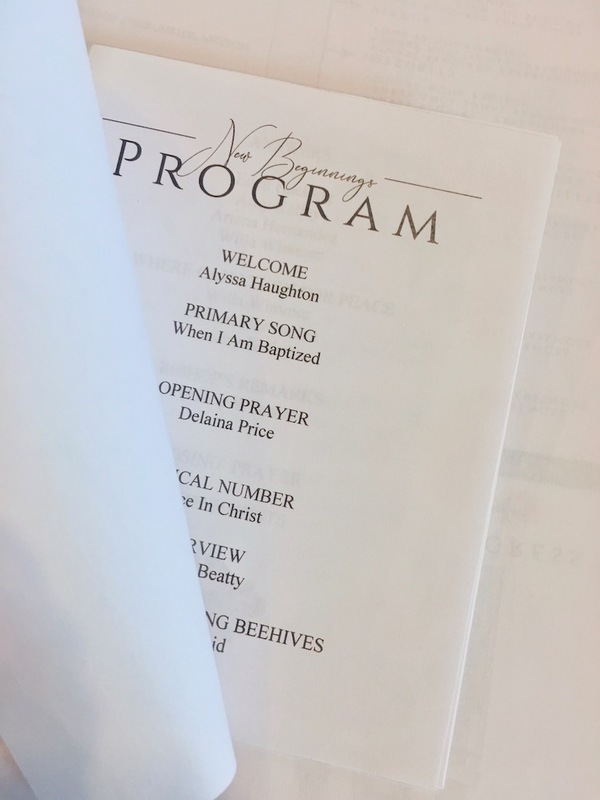 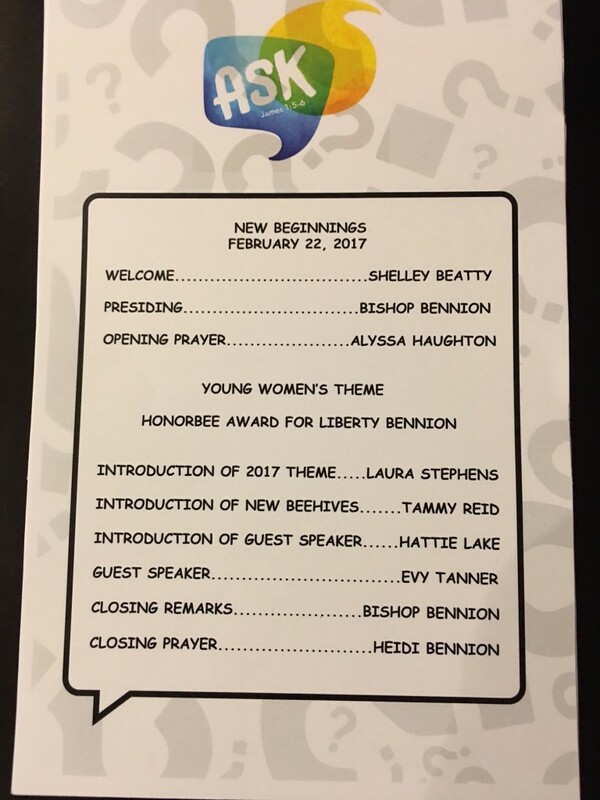 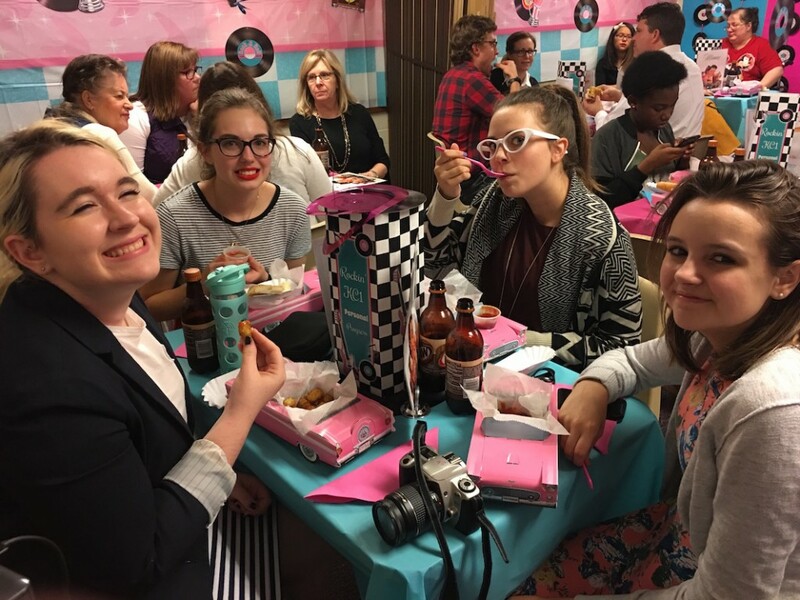 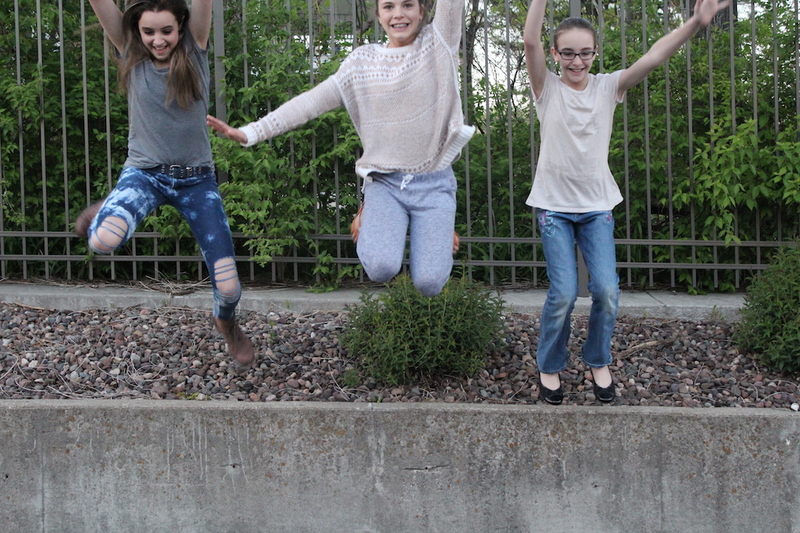 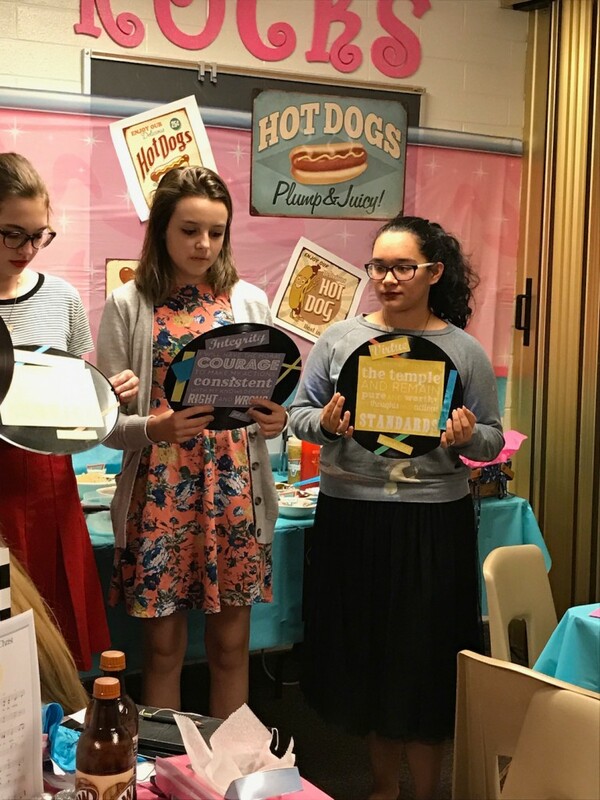 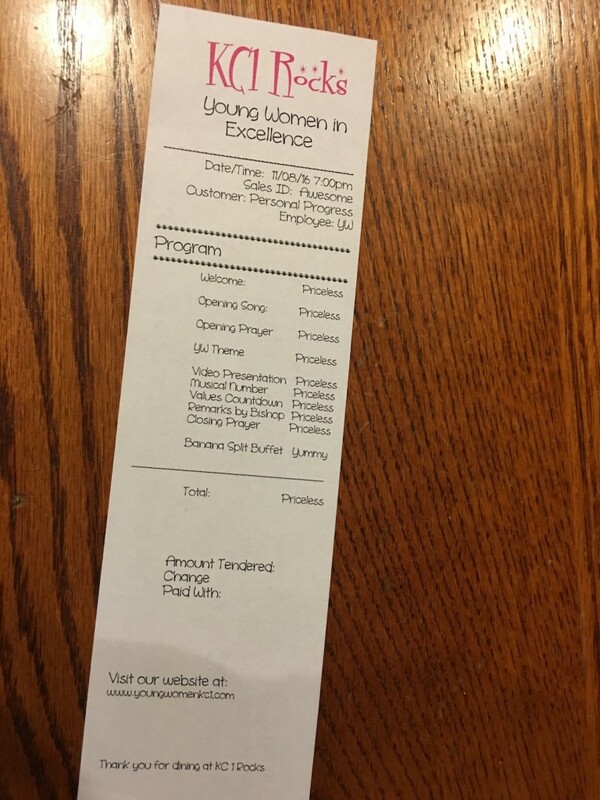 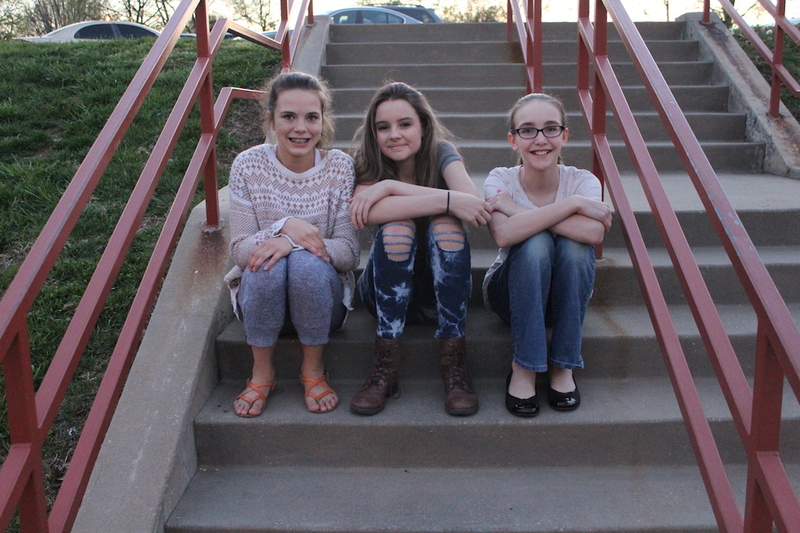 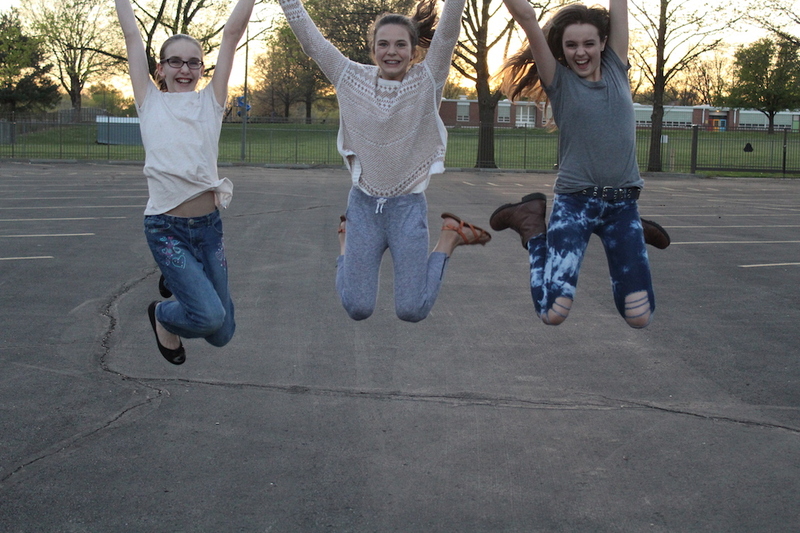 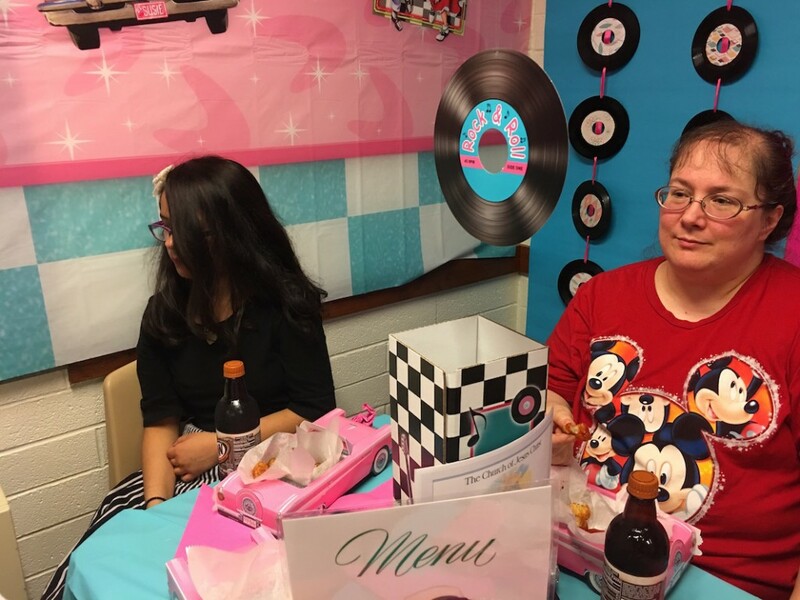 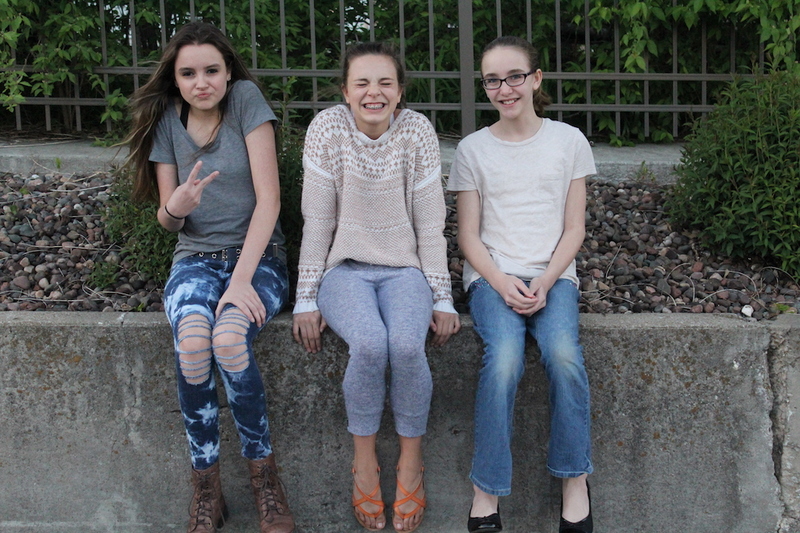 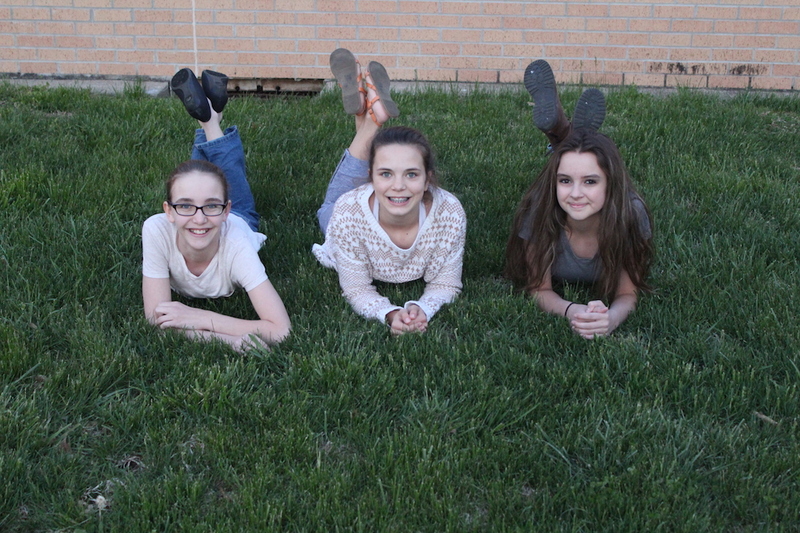 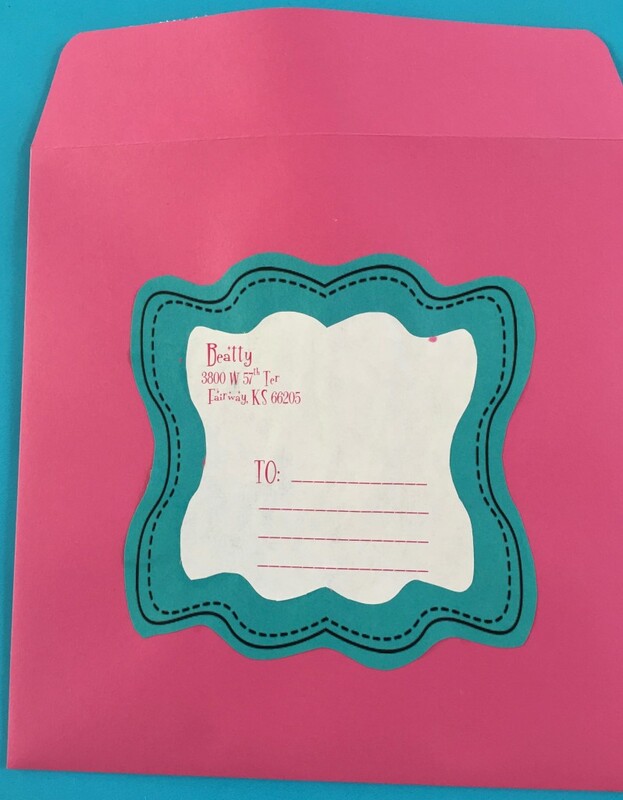 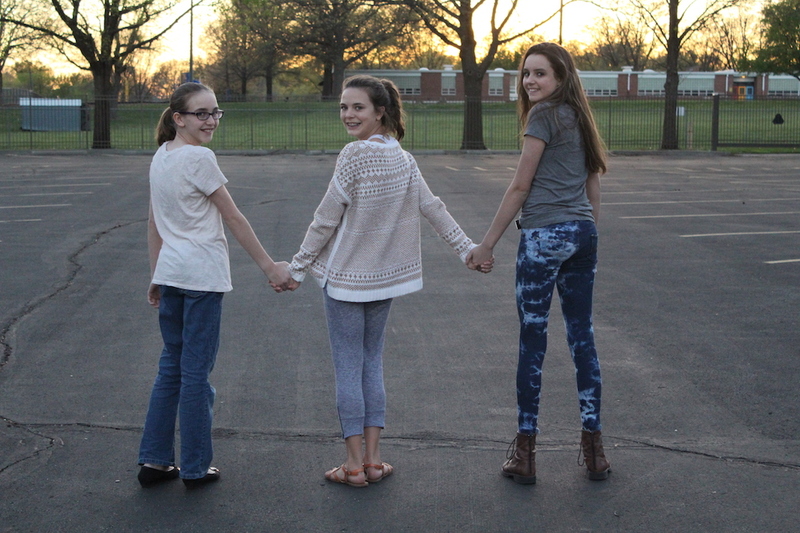 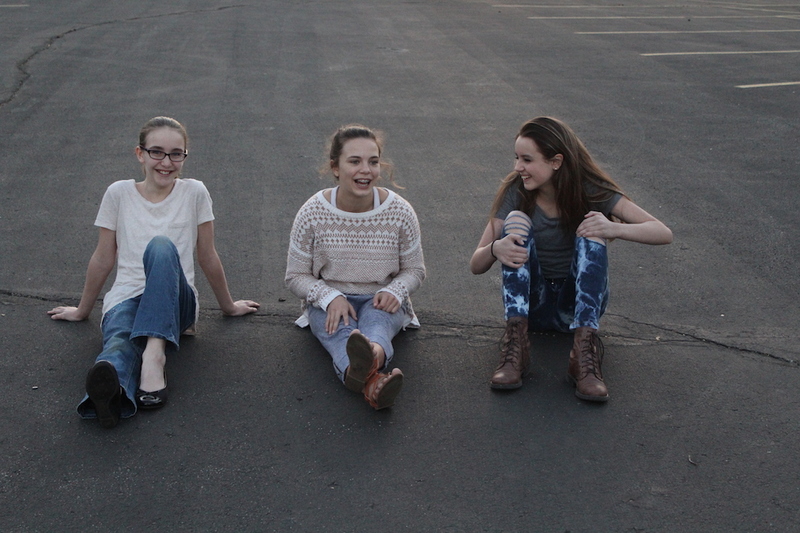 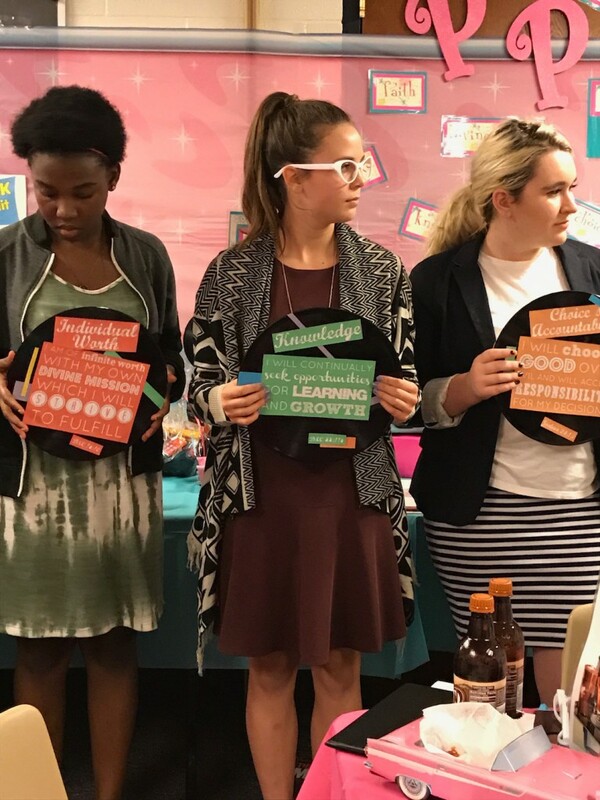 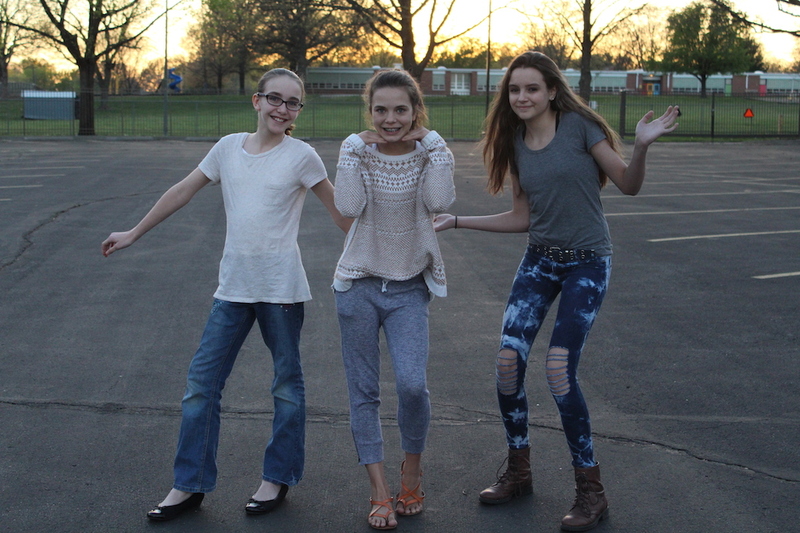 This entry was posted in New Beginnings and Young Women In Excellence and tagged Church of Jesus Christ of Latter-day, LDS, Mormon, Mutual, New Beginnings, Young Women in Excellence. 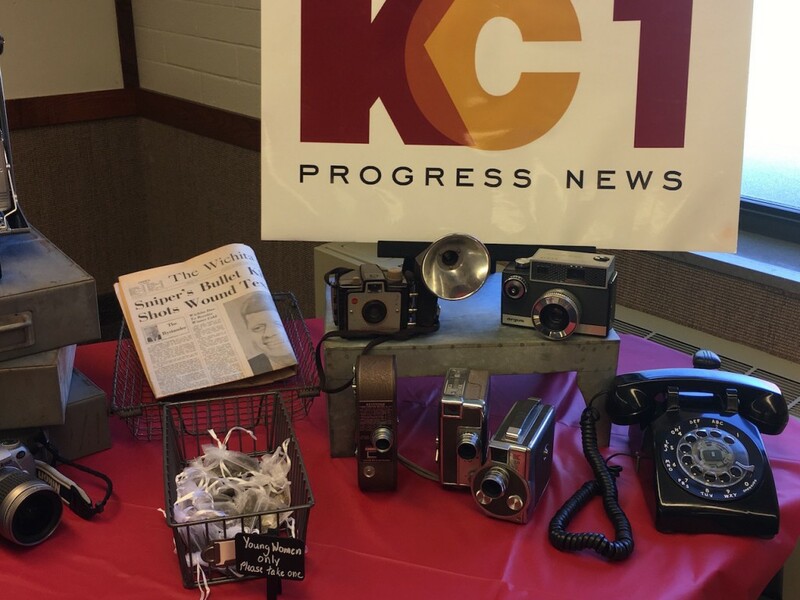 Welcome to when the news was really news and news broadcasters were among some of the most trusted people in America! 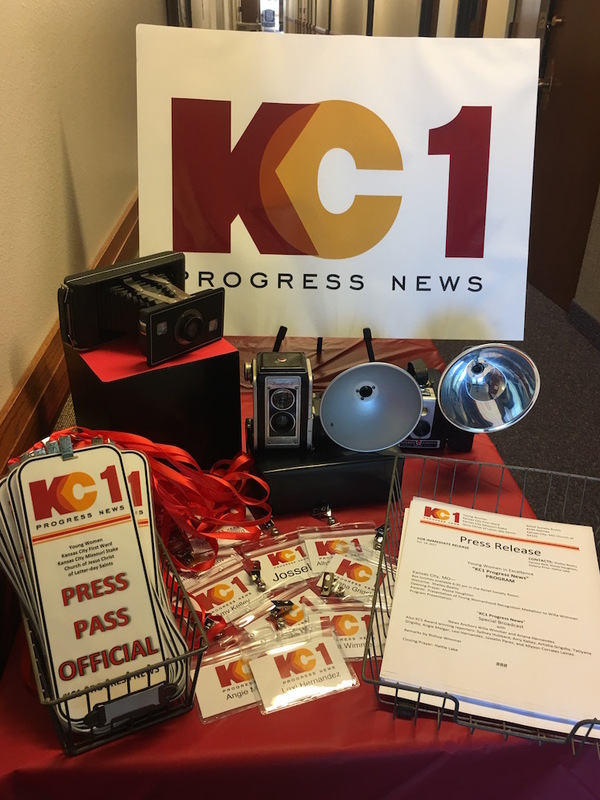 Walter Cronkite, news broadcaster, for two decades brought Americans their nightly news and he was the most trusted man in America…Kennedy’s assassination, landing on the moon etc. 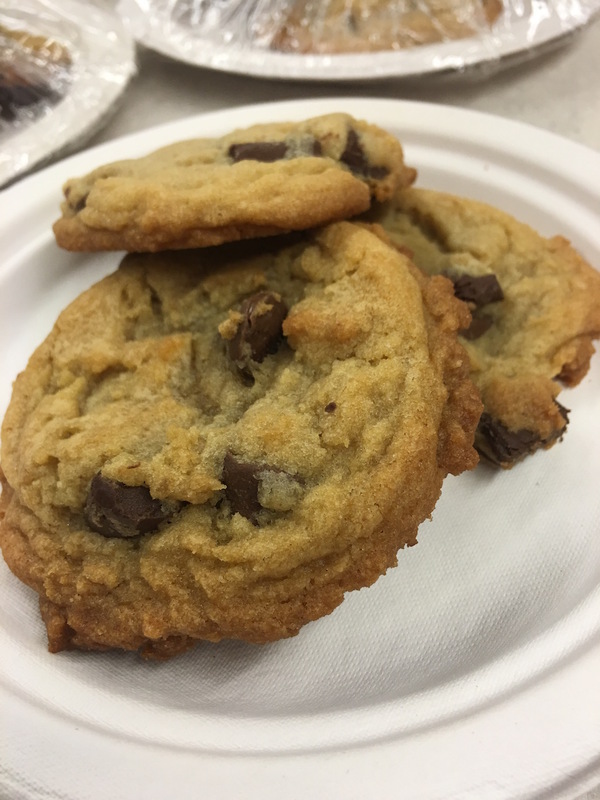 (See this CNN report). 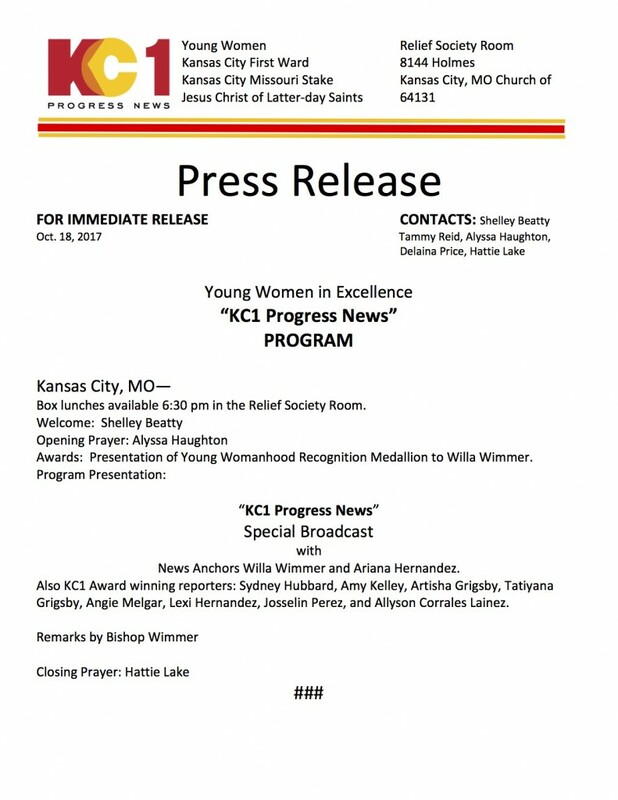 With sound clips of the news programs of the sixties broadcast a news program full of reports of our YW receiving awards this year, a brief history of the Personal Progress program in our ward and a report and video of each value and even a commercial break using a “Homefront” commercial of the church from the eighties our anchors gave a very special broadcast of the YW Personal Progress program. 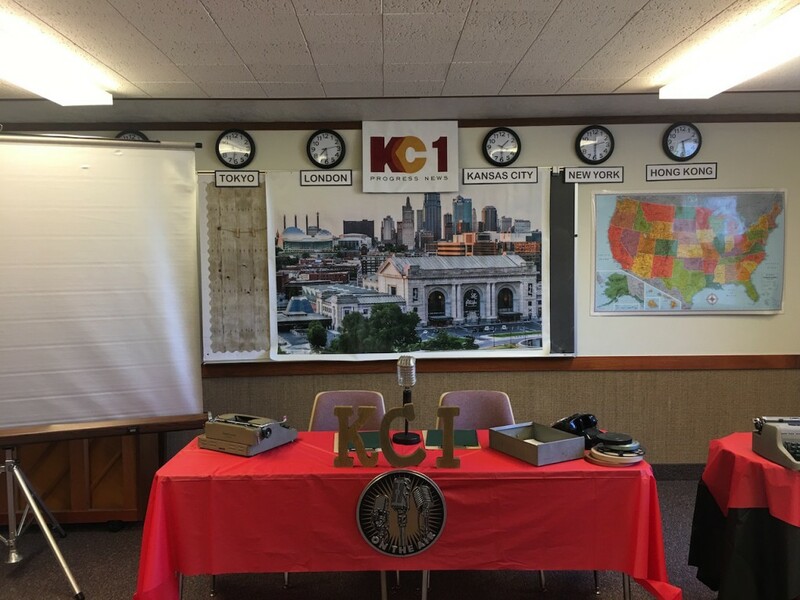 The anchors were the only “live” reports. 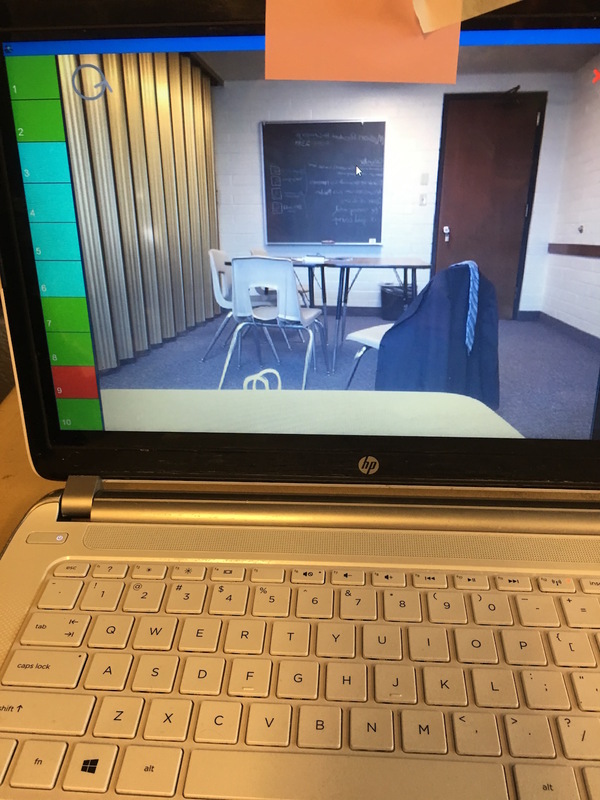 All other “reports” were pre-recorded. 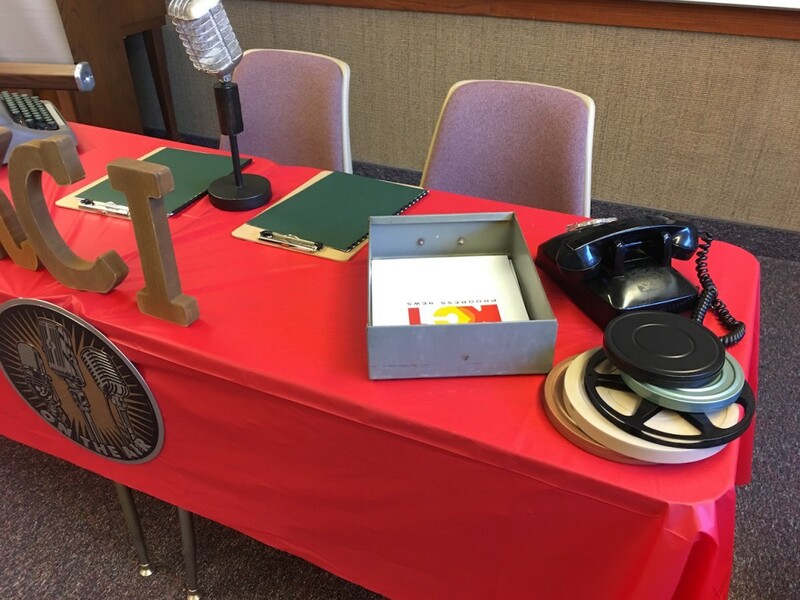 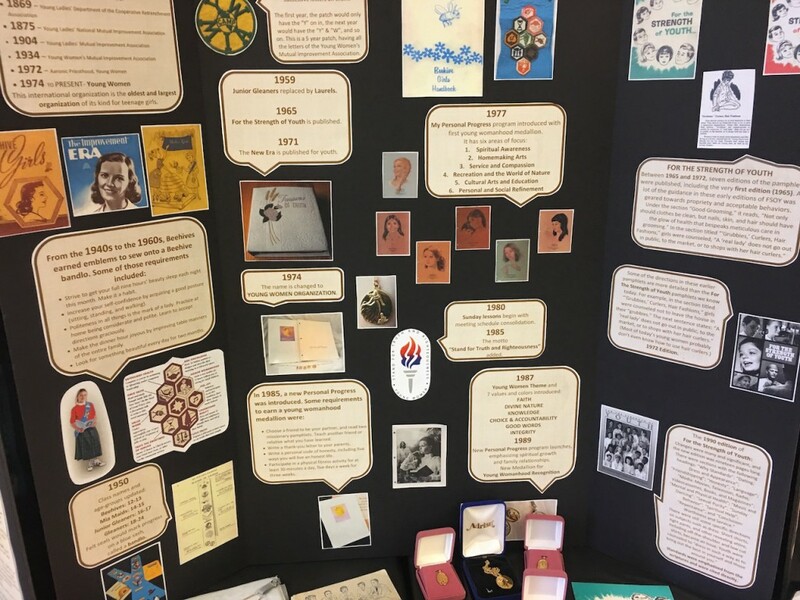 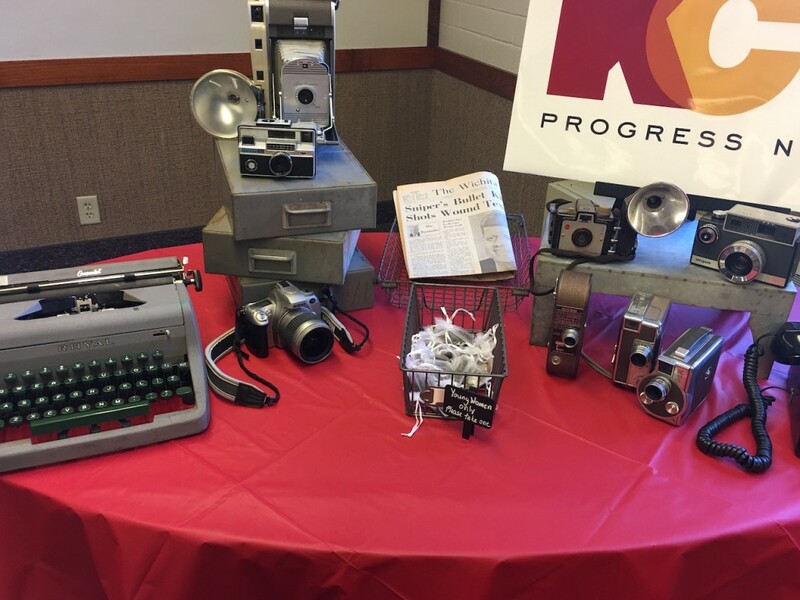 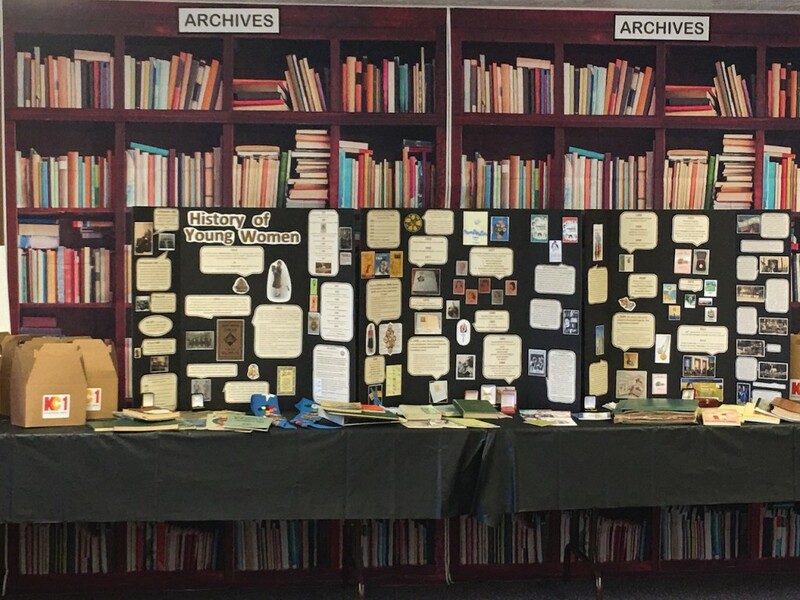 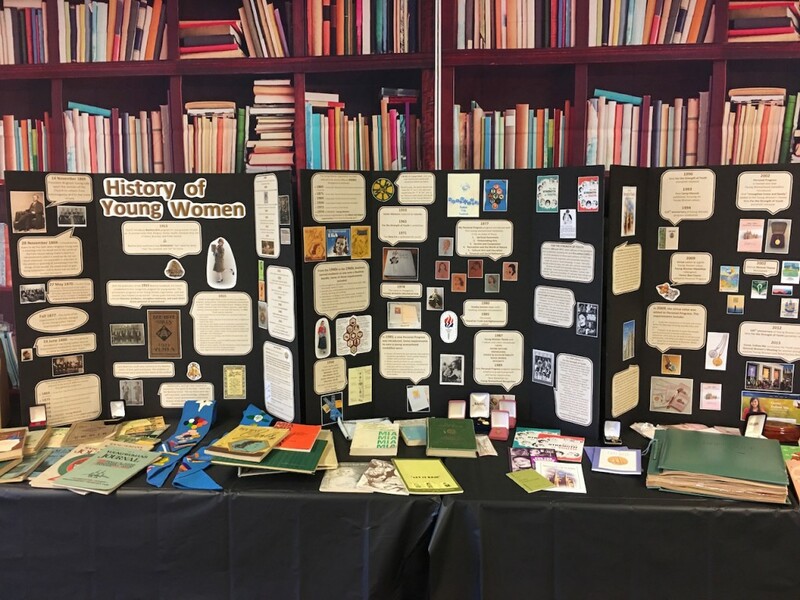 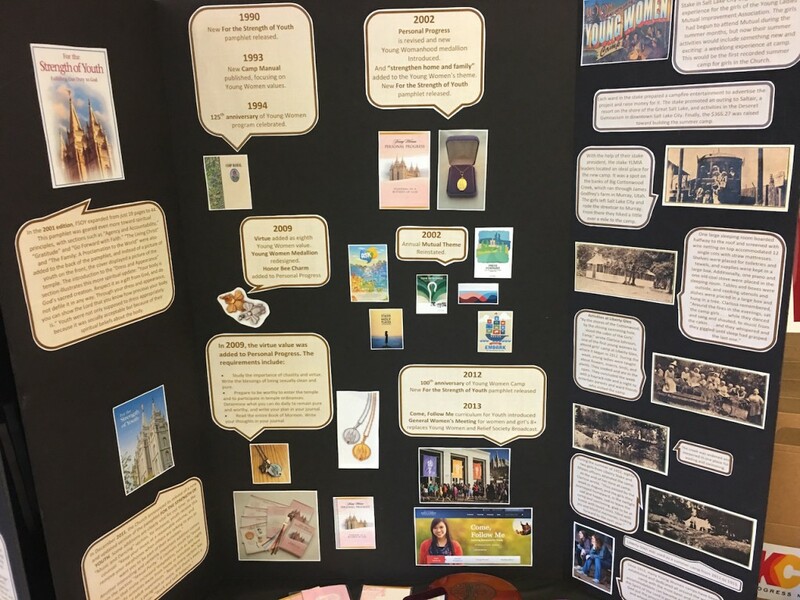 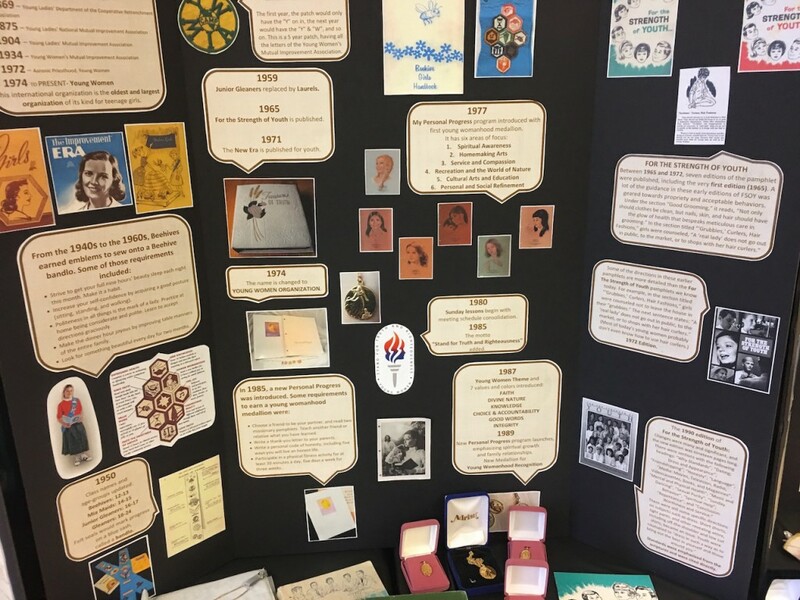 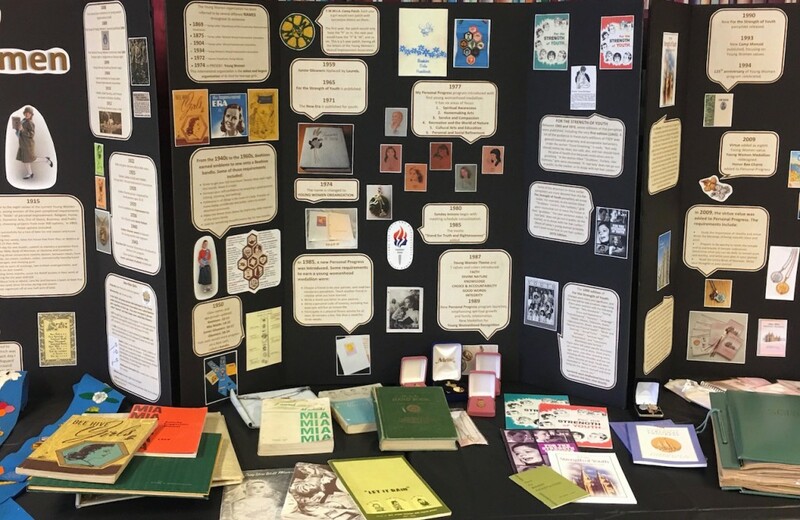 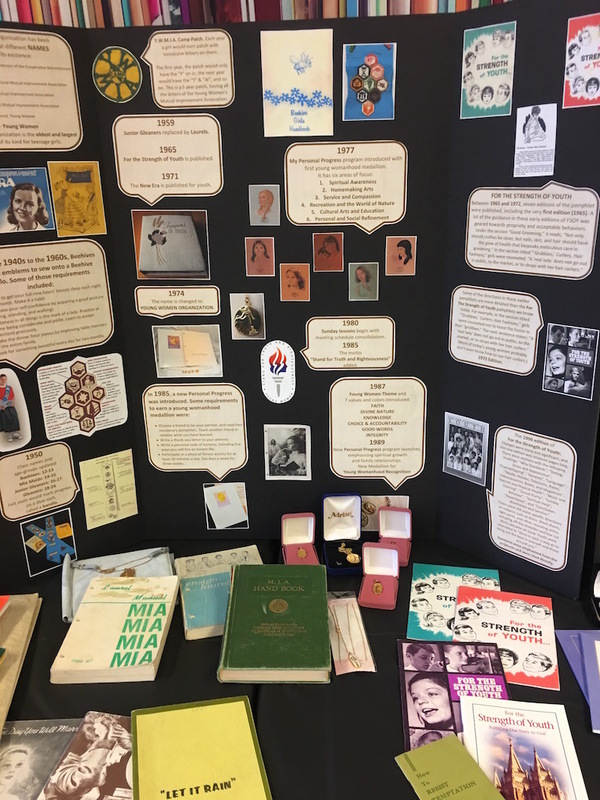 The archives included a display of the history of the Young Women’s Program in the church and a wide array of “artifacts.” Artifacts consisted of a collection of old Mutual manuals, Personal Progress Books with Medallions, Camp Manuals through the decades and camp awards, For the Strength of Youth Booklets from its early days throughout its history, early Young Women Journals, New Eras Etc. 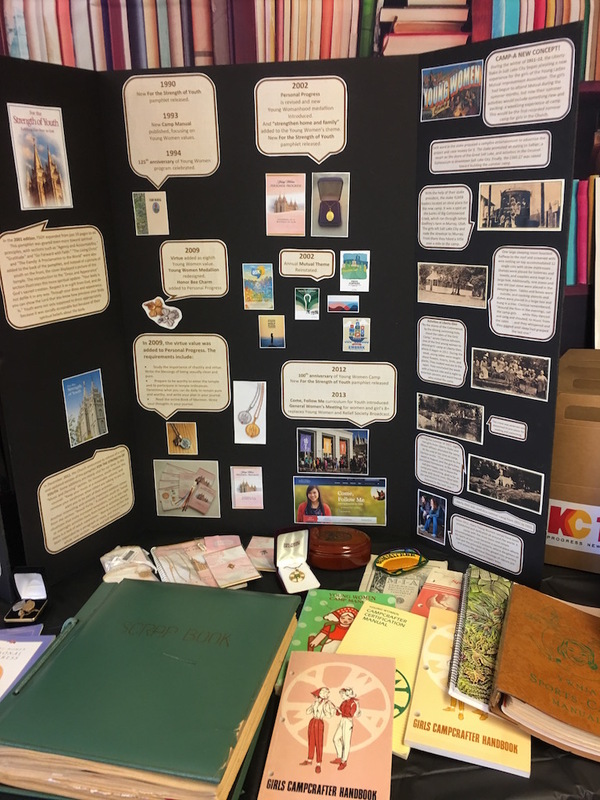 There were bandlos, spirit of the beehive manual and awards, Treasure of Truth and a Beehive scrapbook from the 50’s. 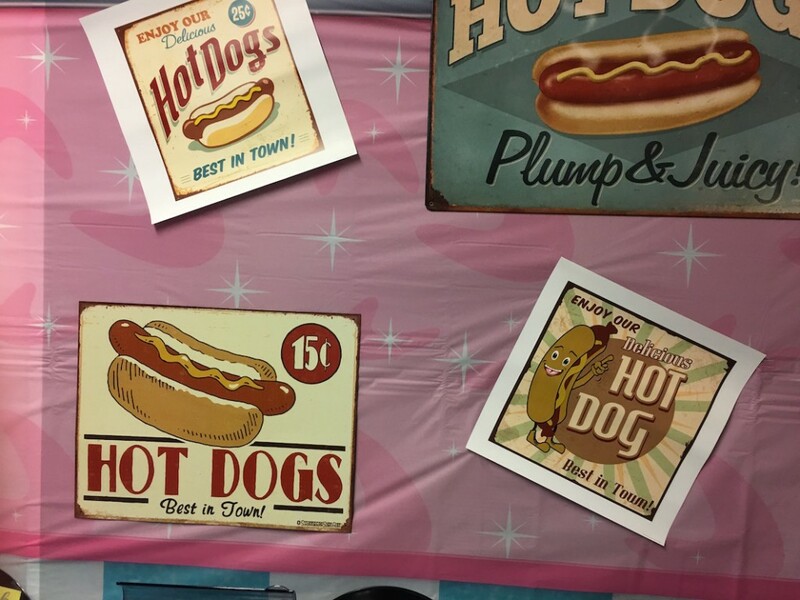 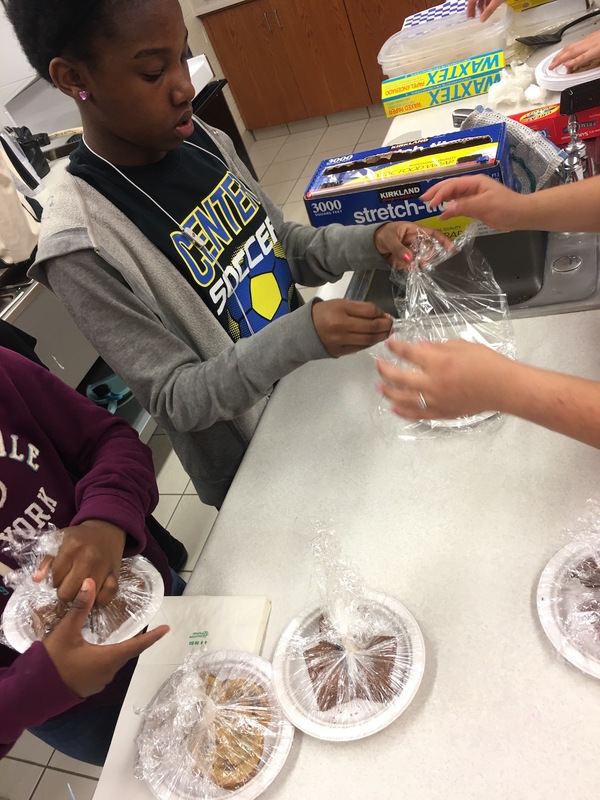 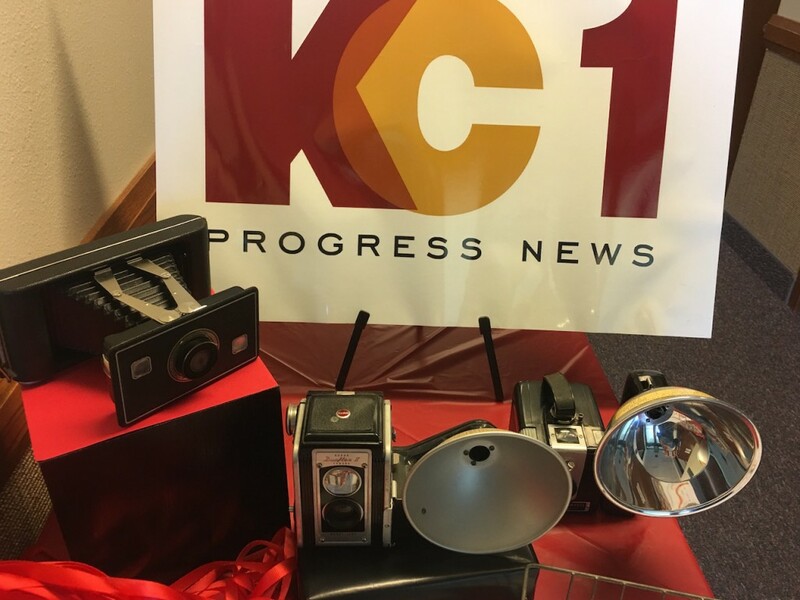 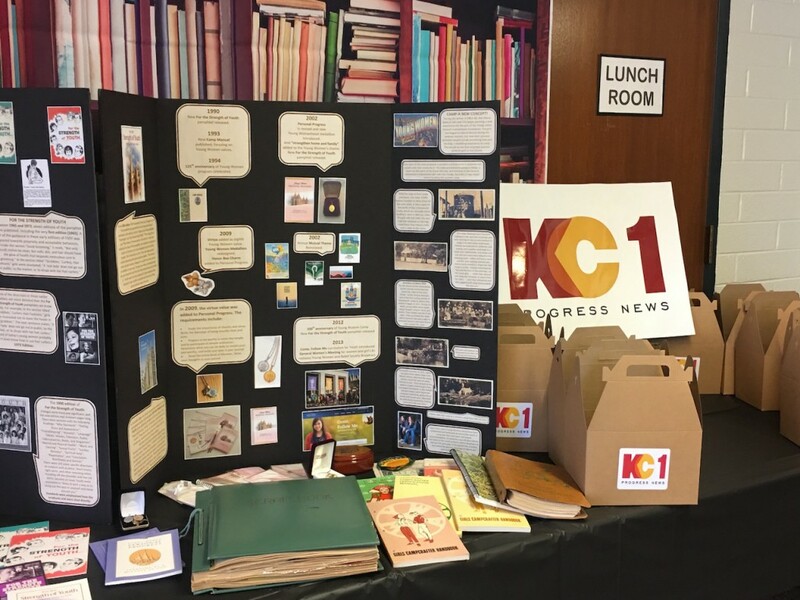 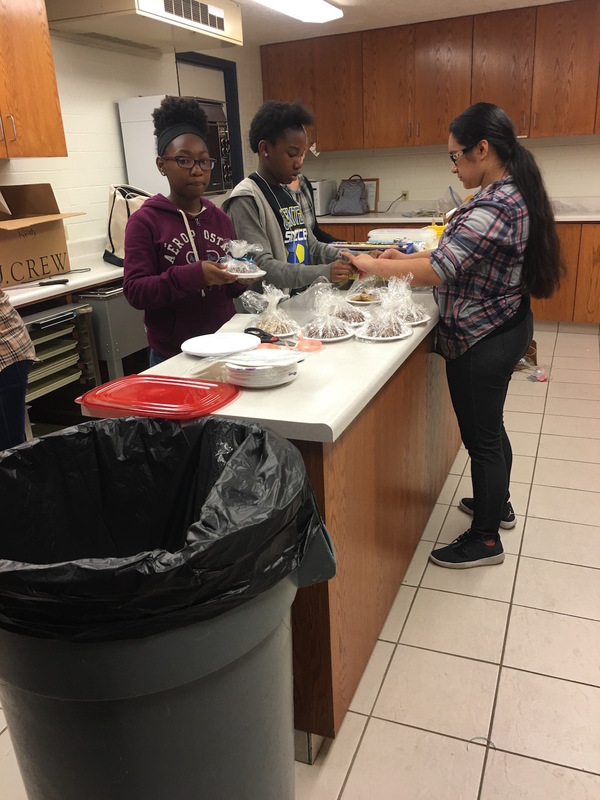 Box Lunches were served in the “KC1 Newsroom Lunch Room”. 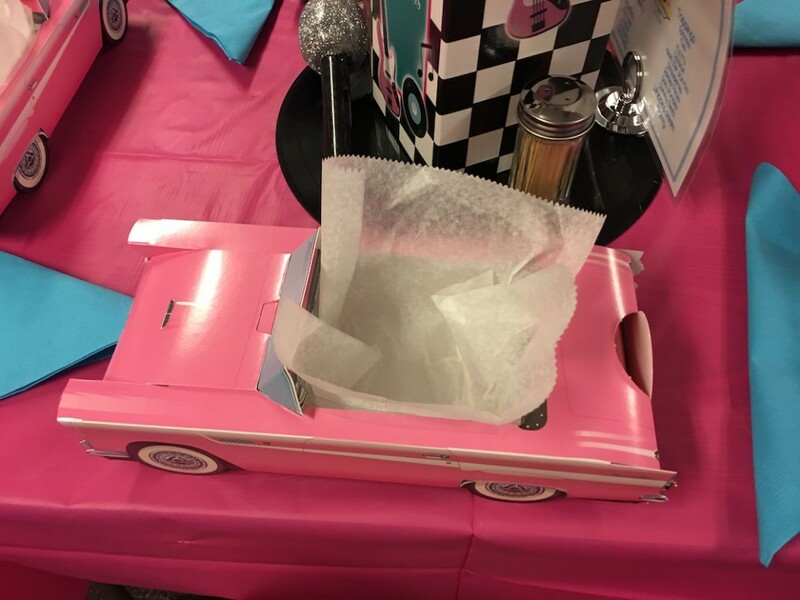 Box Lunches included a sandwich, chips, and apple and a cookie. 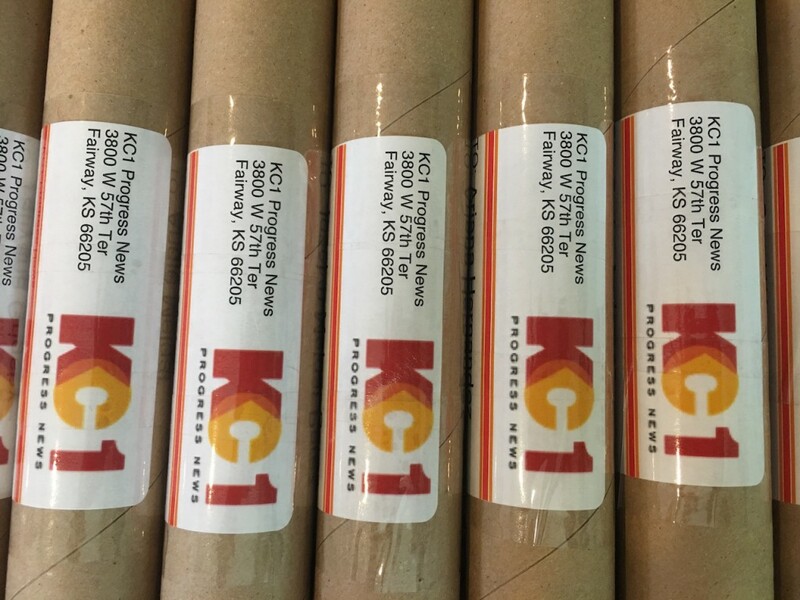 Press Release Invitations were sent in mailing tubes. 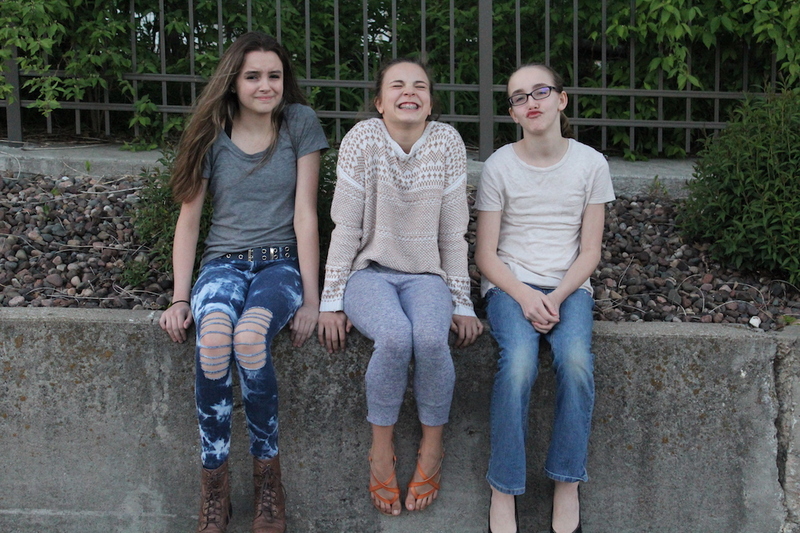 We took pictures of all the Young Women and using an app converted their pictures to a more “cartoon look”. 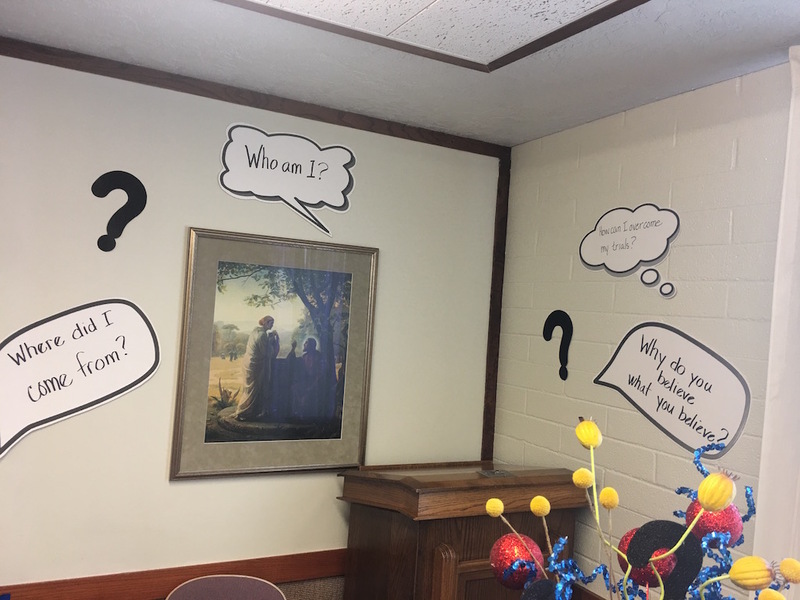 They all wrote down questions. 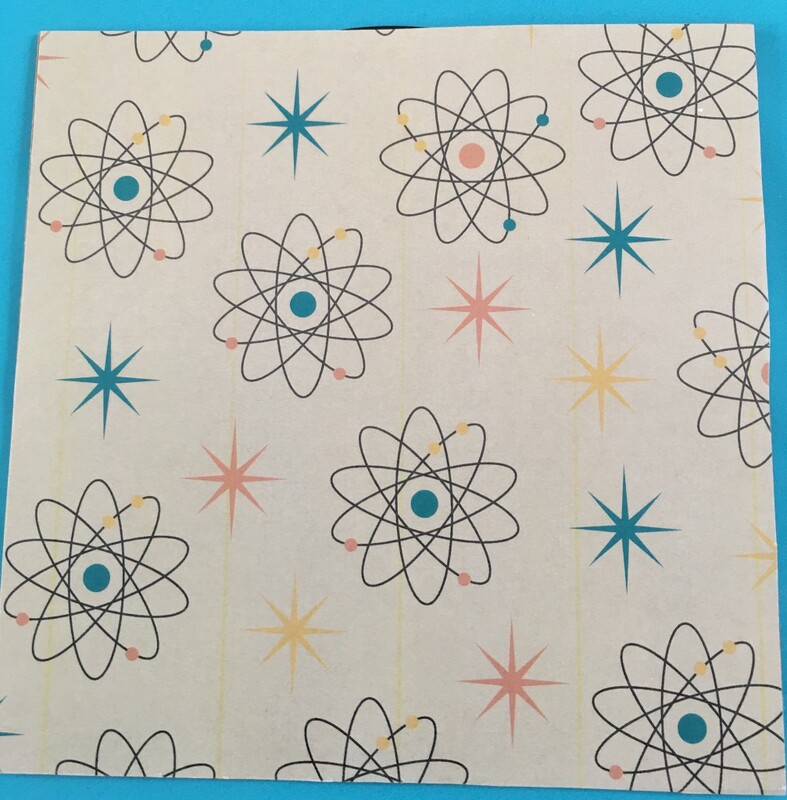 These were used in decorating the walls. 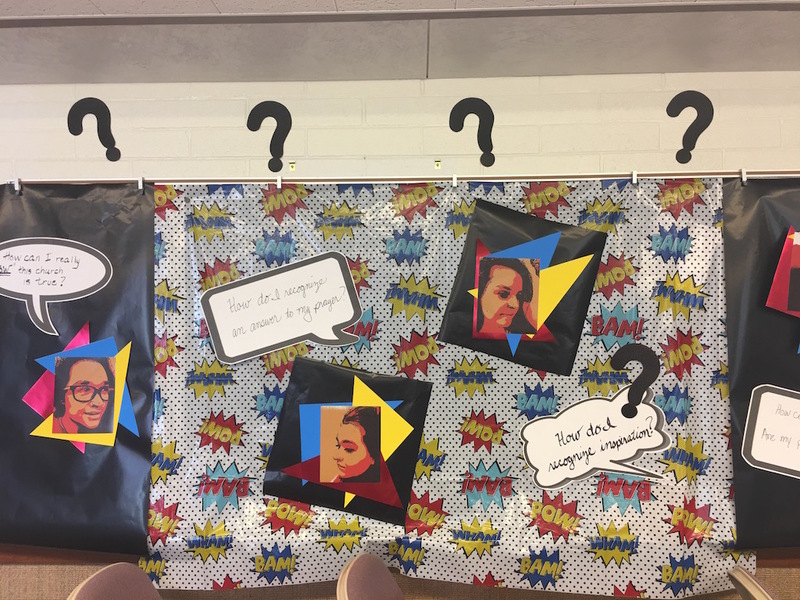 We also used the question mark (?) 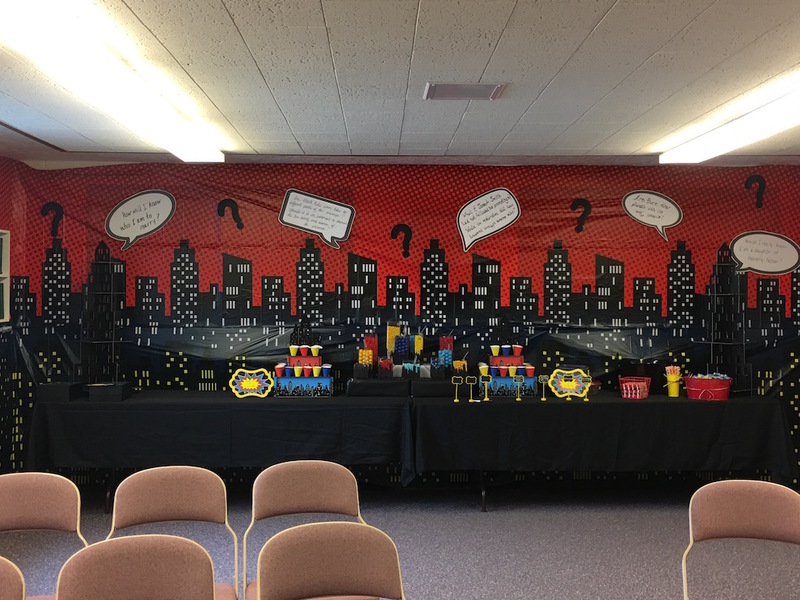 and the building silhouette throughout the decor. 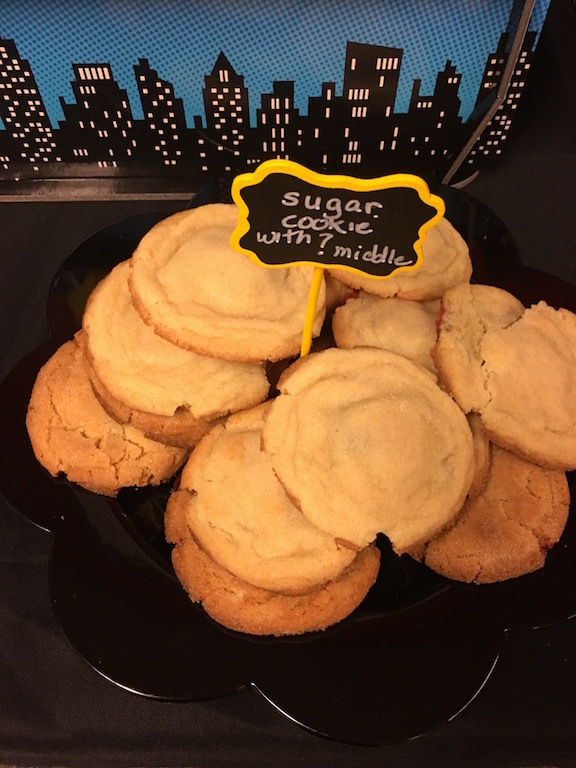 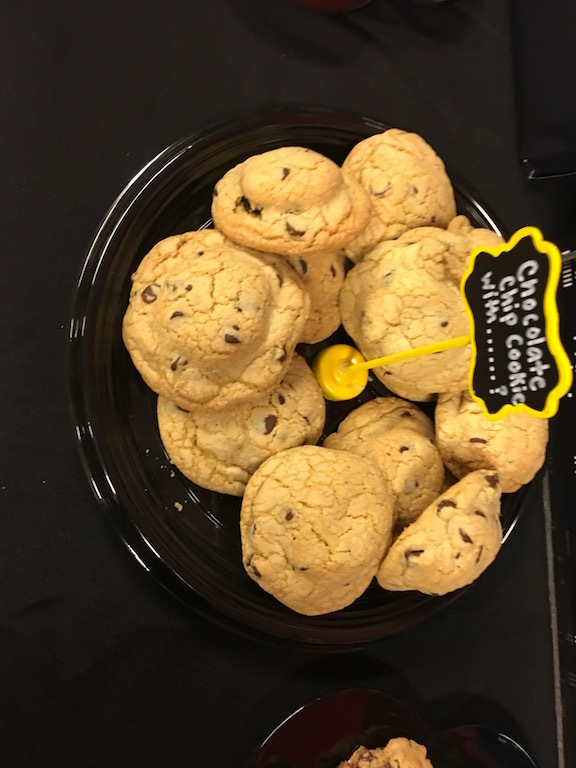 For refreshments we had cookies and milk….the cookies each had a surprise inside that was the mystery another ?. 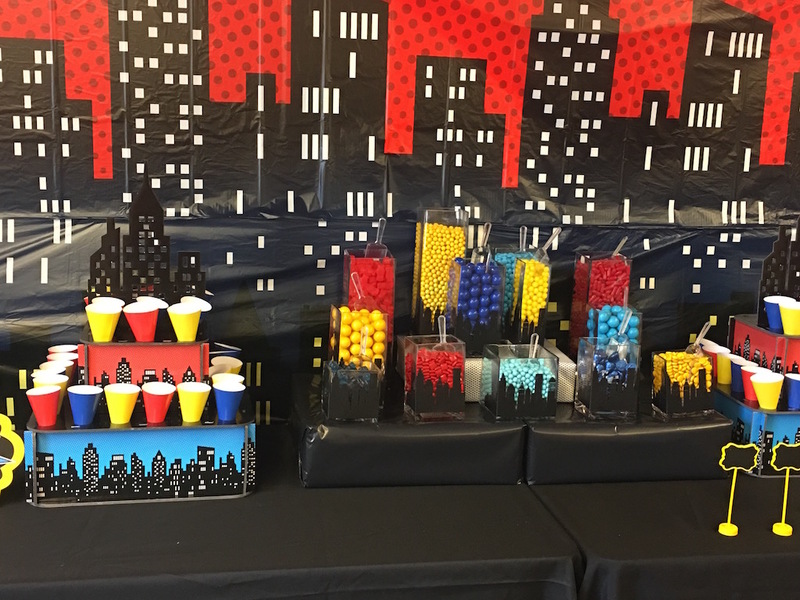 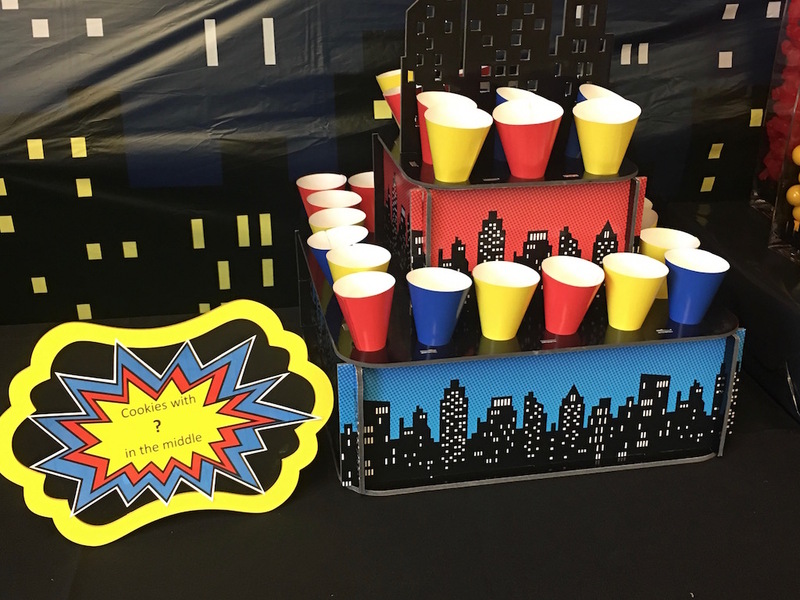 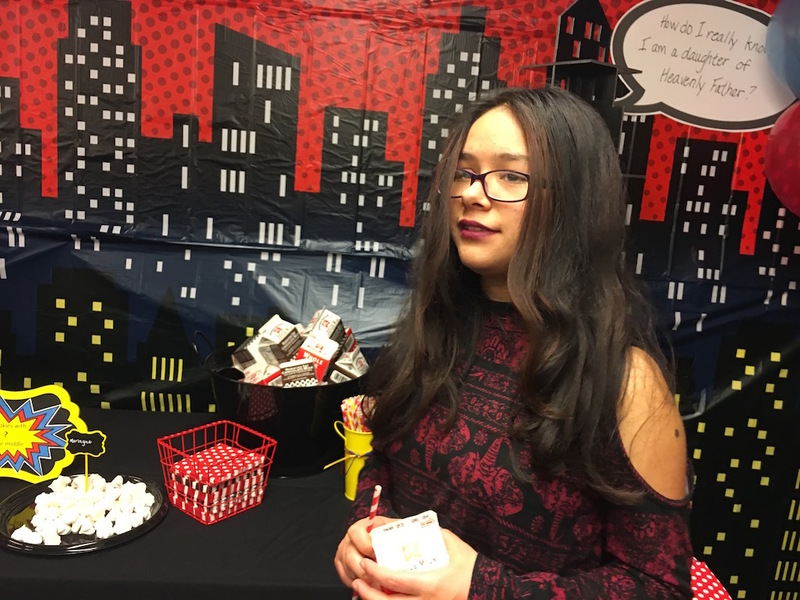 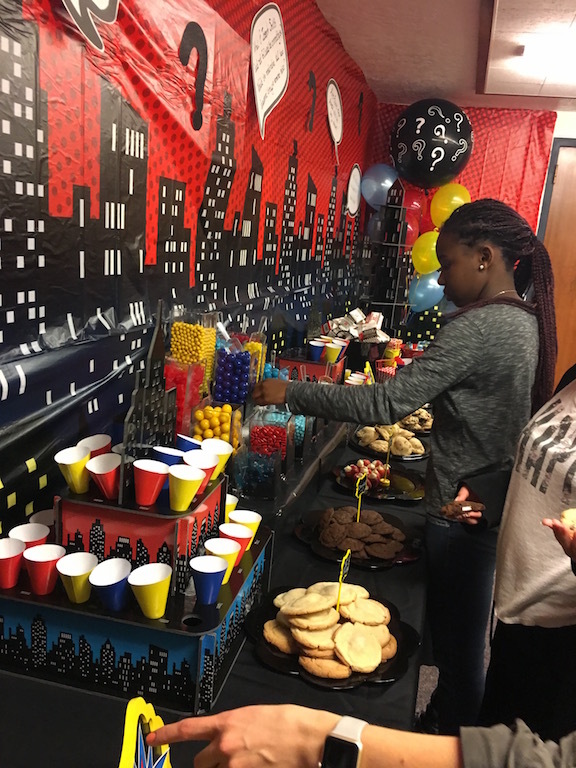 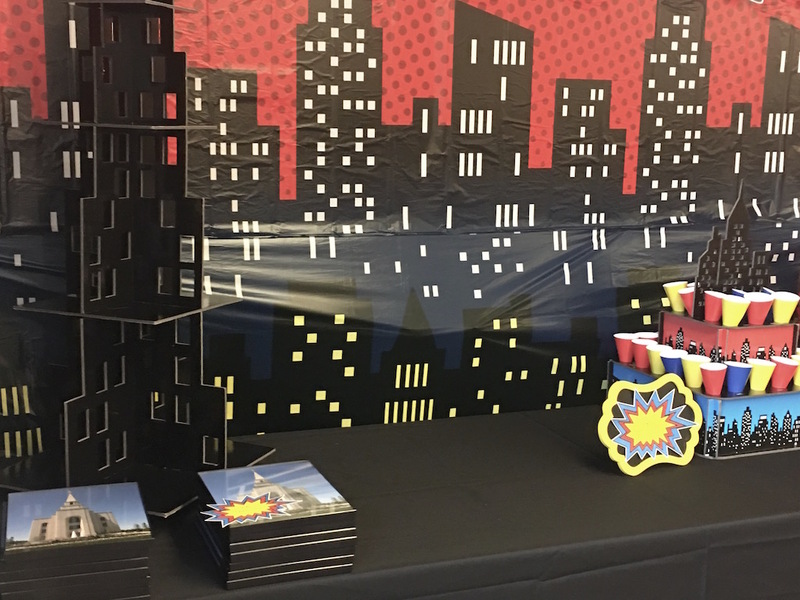 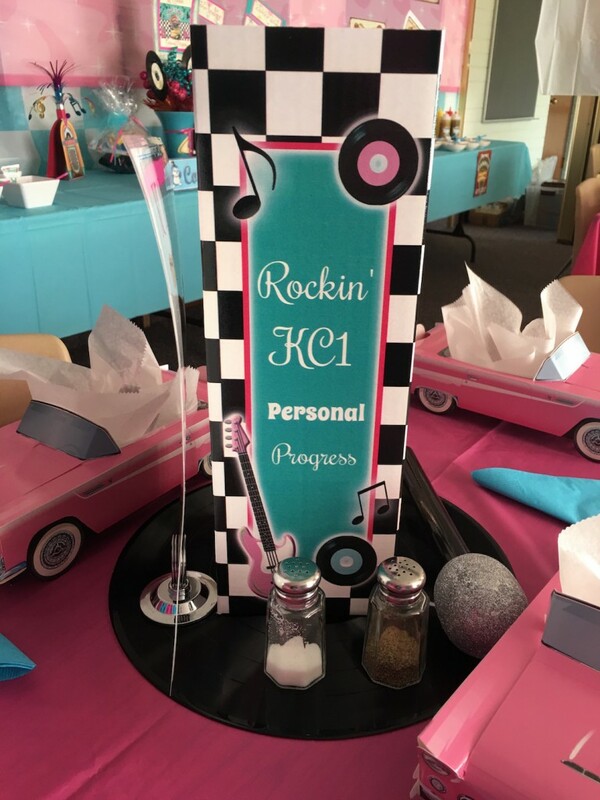 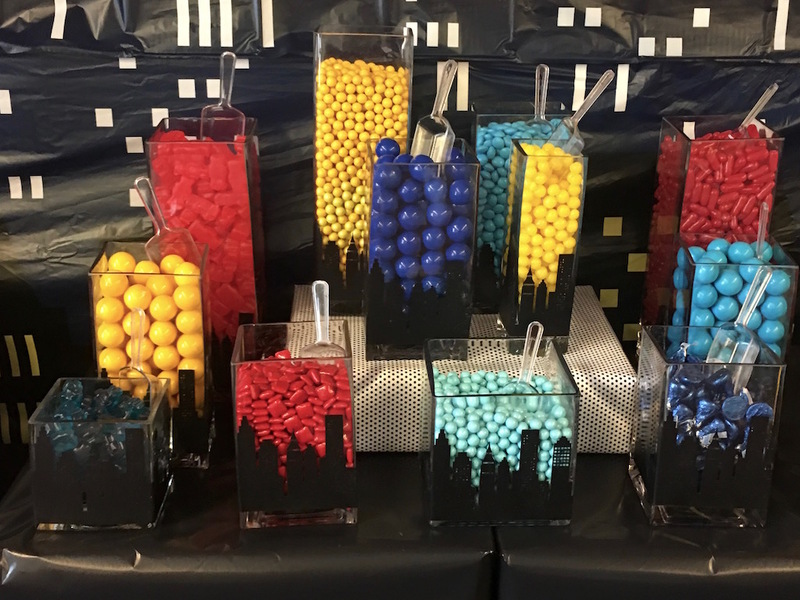 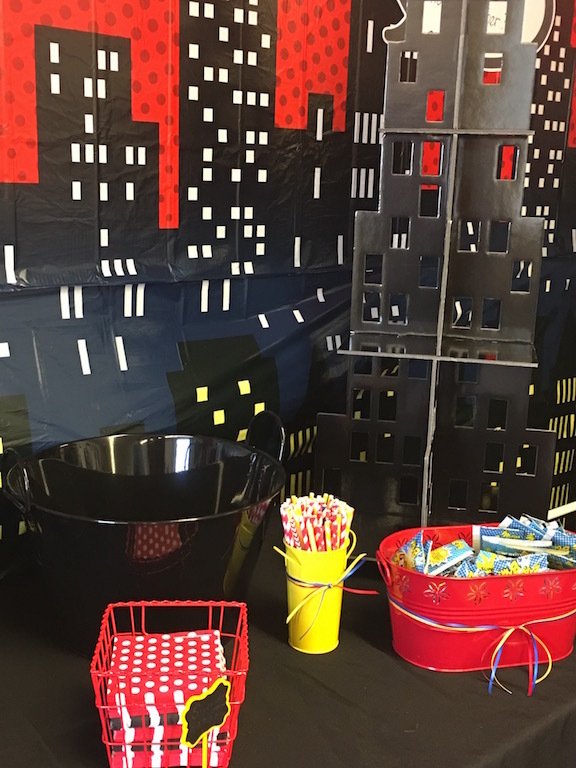 We used rectangular vases with the building silhouette for a candy bar. 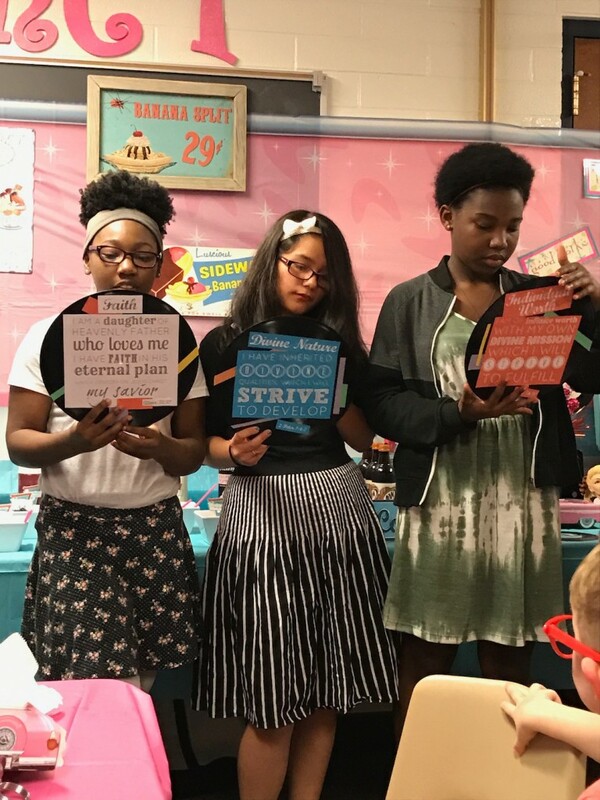 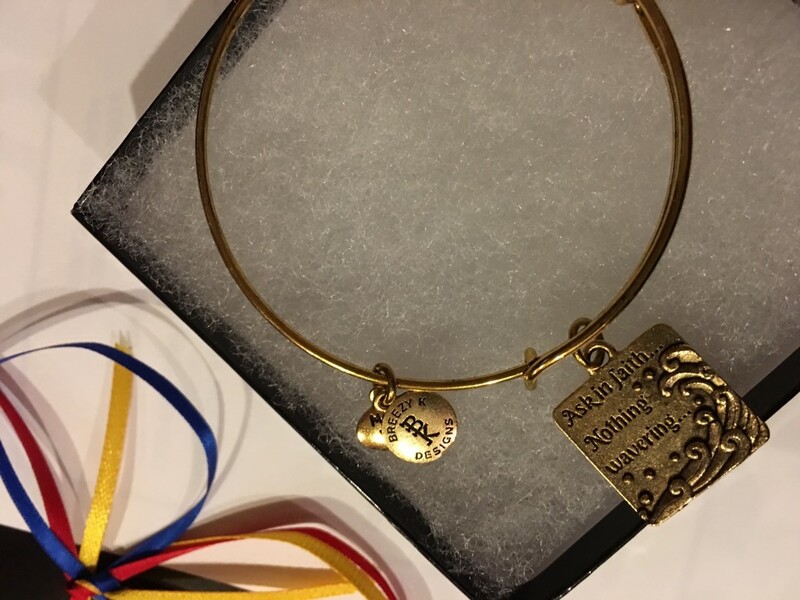 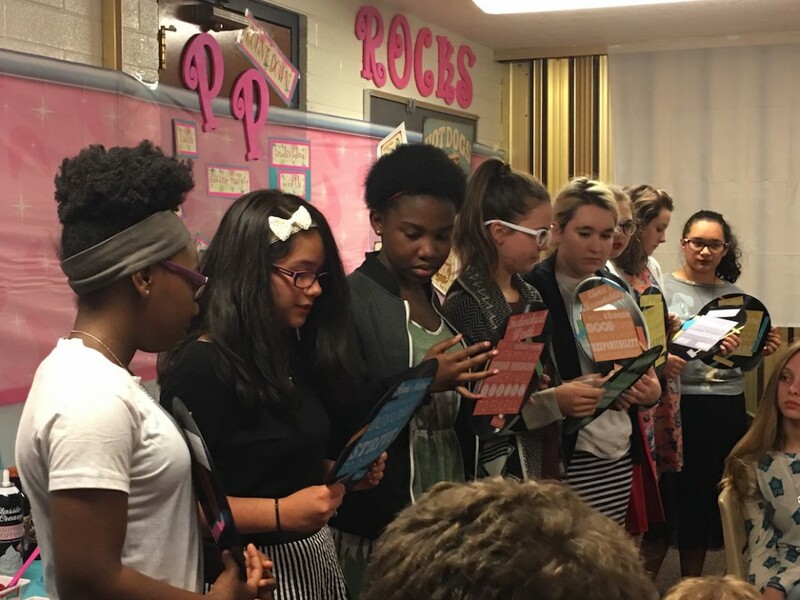 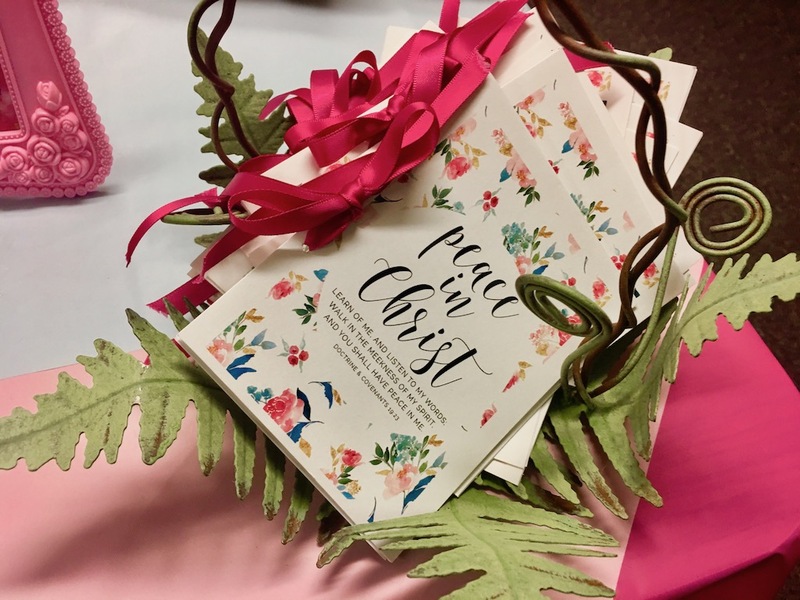 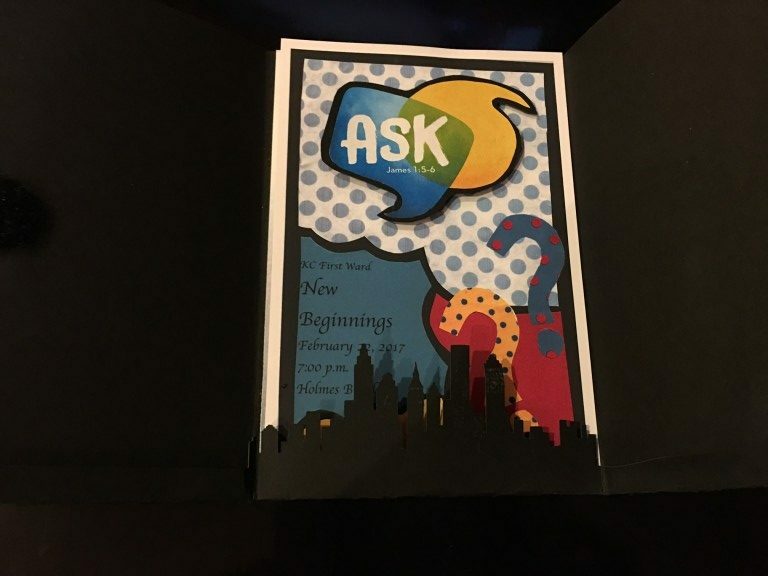 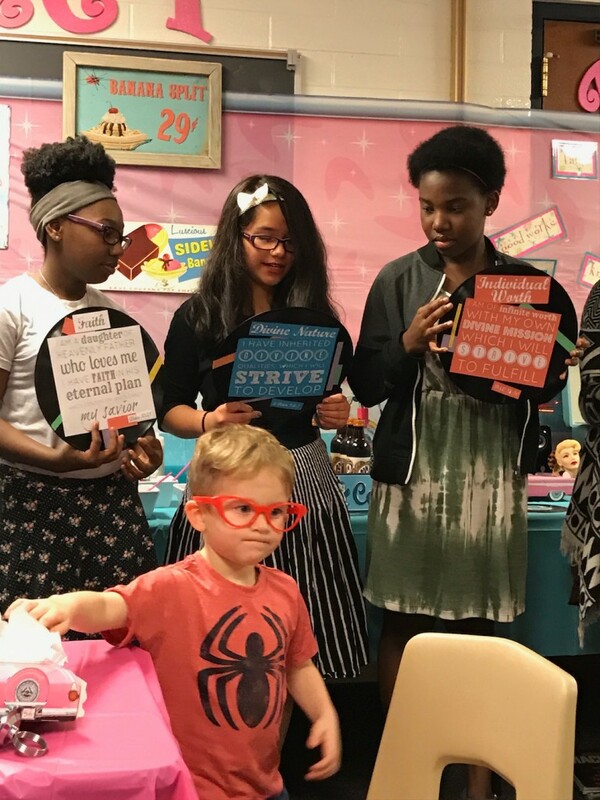 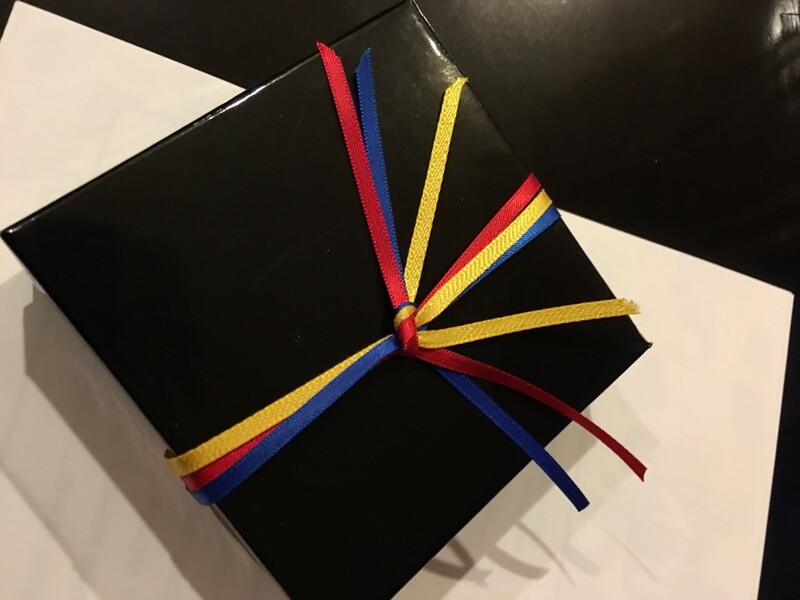 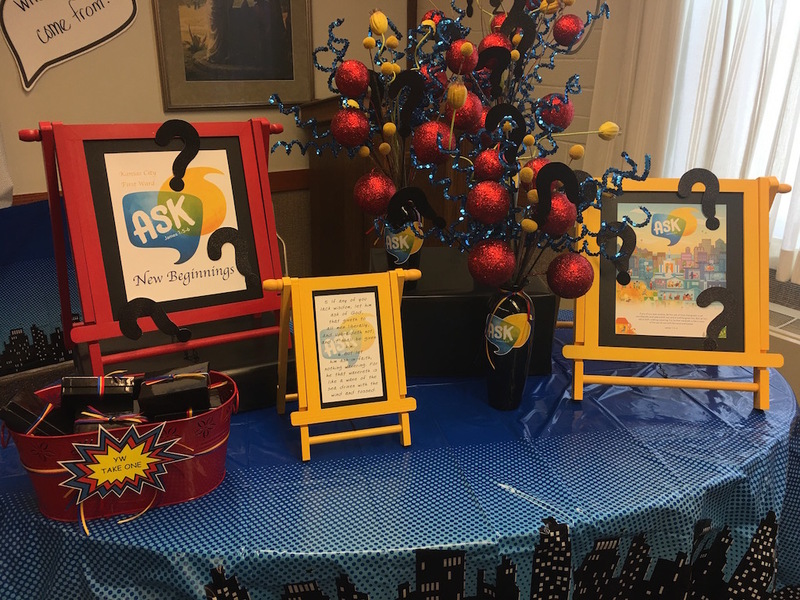 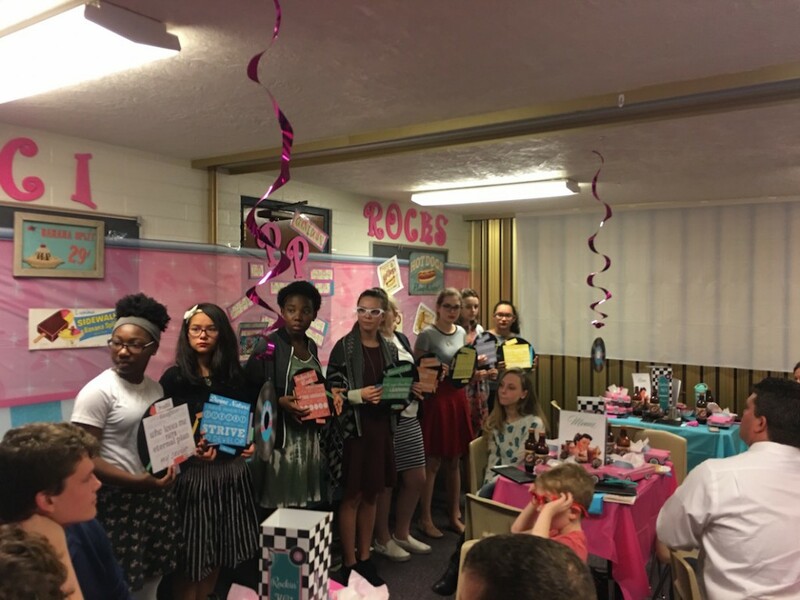 Each girl received a folder of information, a bracelet with the mutual theme and a framed picture of the Kansas City Temple. 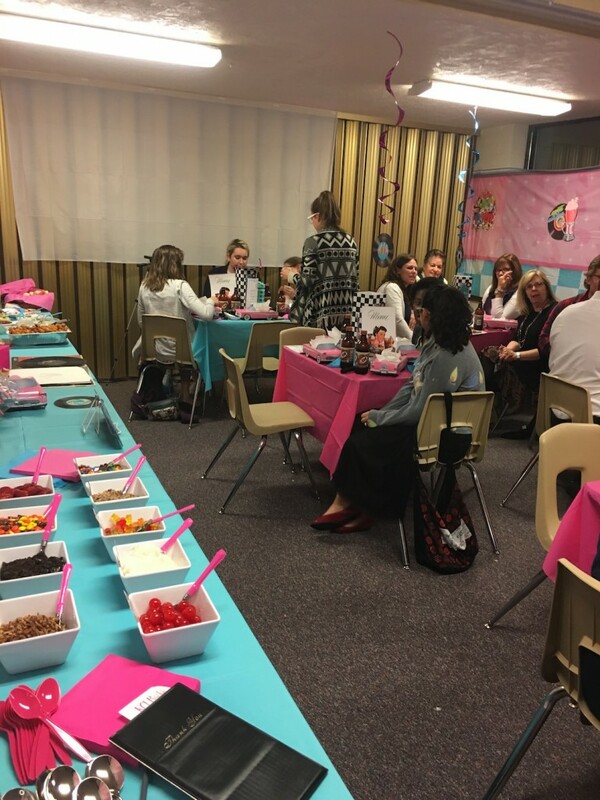 We had a remarkable speaker, Evy Tanner a Laurel in our Stake. 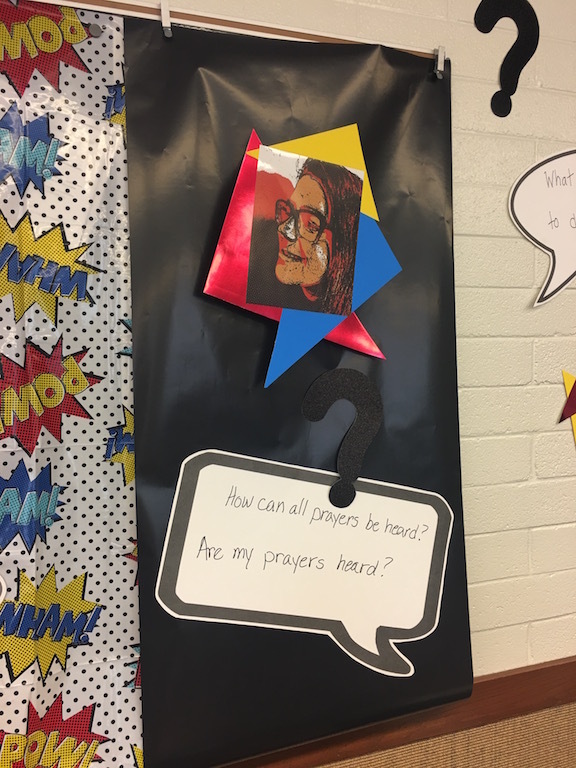 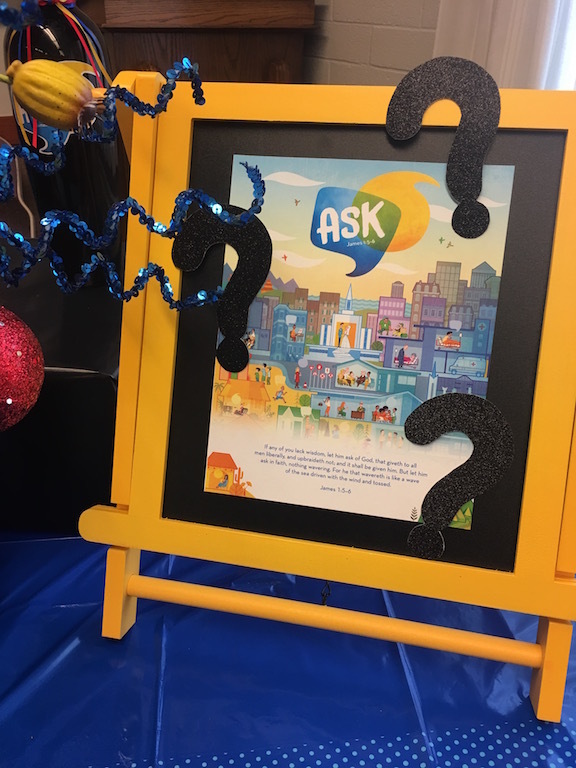 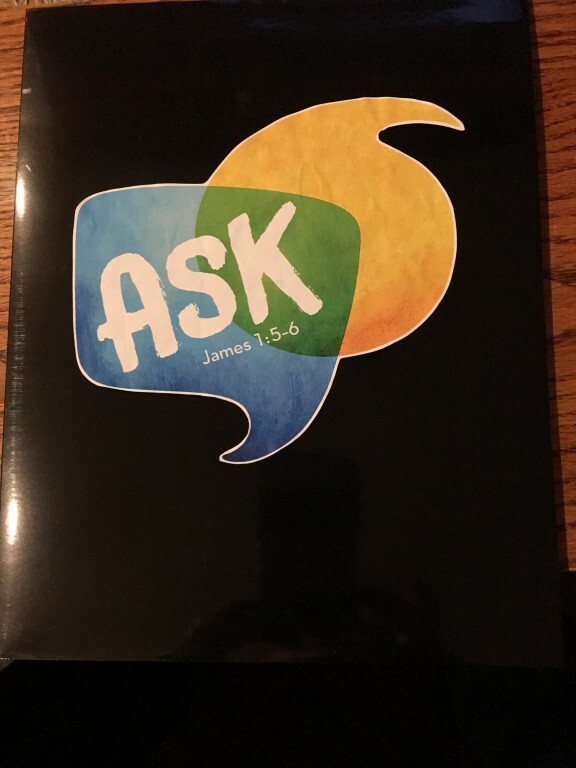 We asked her to speak on “Asking” our Heavenly Father and to tell of her personal experiences…She spoke of how when she was four she prayed to be turned into a chicken but was thankful that prayer was answered. 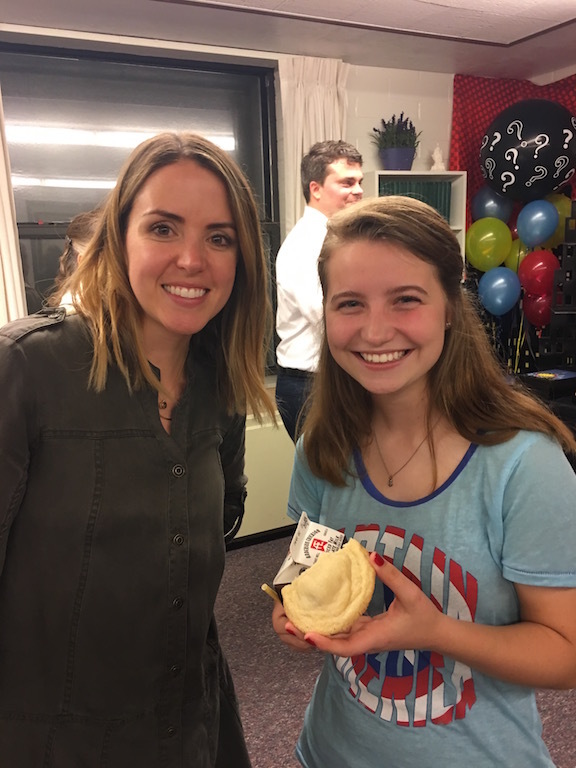 She also shared how her family experienced a miracle this past June when their prayers (and thousands of others) were answered when her father was rescued after being lost at sea off of Honduras (see Fox news). 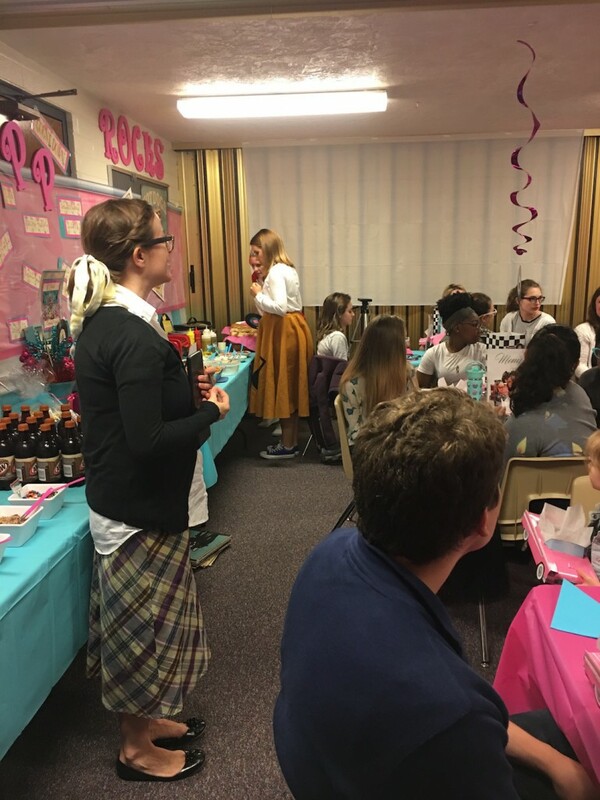 Evy delivered a powerful talk. 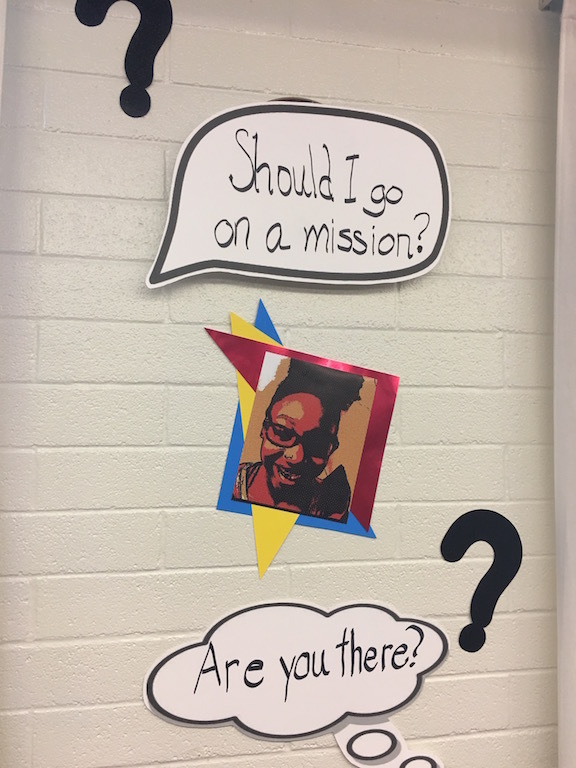 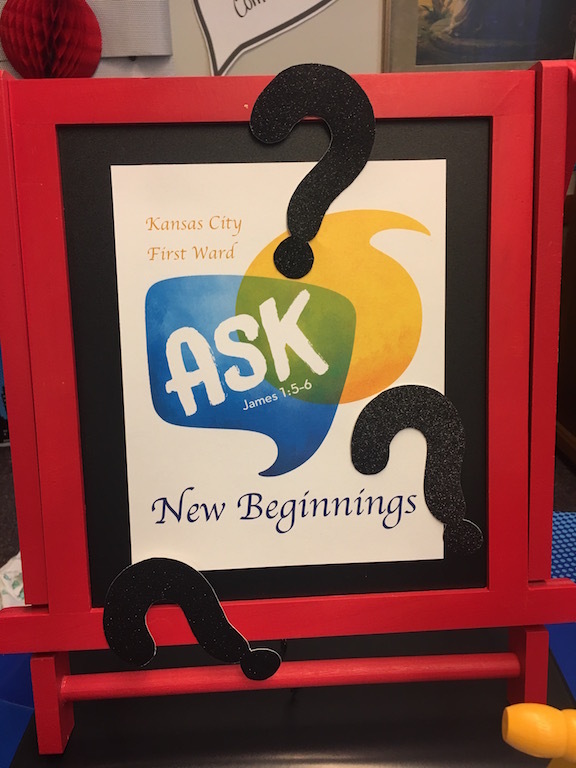 This entry was posted in New Beginnings and Young Women In Excellence, Young Women and tagged Ask, Mutual, New Beginnings, Young Women in Excellence. 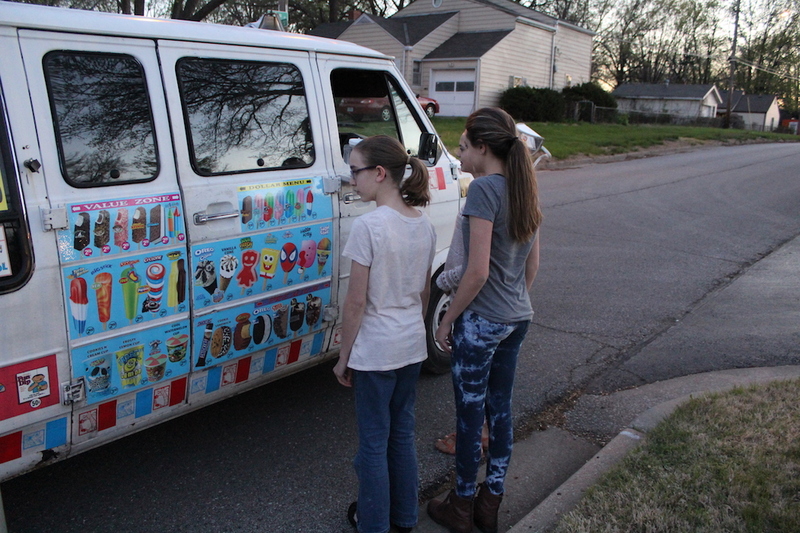 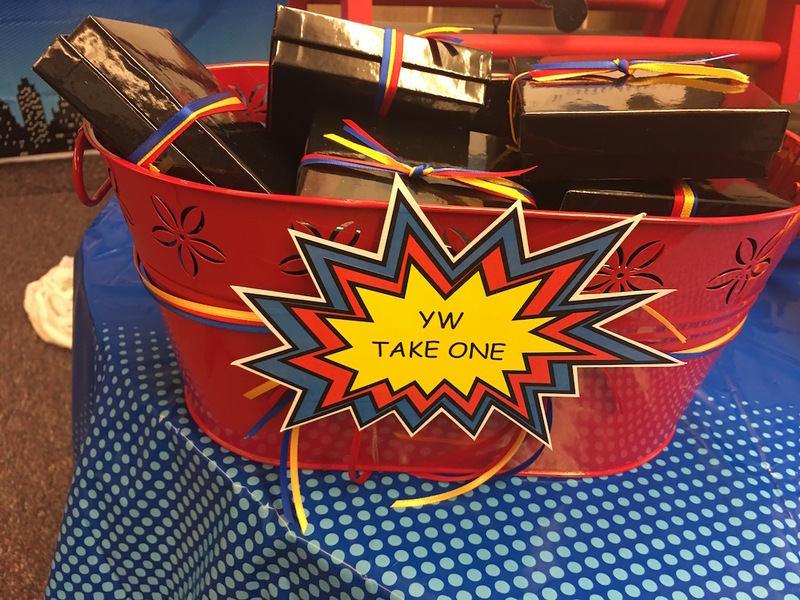 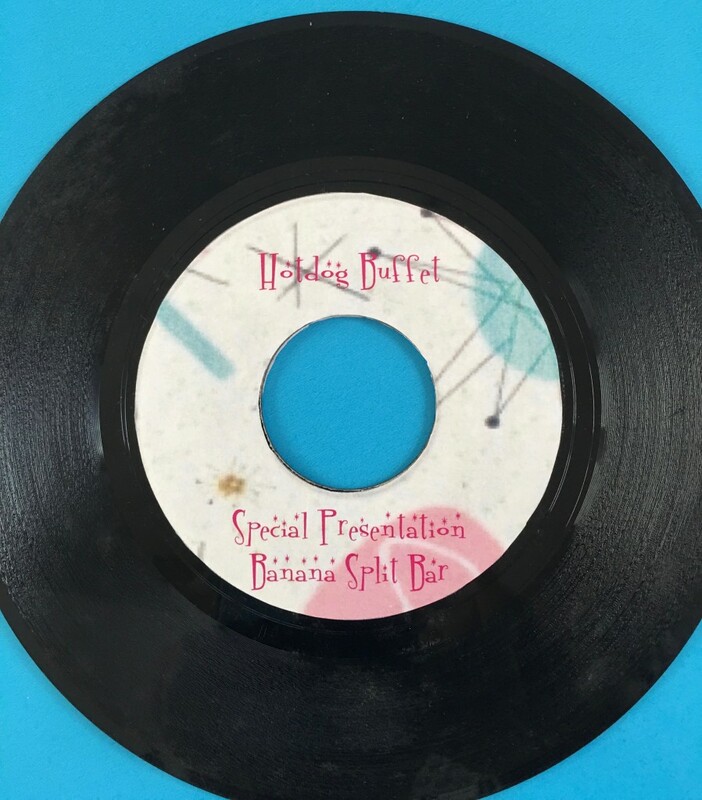 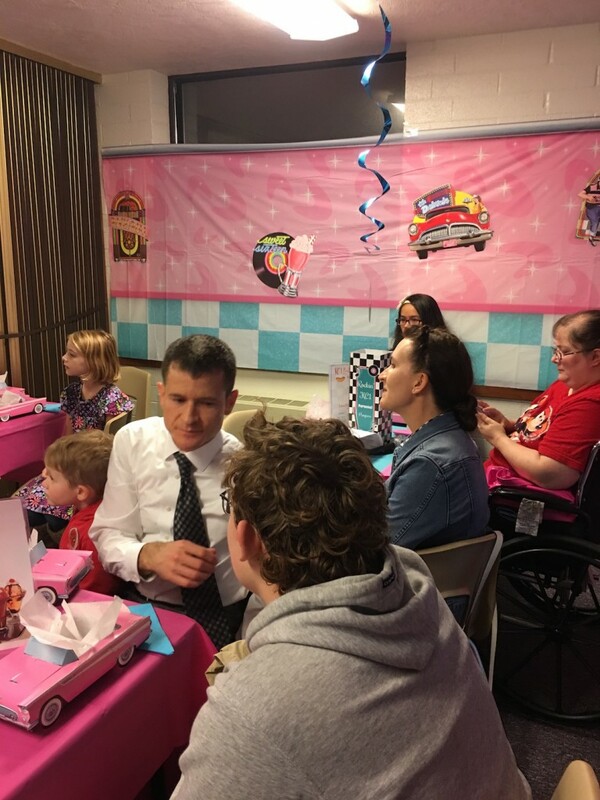 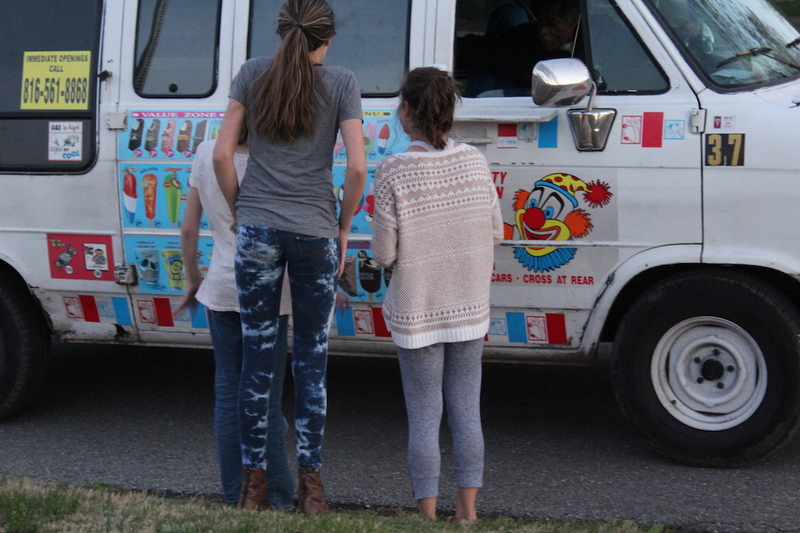 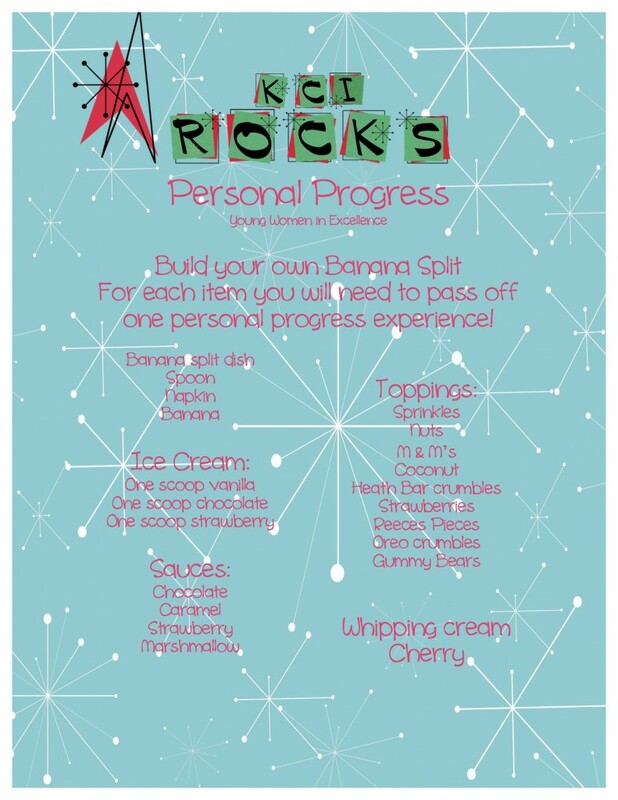 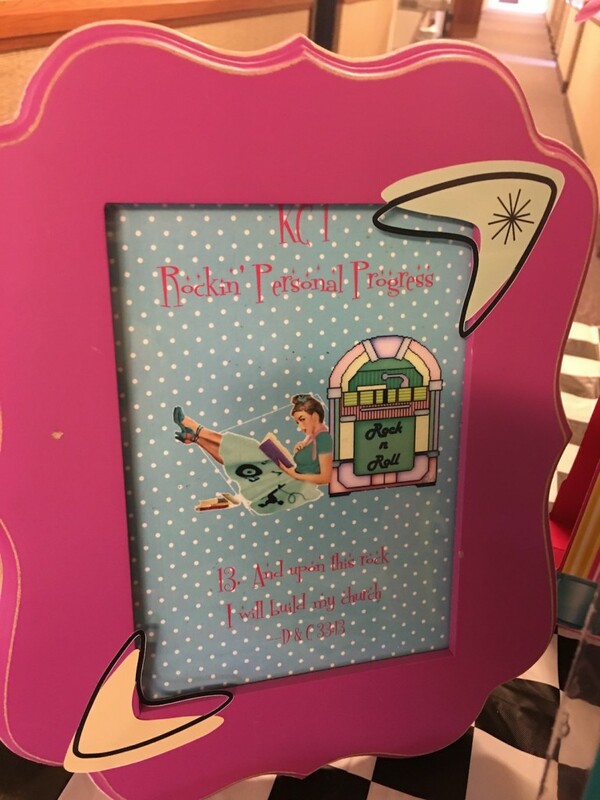 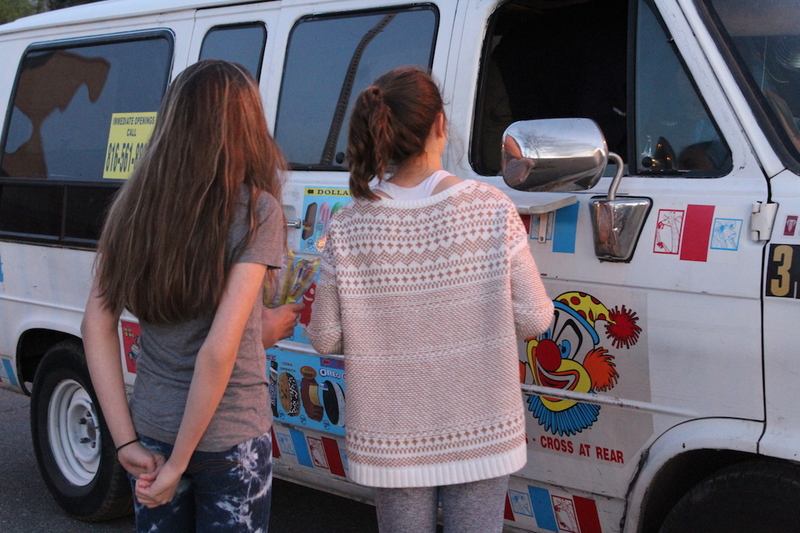 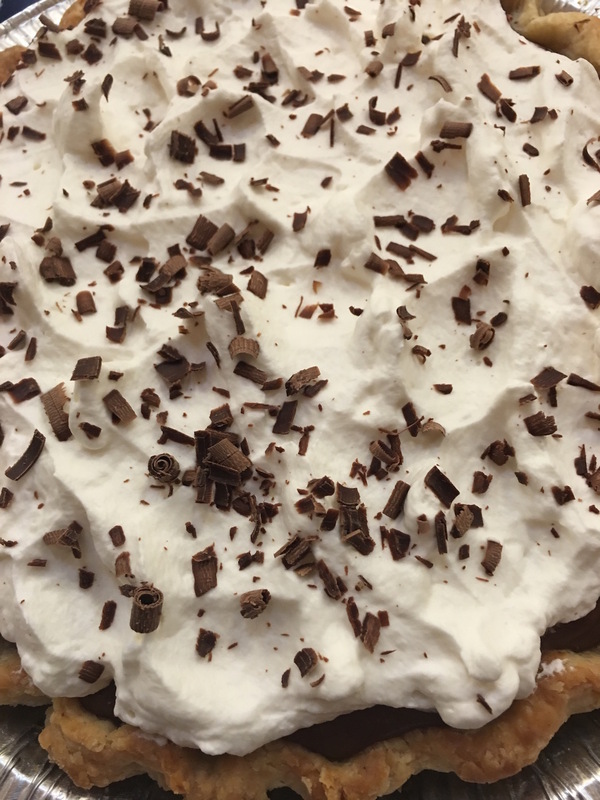 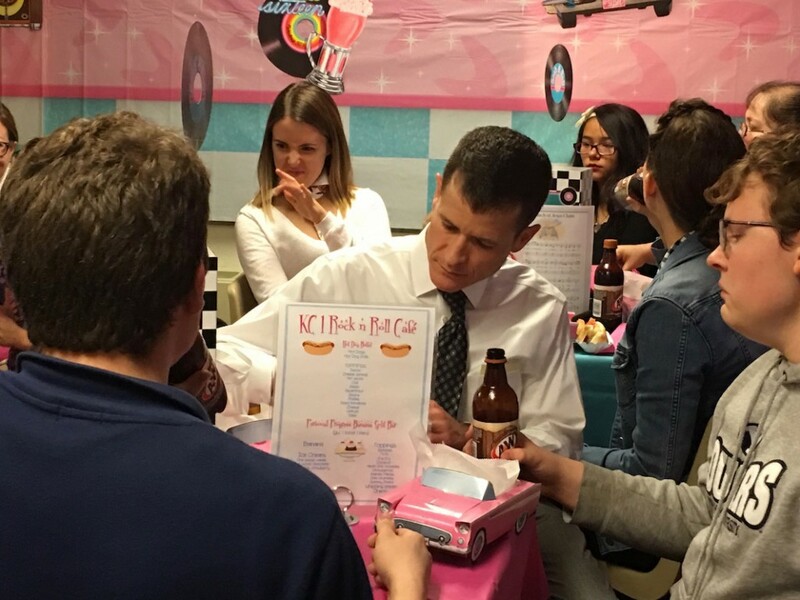 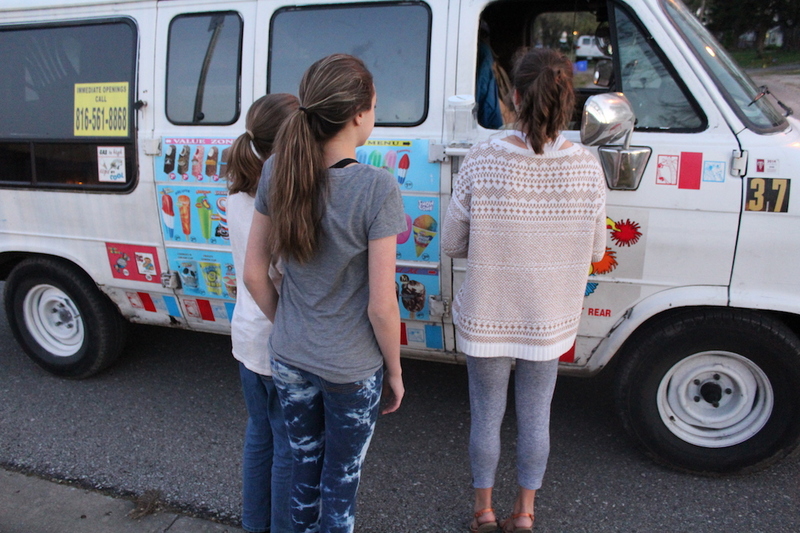 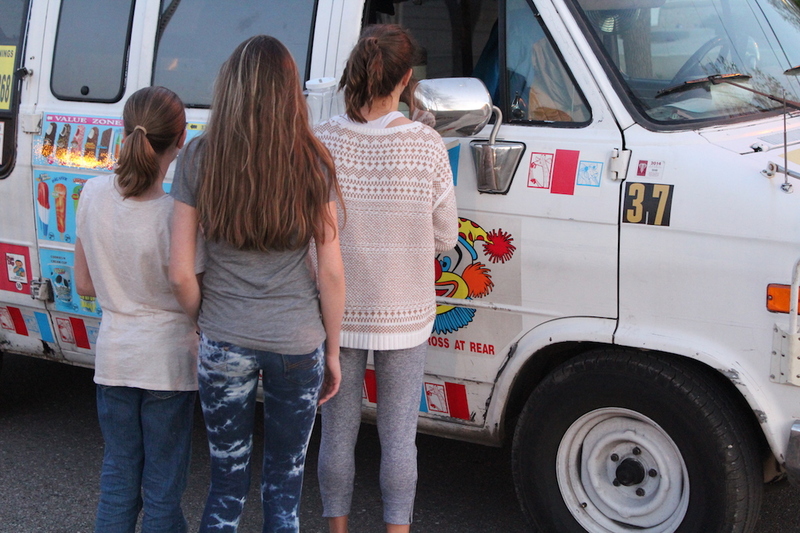 and a Banana Split Bar…but there was a catch to the Banana Split Bar…the YW had to pass off a value experience in their Personal Progress book to “earn” a ticket. 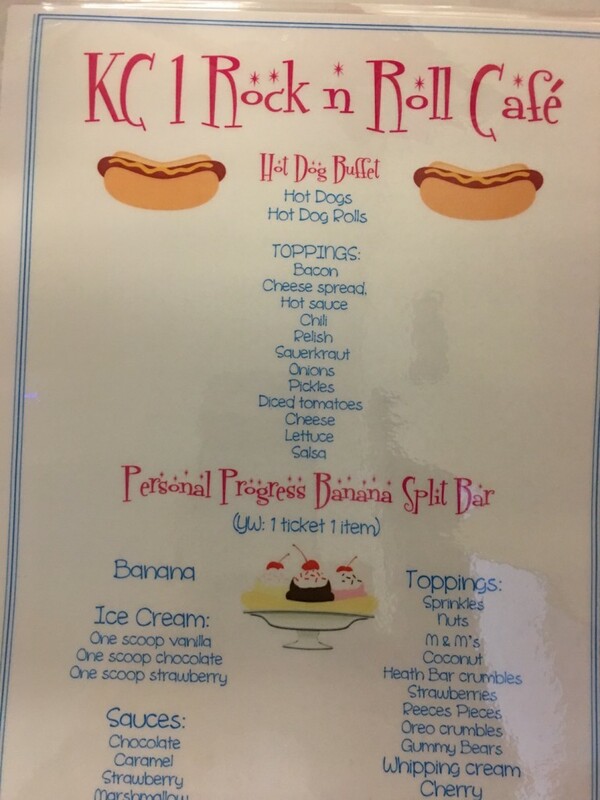 Each ticket was good for an additional topping. 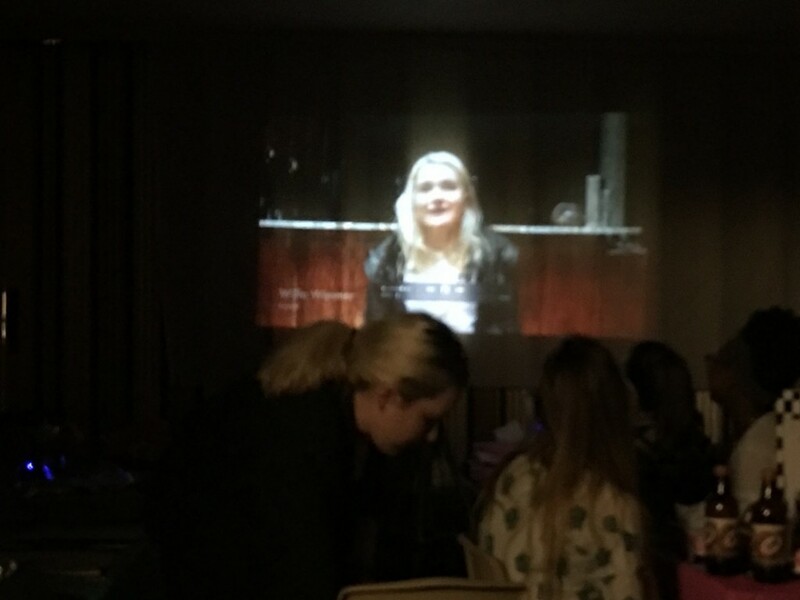 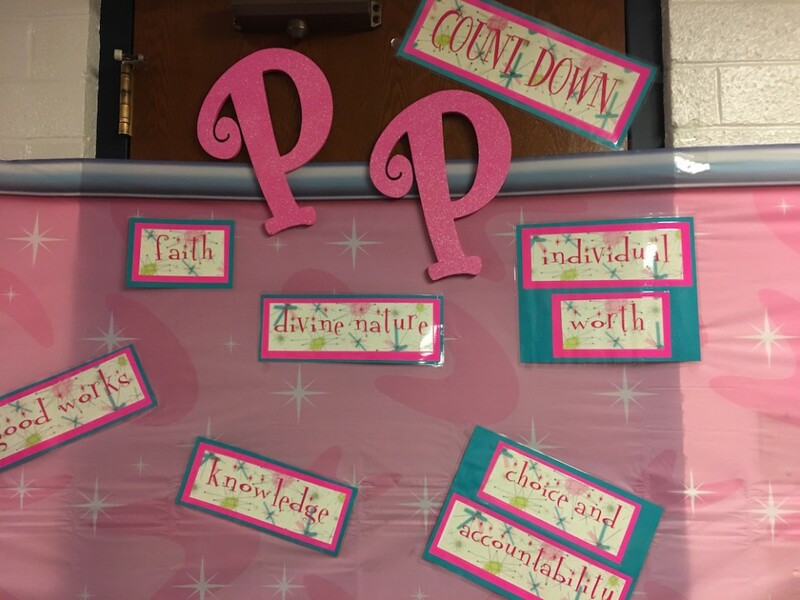 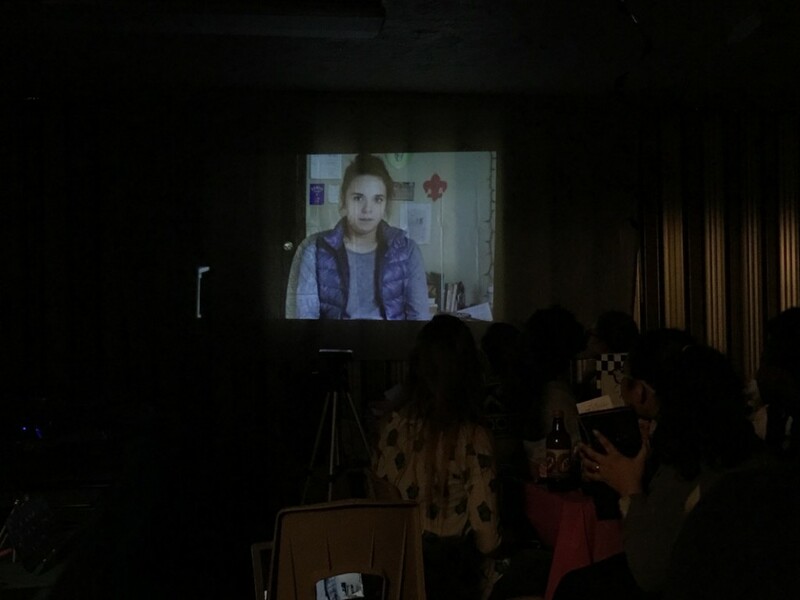 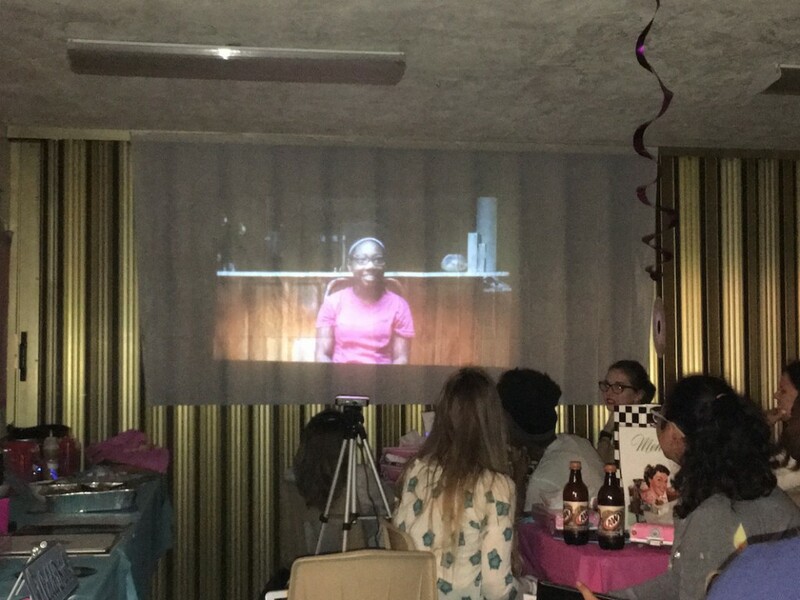 We had a special video presentation showcasing each Young Women and a Personal Progress VALUES COUNTDOWN! 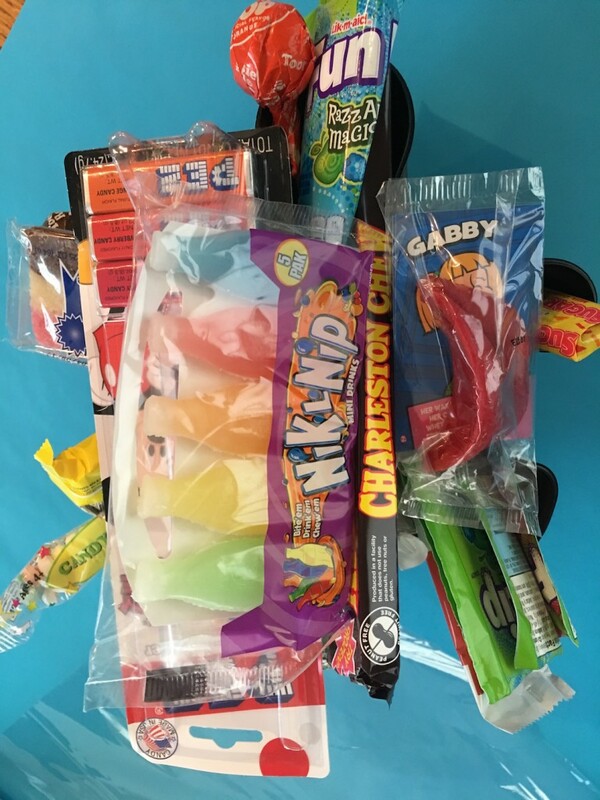 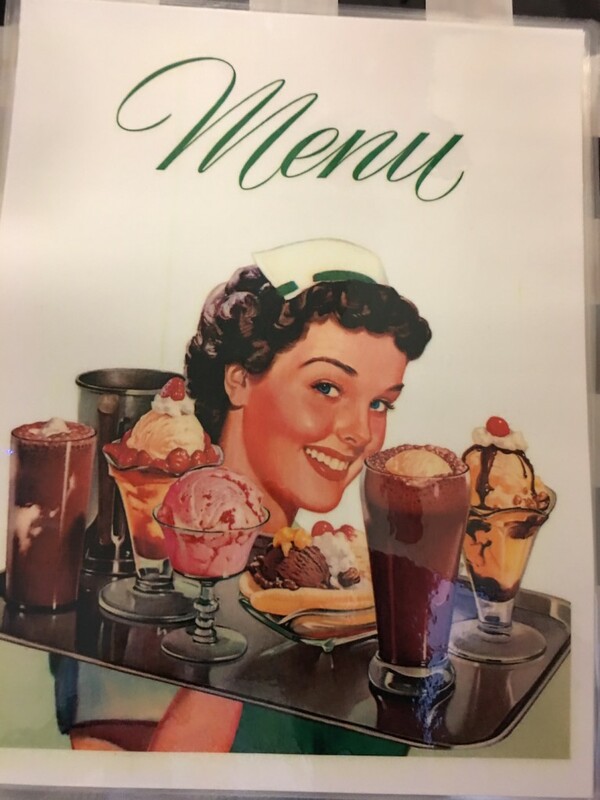 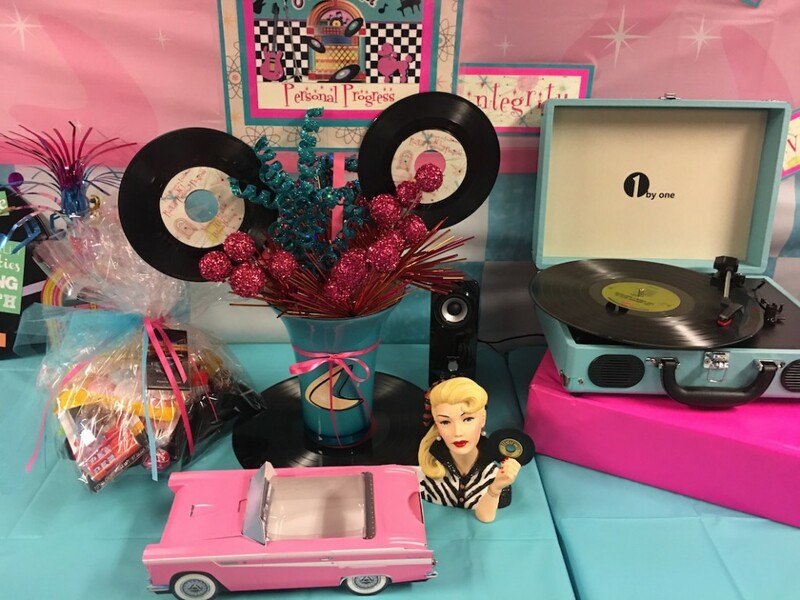 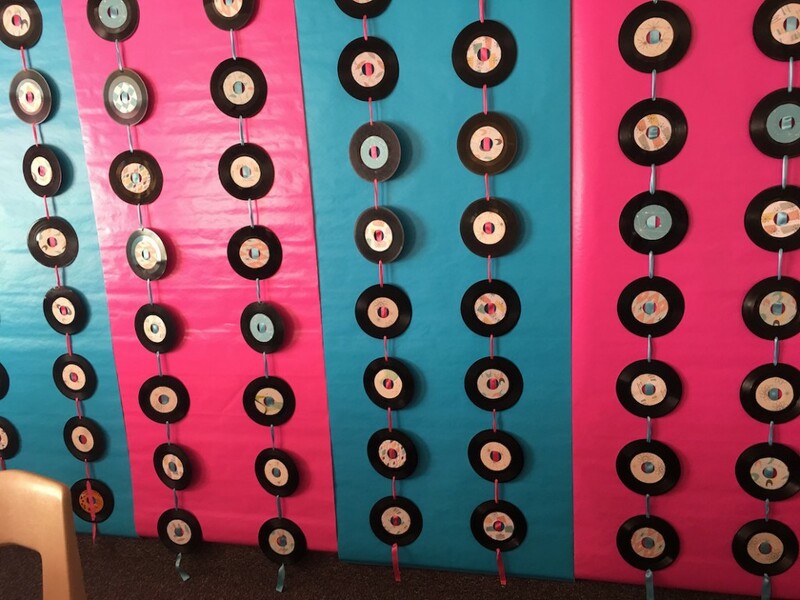 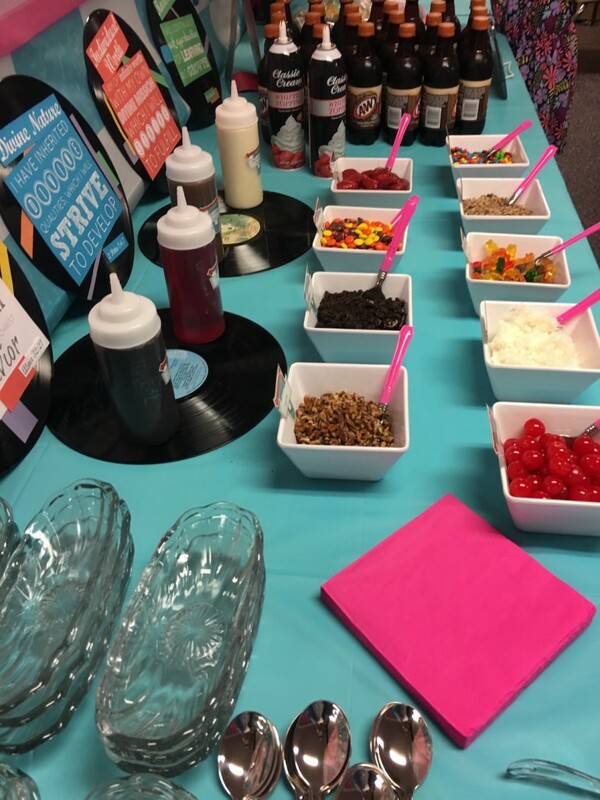 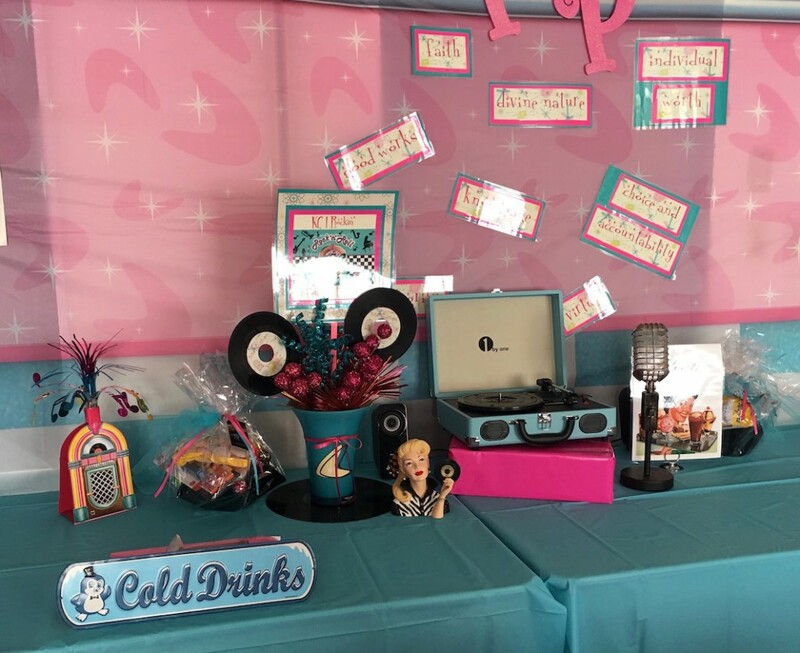 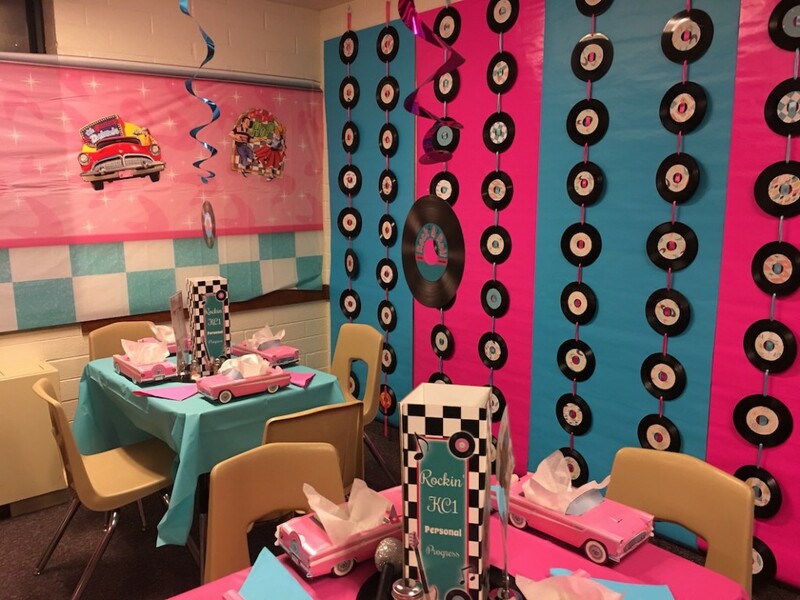 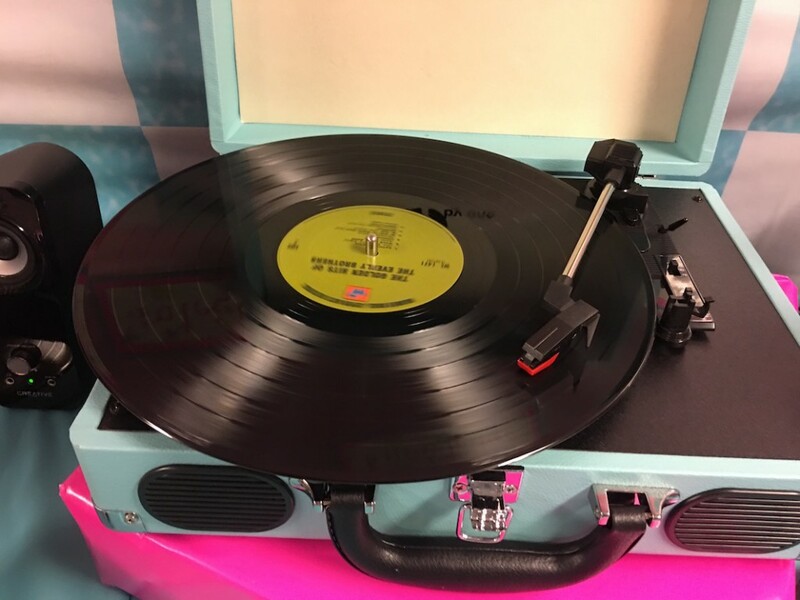 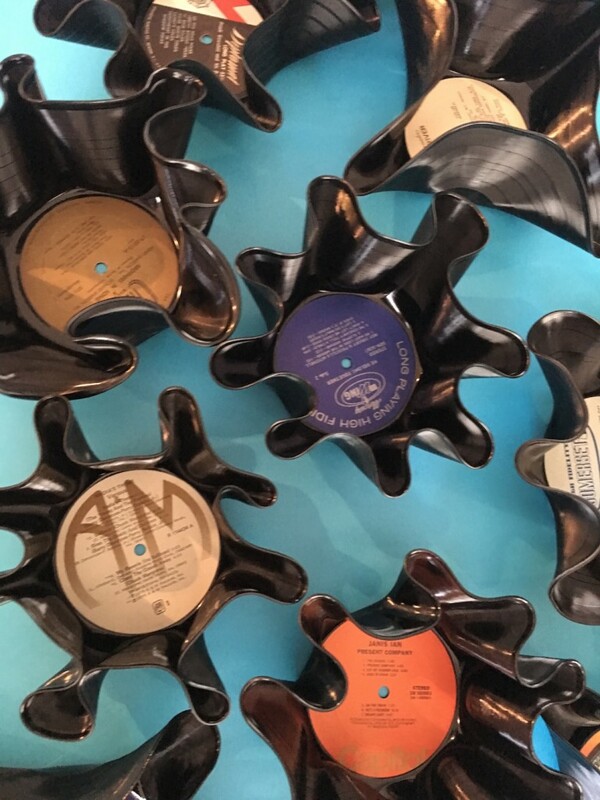 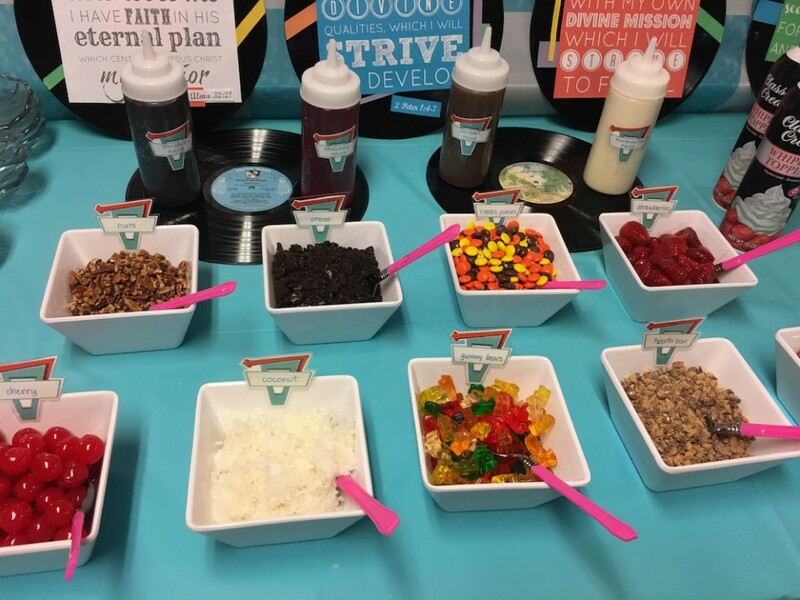 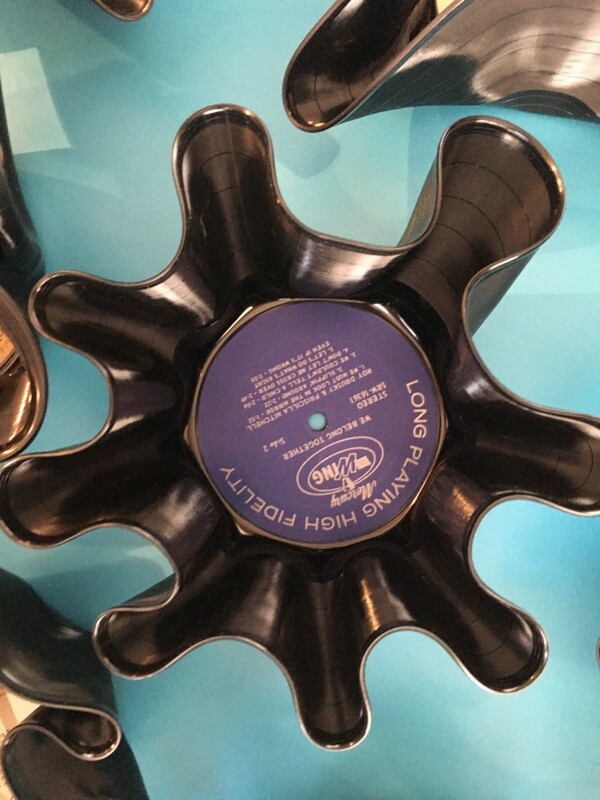 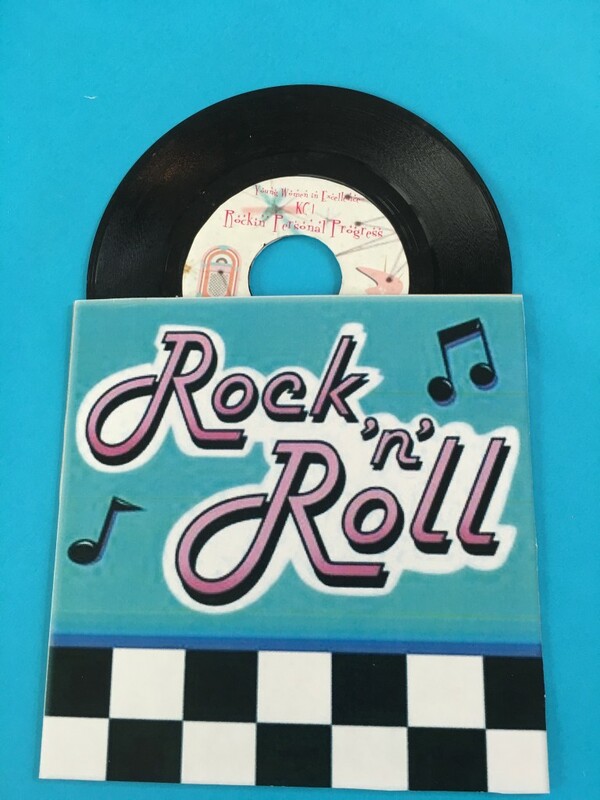 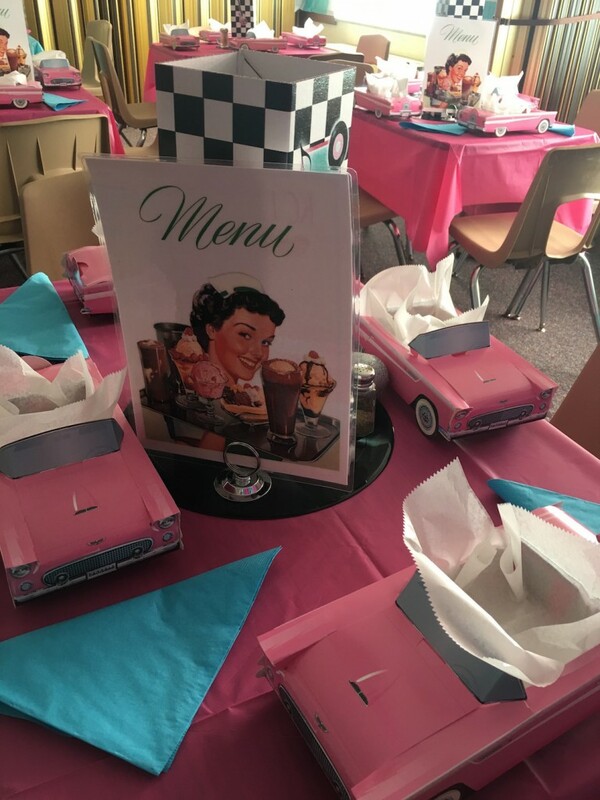 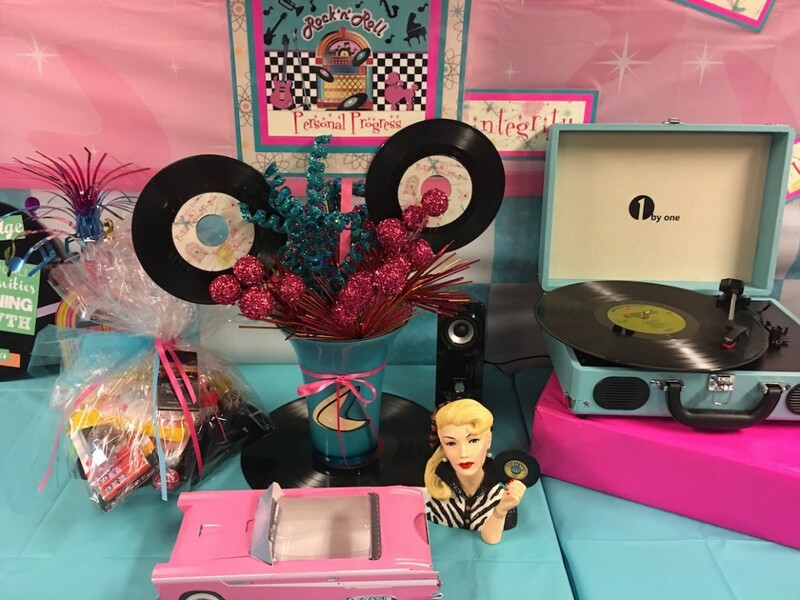 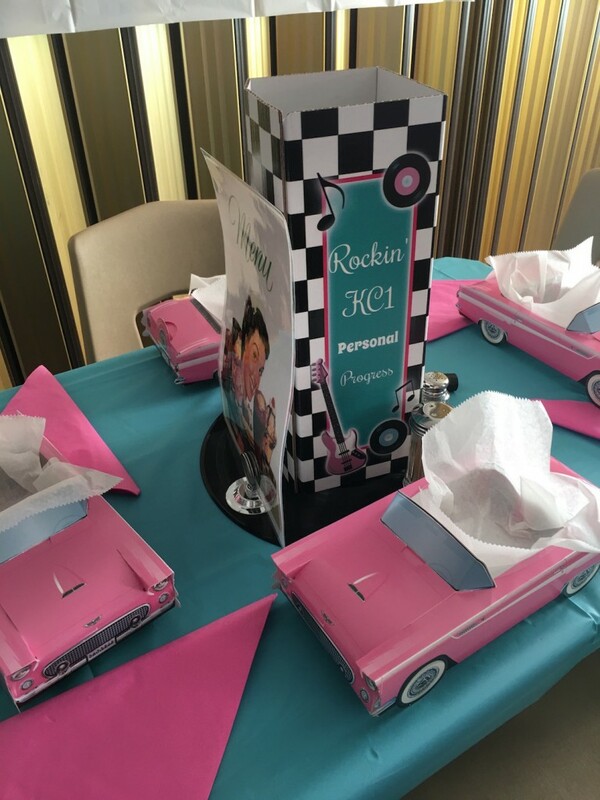 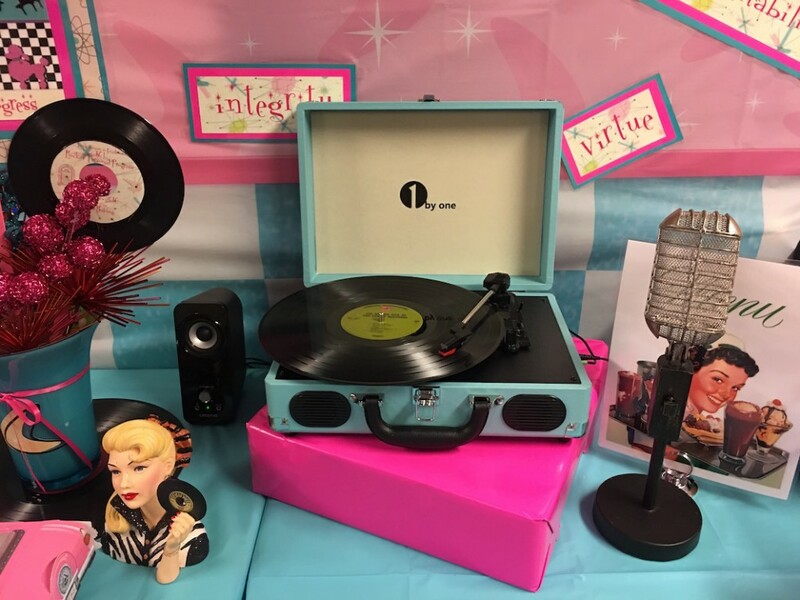 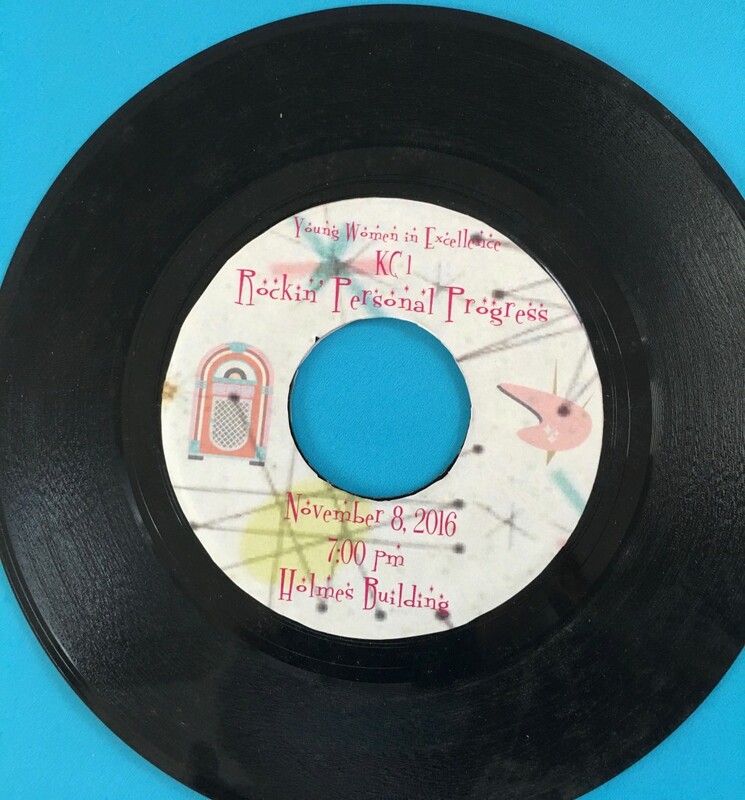 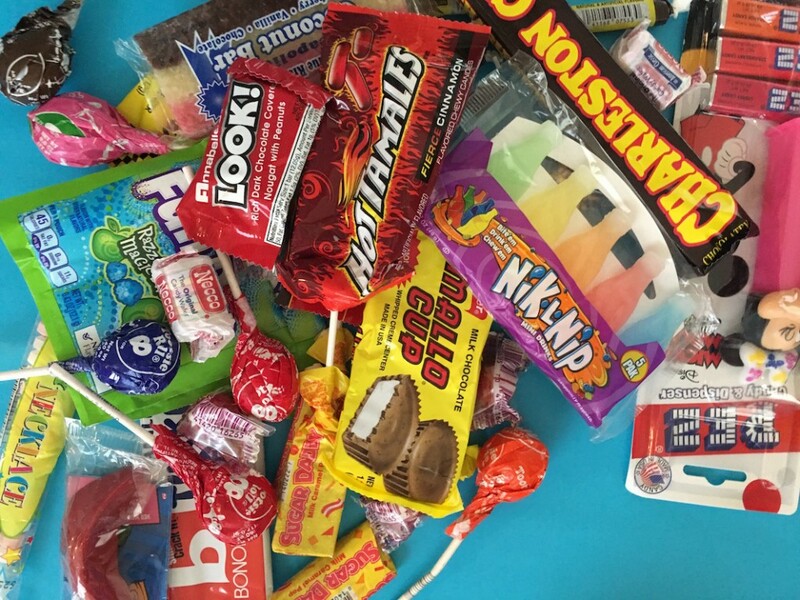 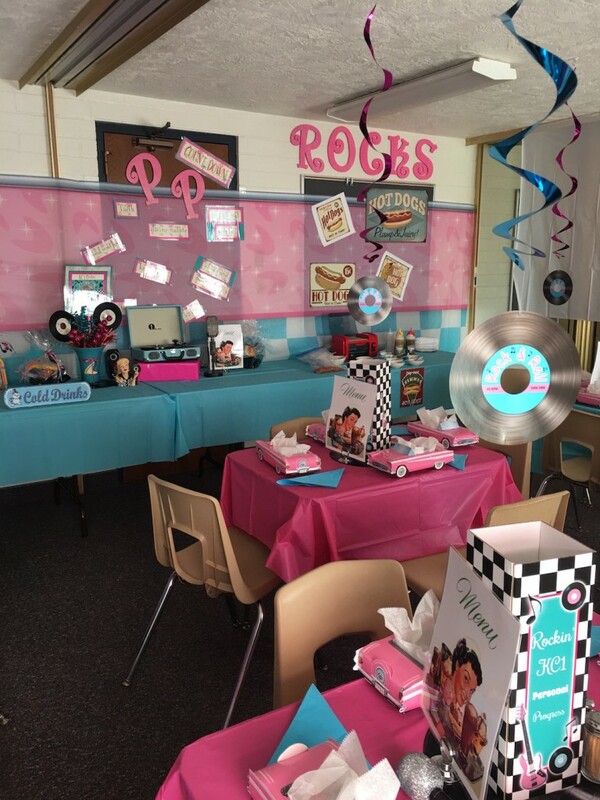 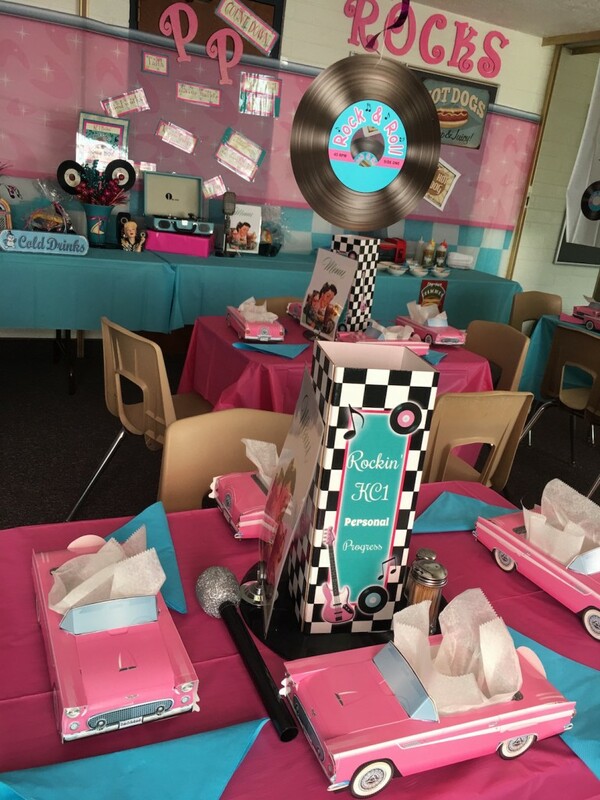 And as a take home favor each Young Women received a vinyl record bowl filled with fifties candies. 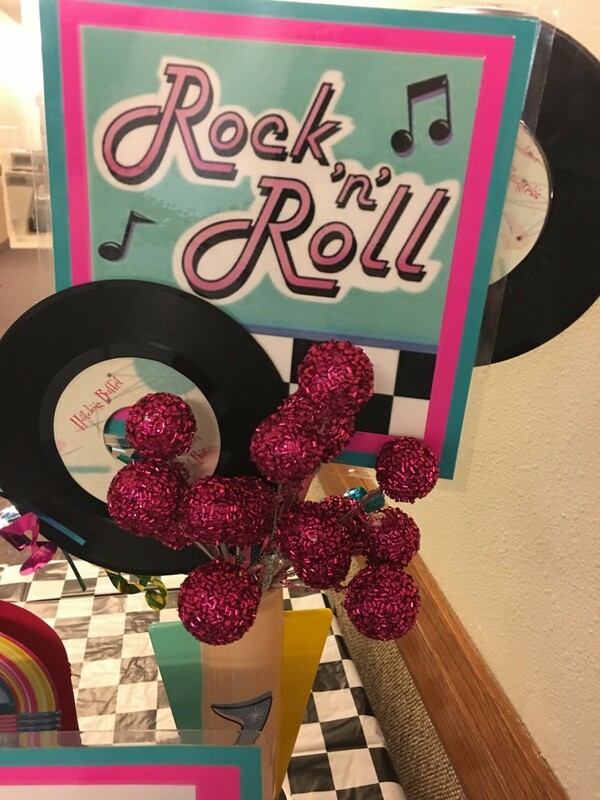 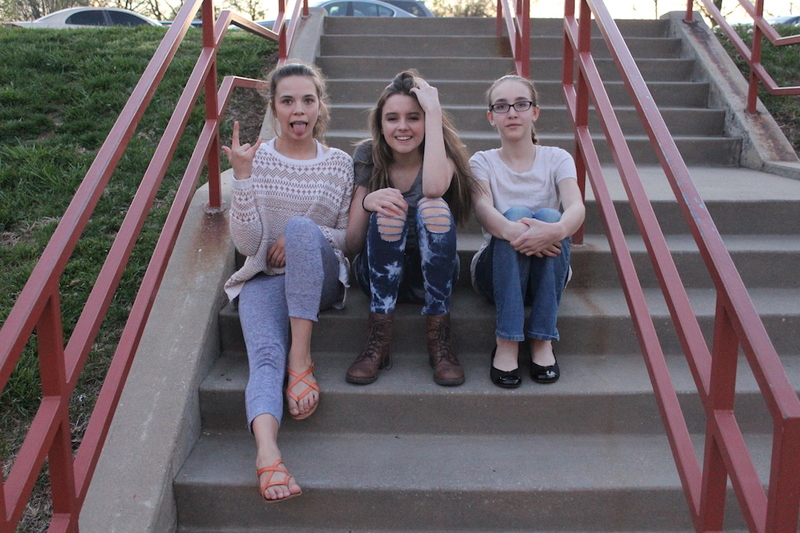 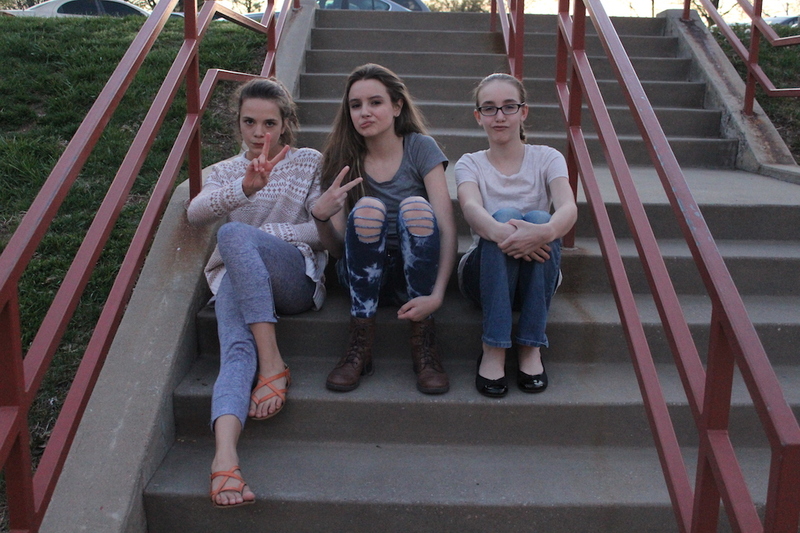 A rockin’ good time was had by one and all! 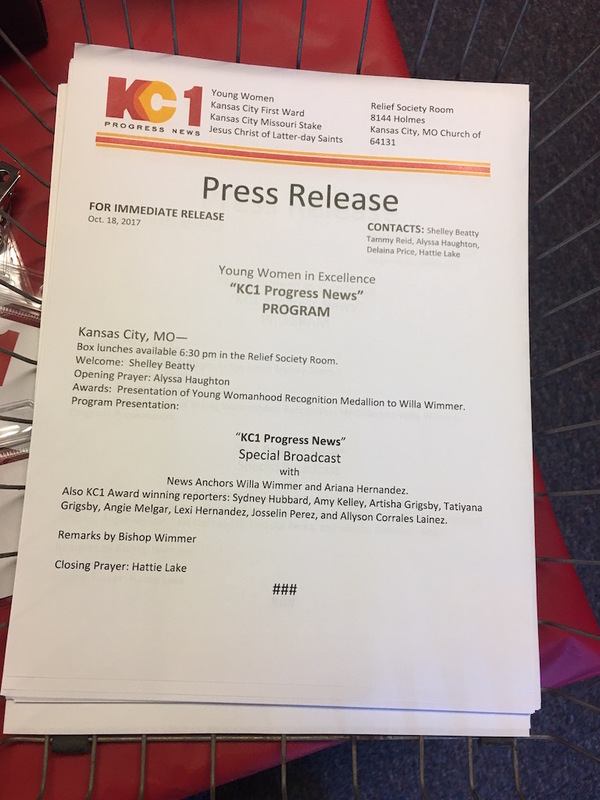 This entry was posted in Mutual Activity, Young Women and tagged New Beginnings, Young Women in Excellence. 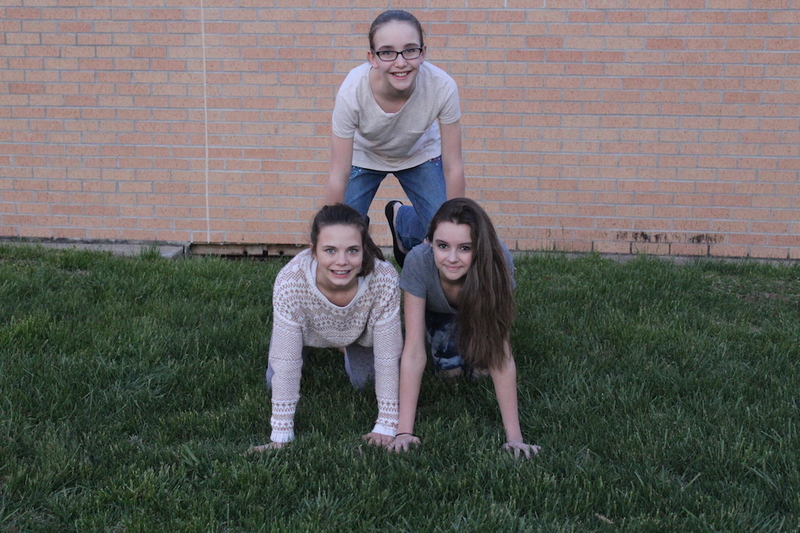 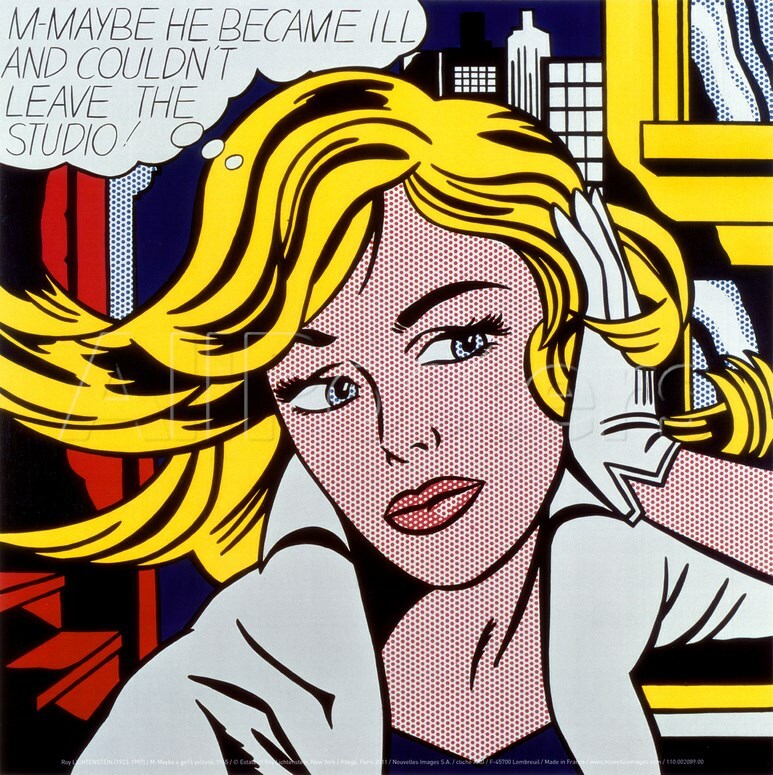 This entry was posted in Mutual Activity and tagged Beehives, Mutual Activity. 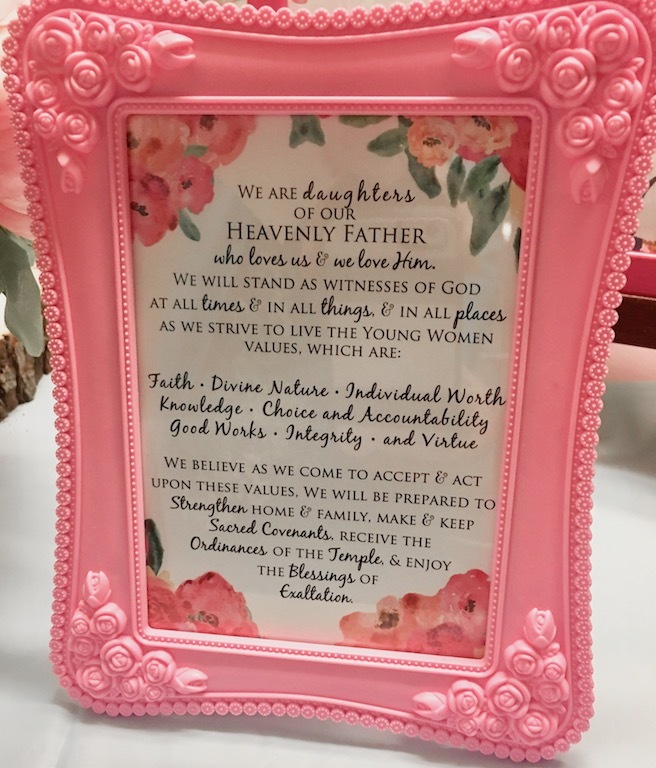 This entry was posted in What we believe and tagged I Feel My Savior's Love. 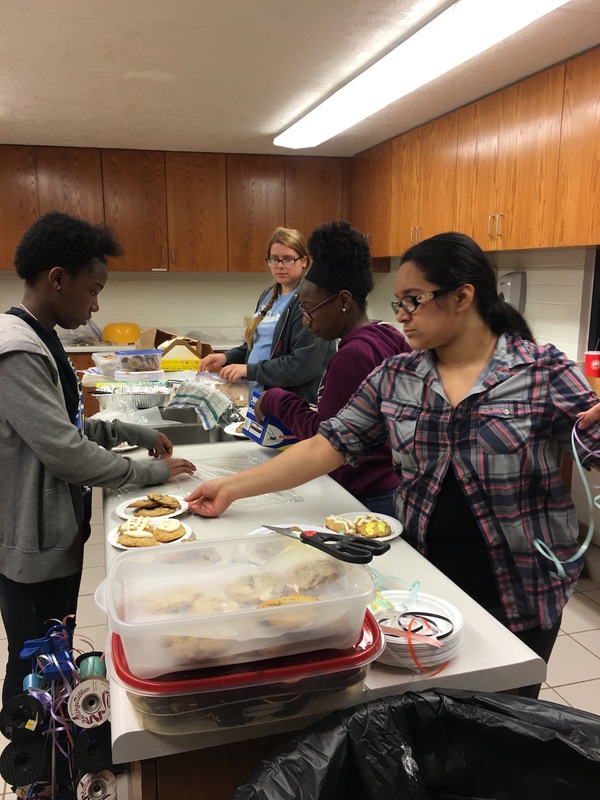 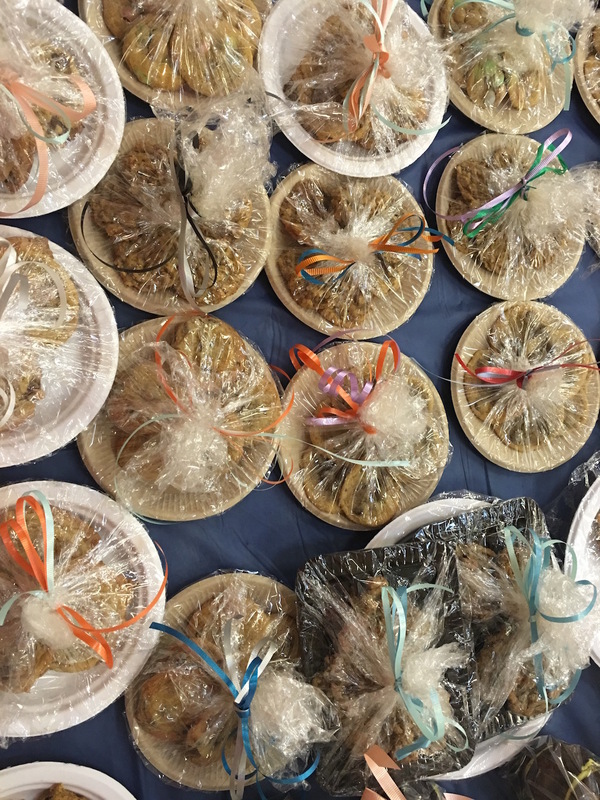 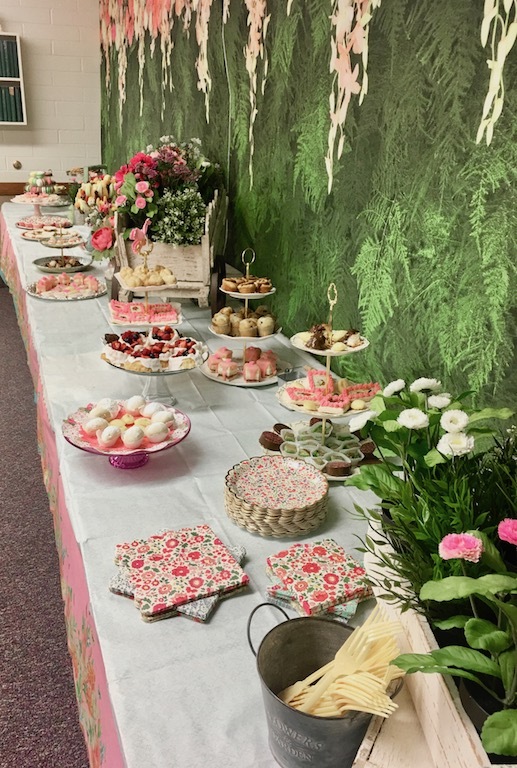 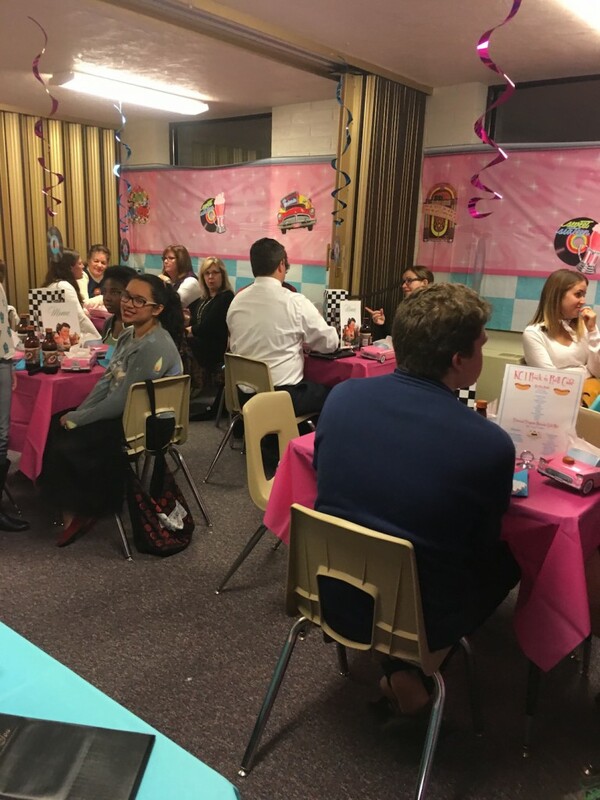 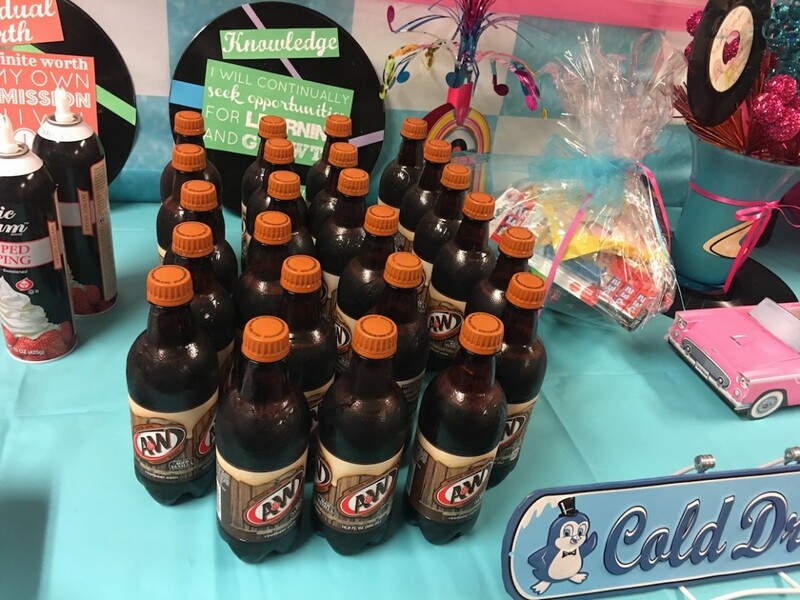 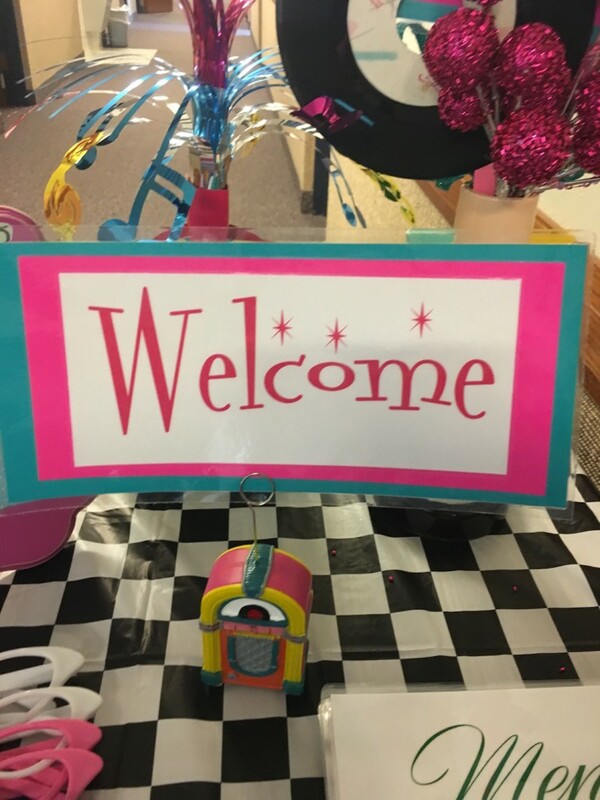 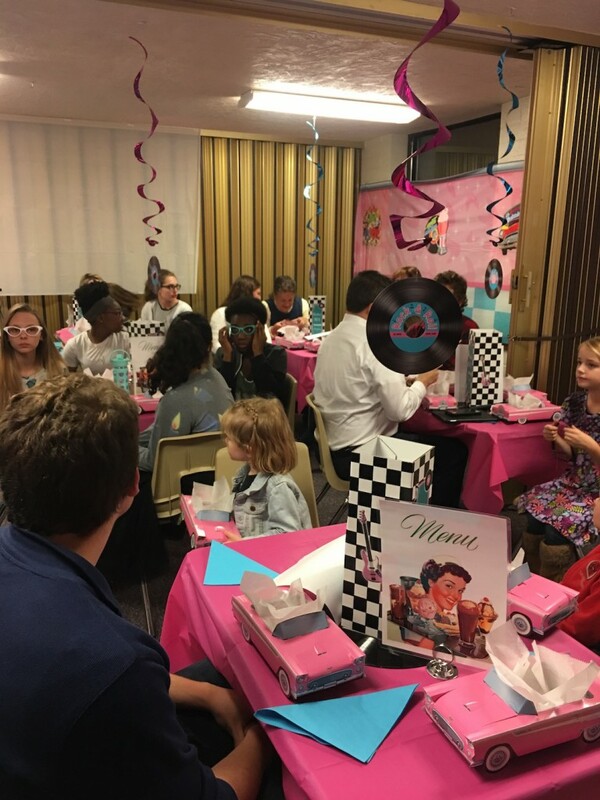 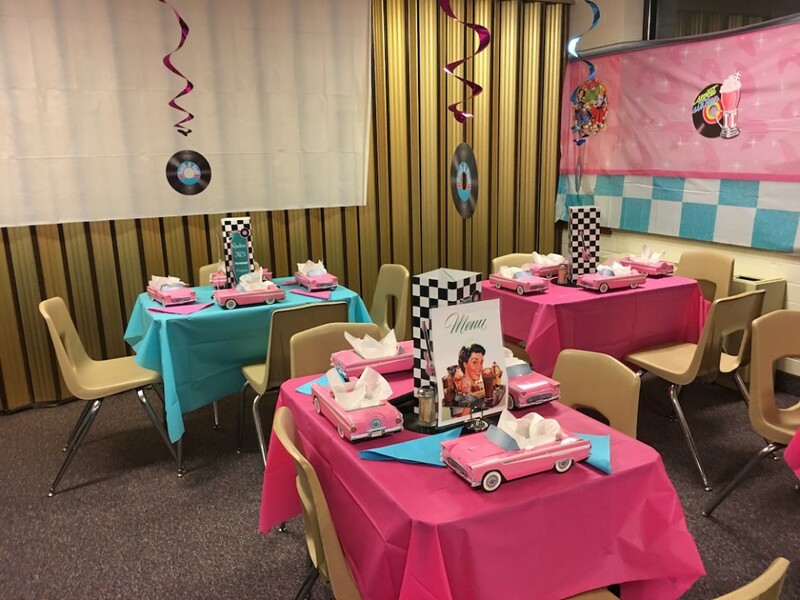 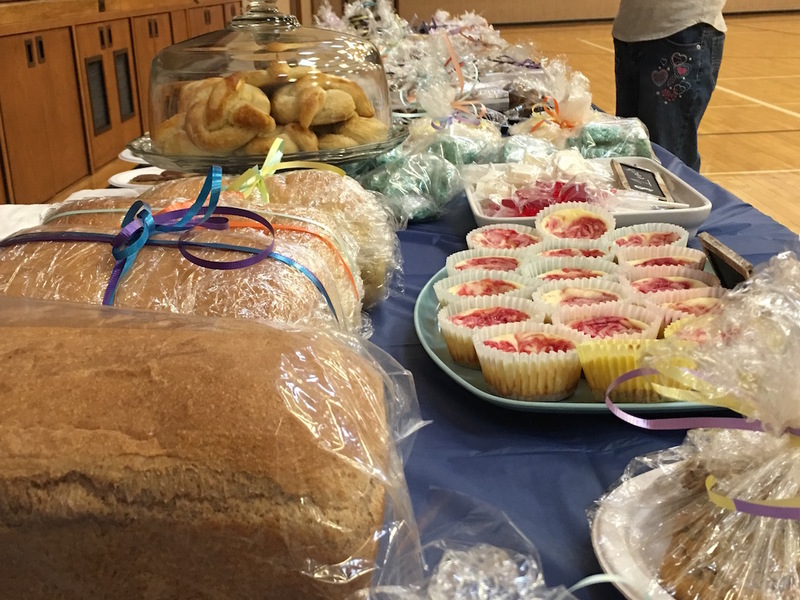 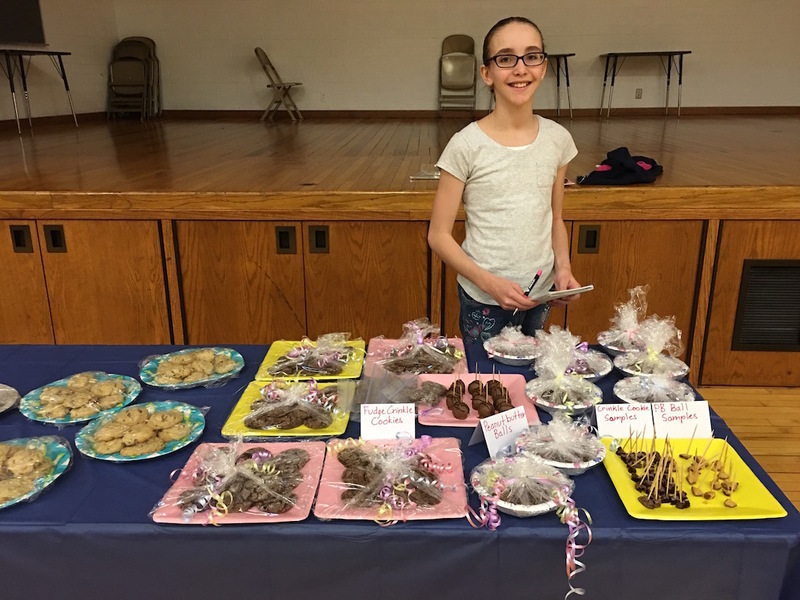 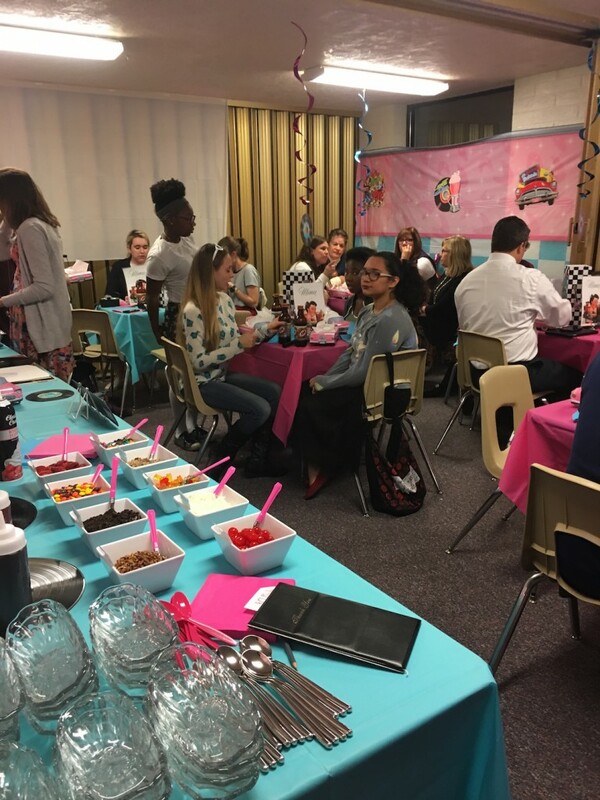 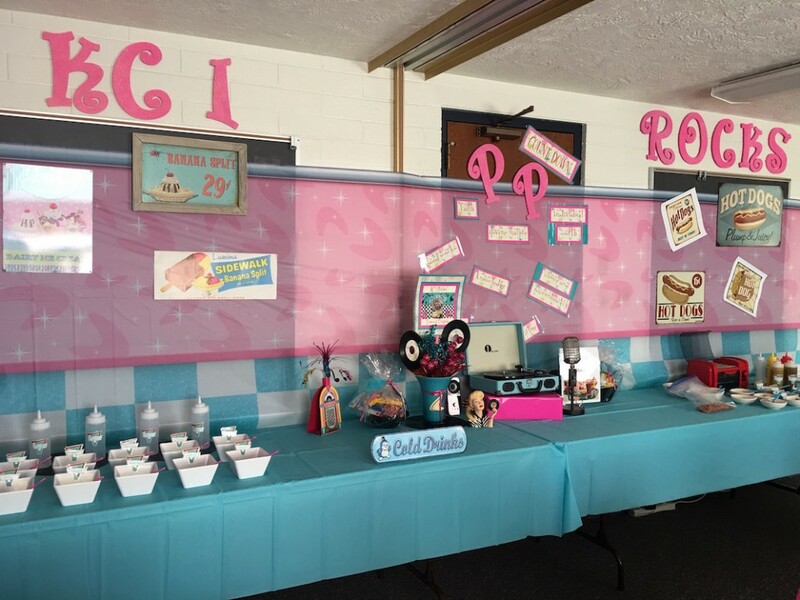 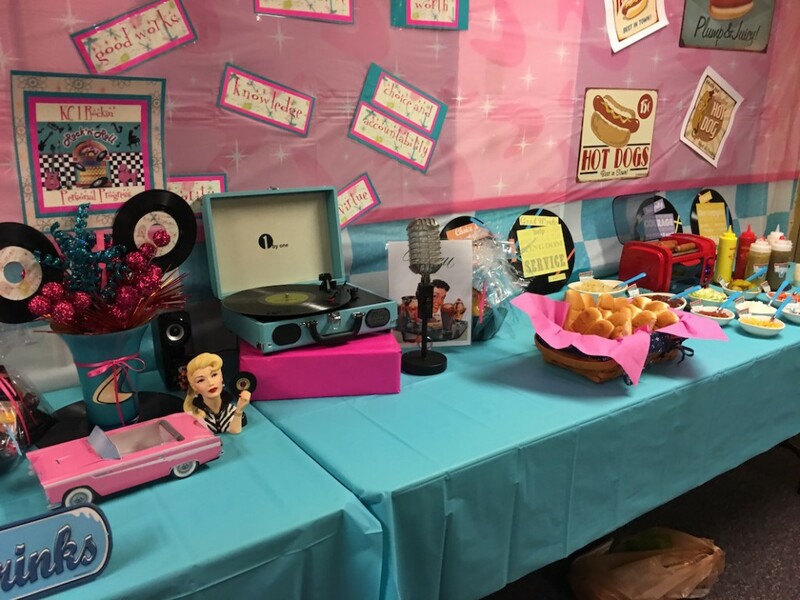 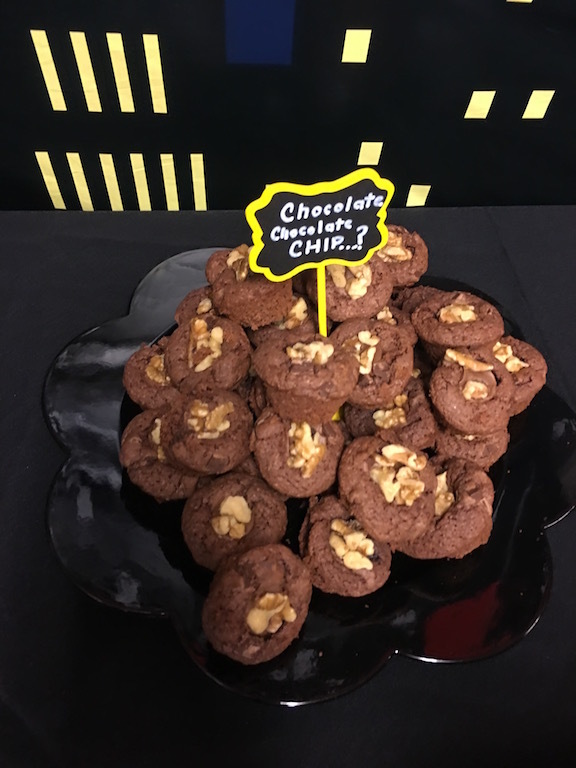 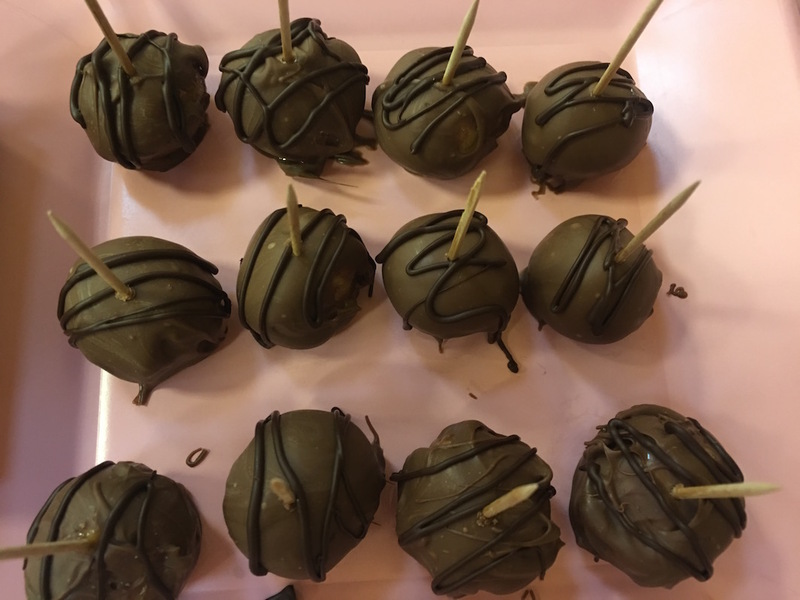 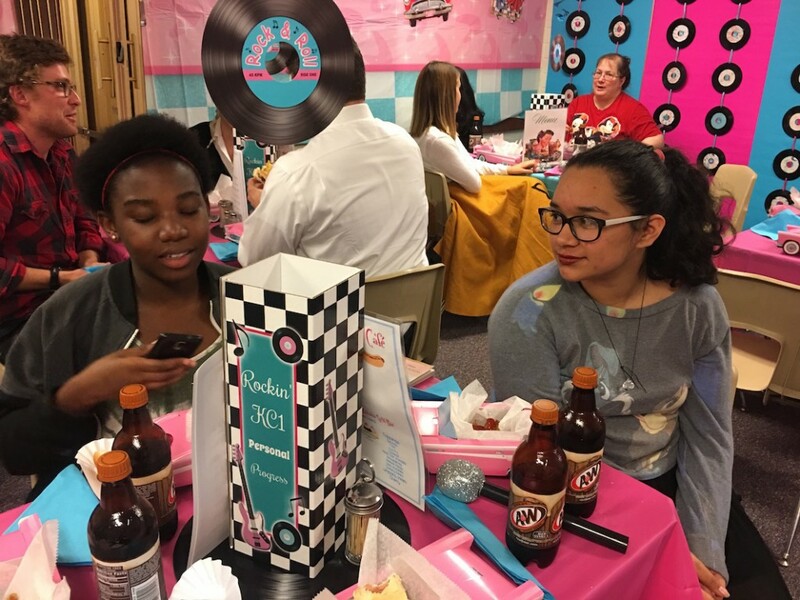 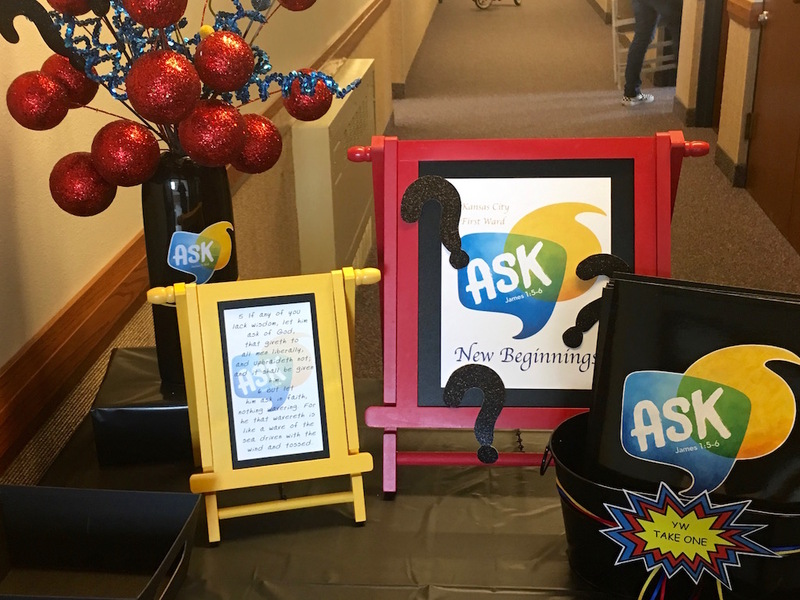 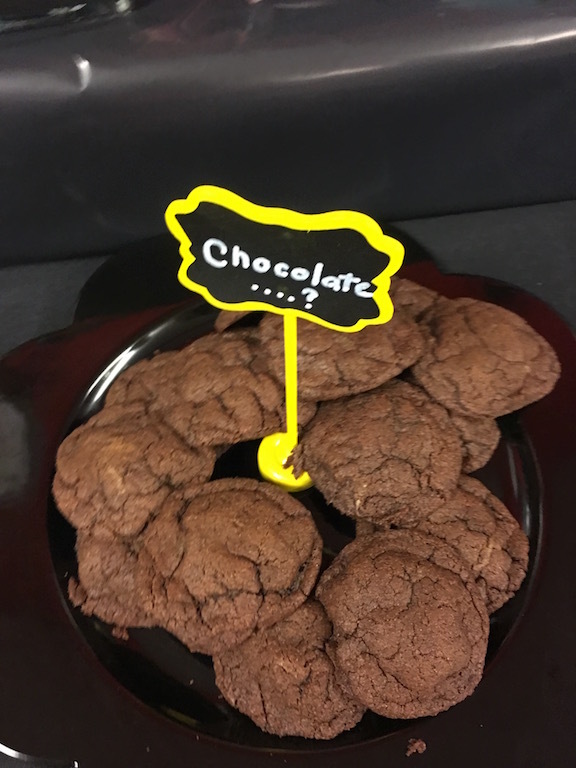 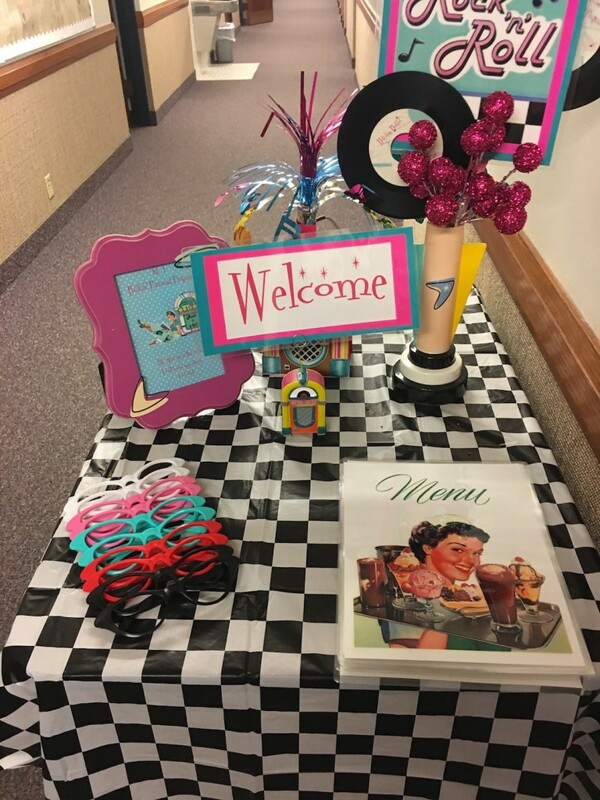 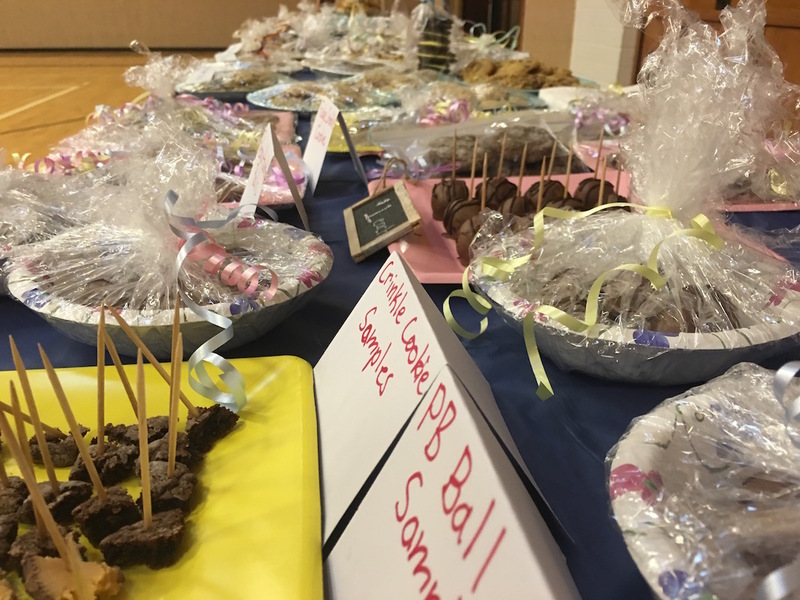 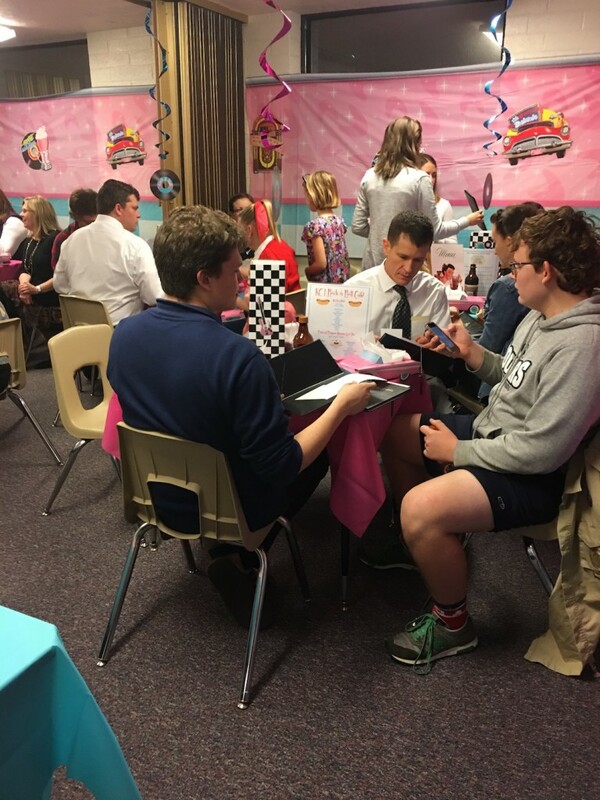 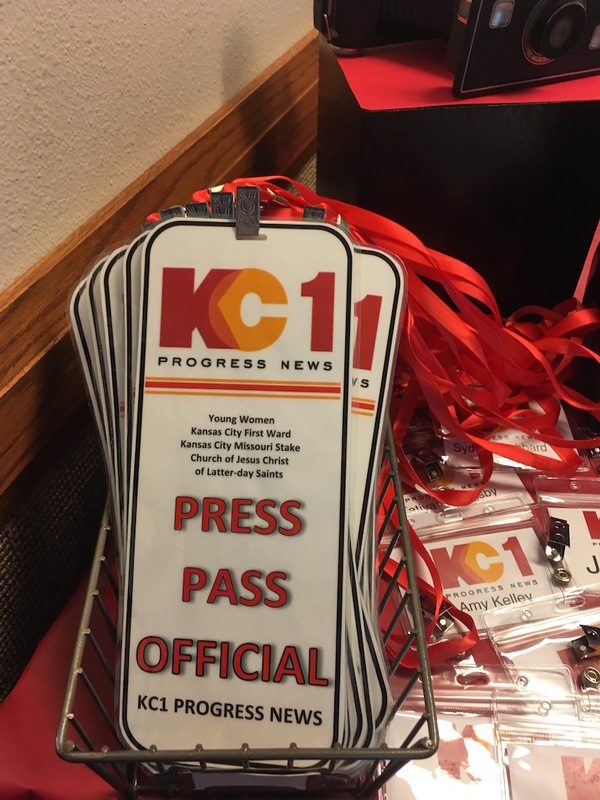 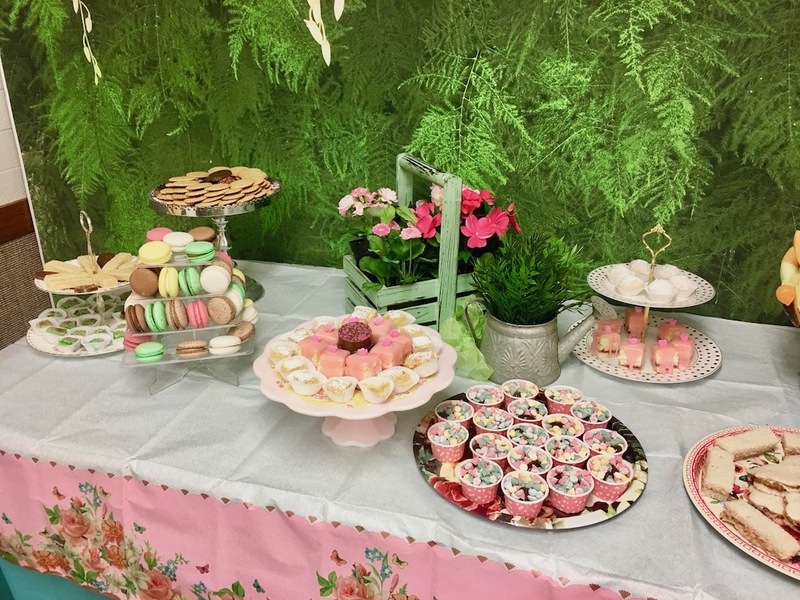 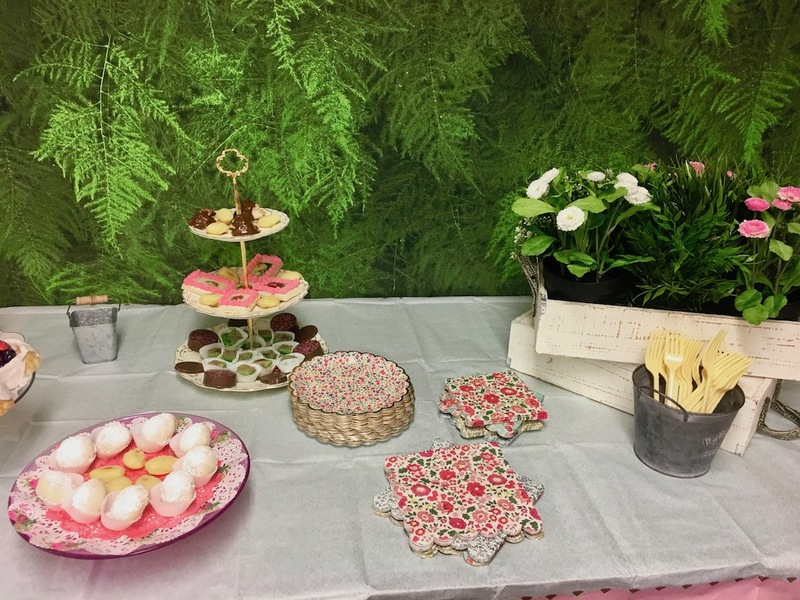 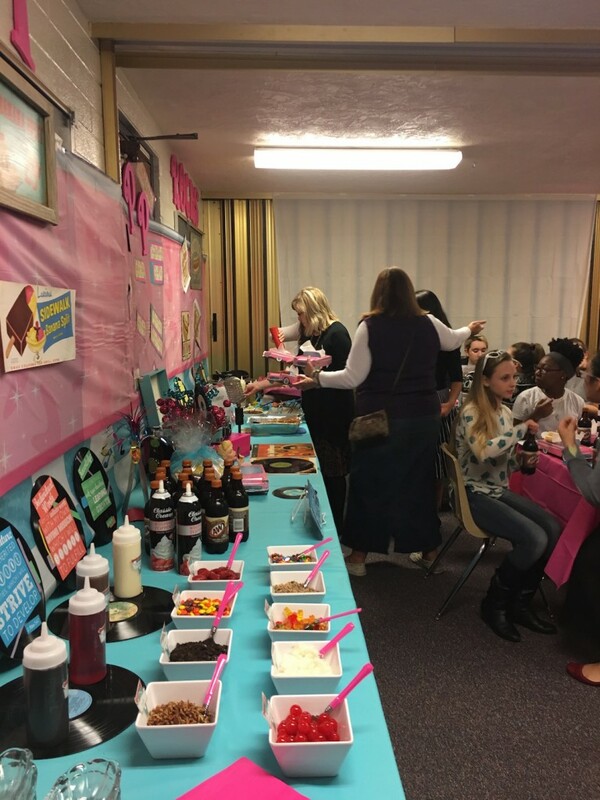 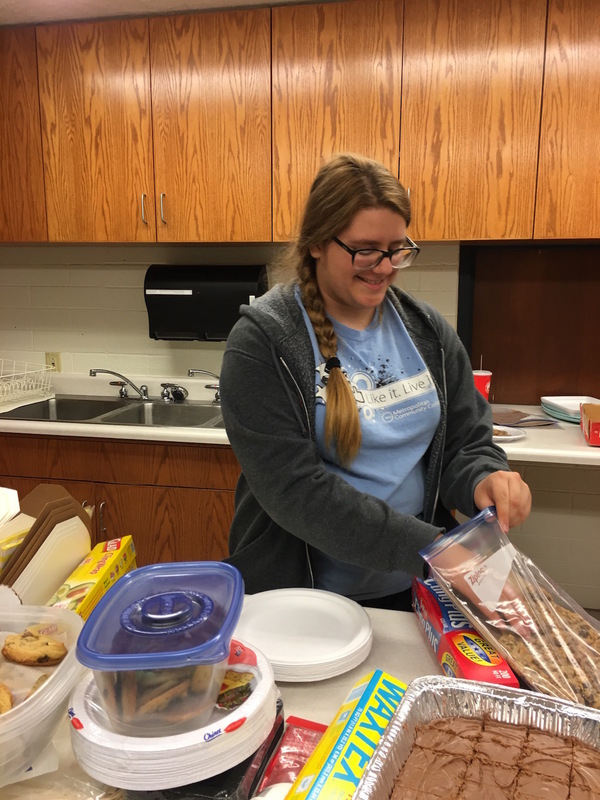 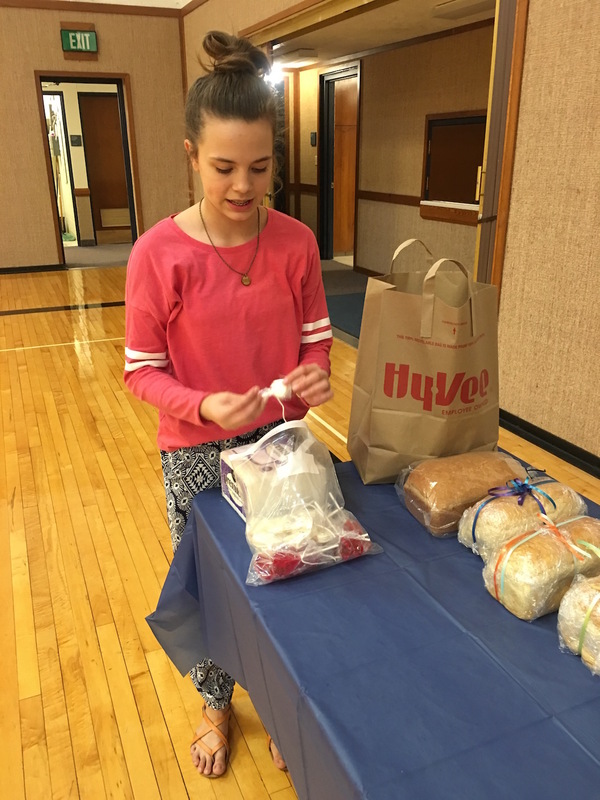 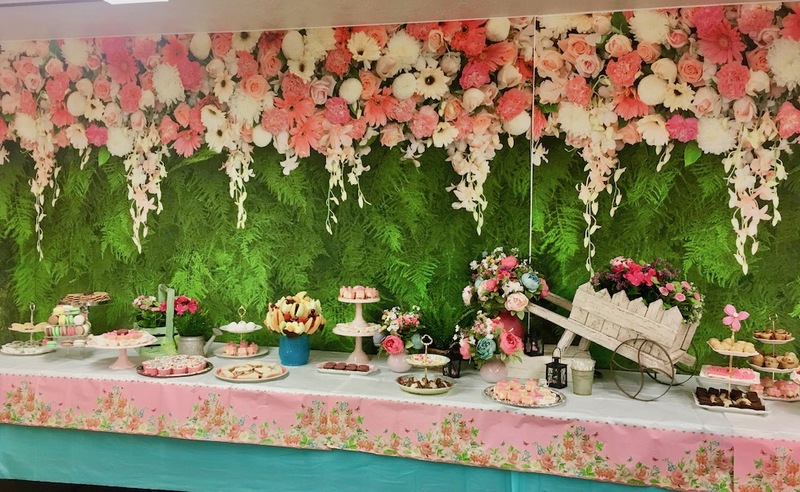 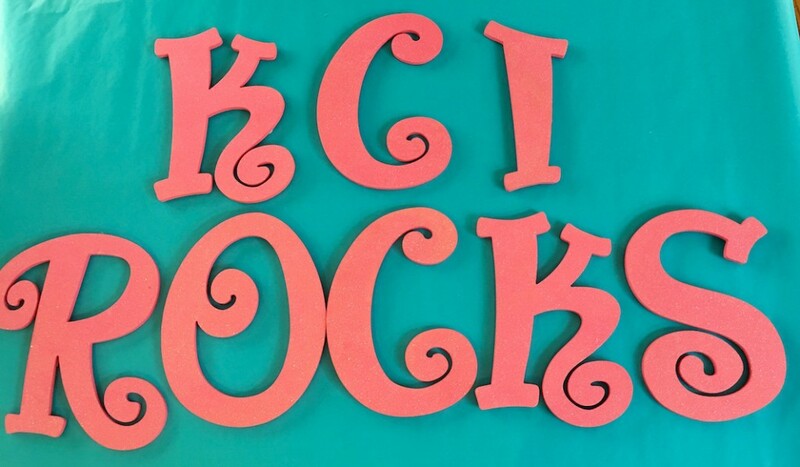 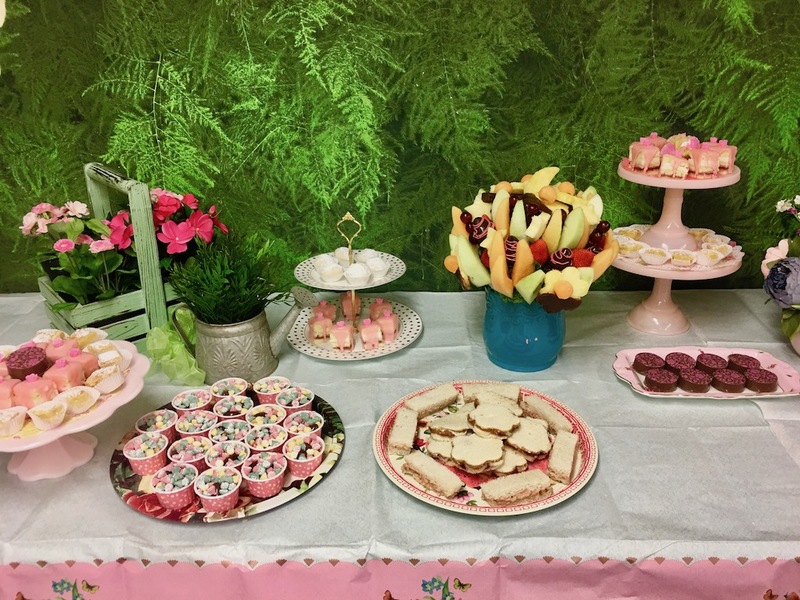 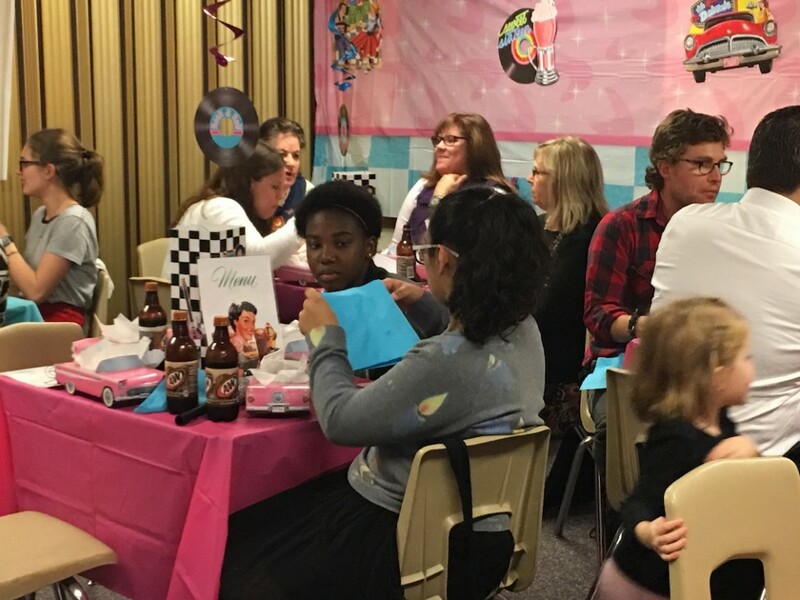 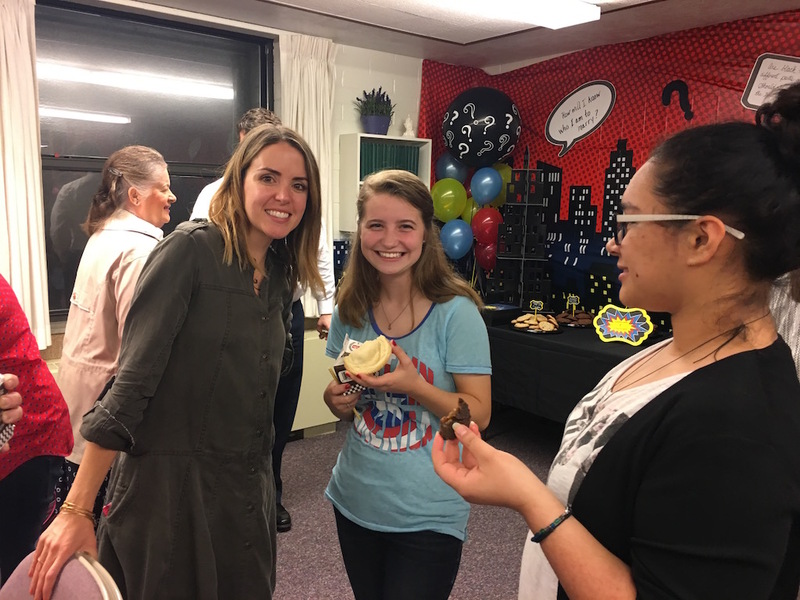 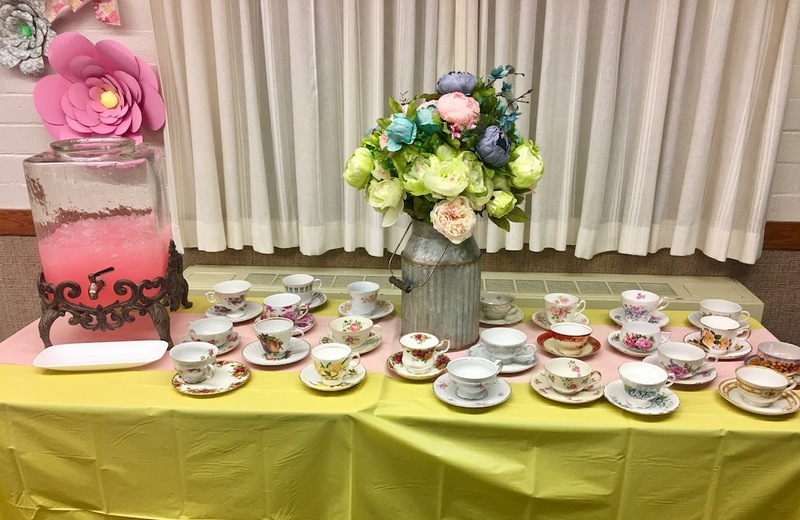 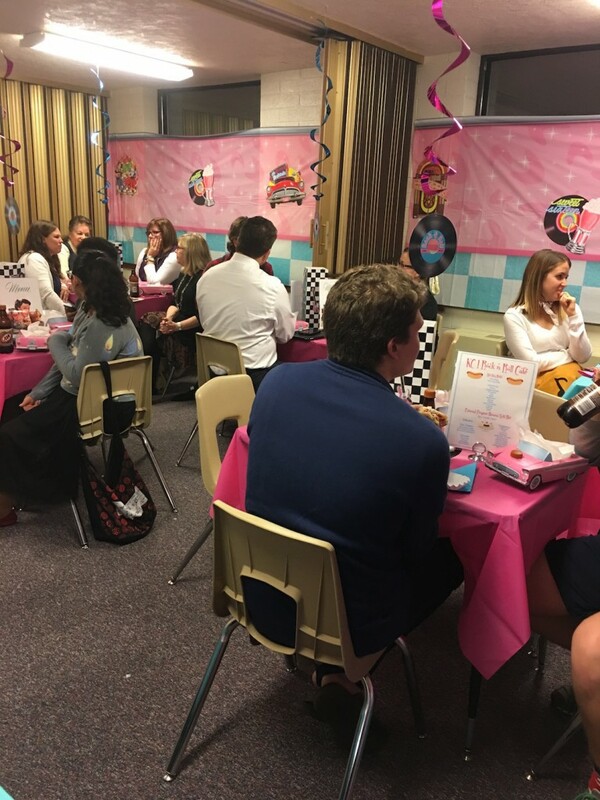 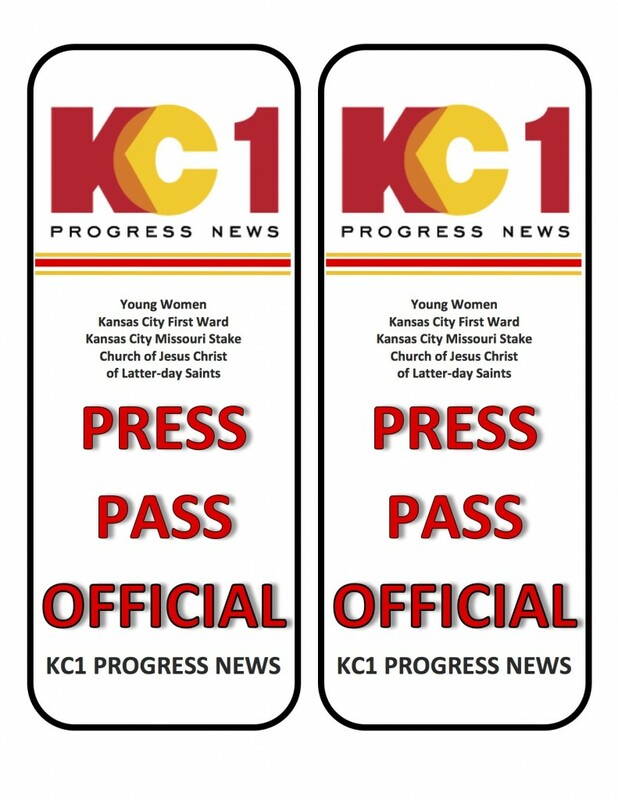 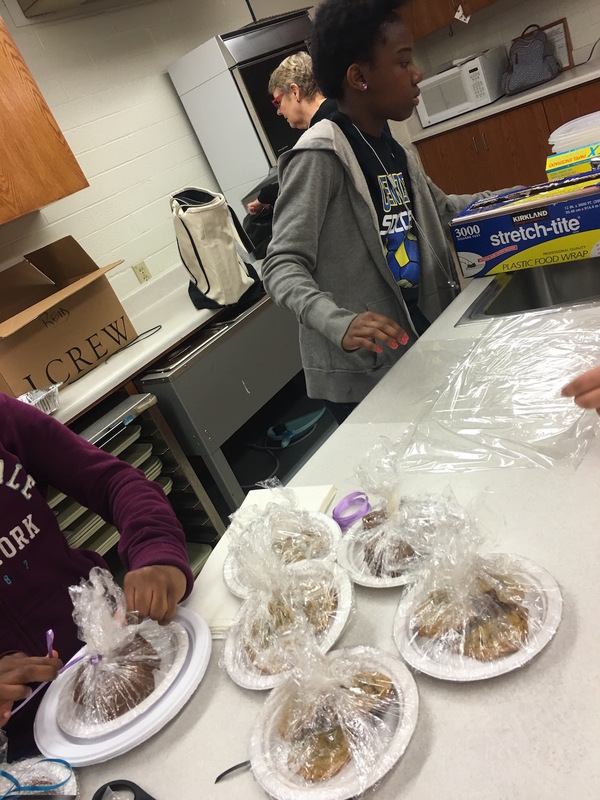 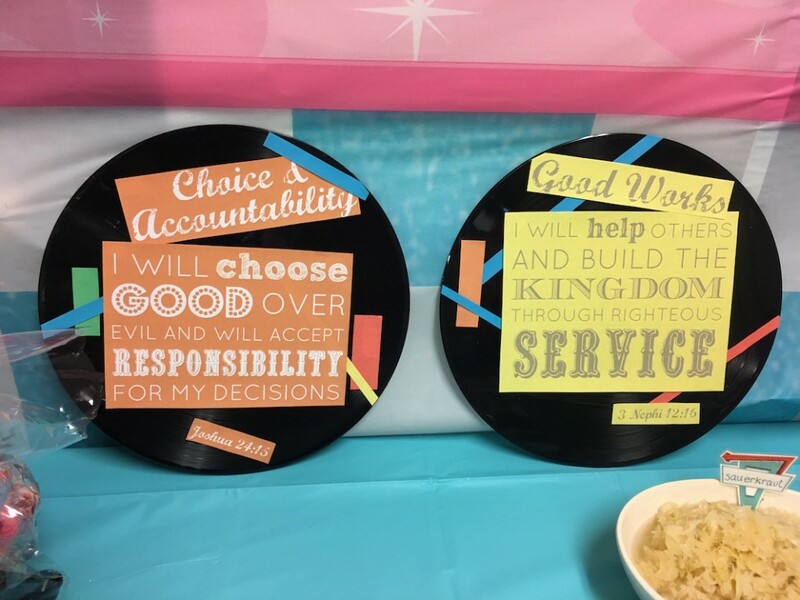 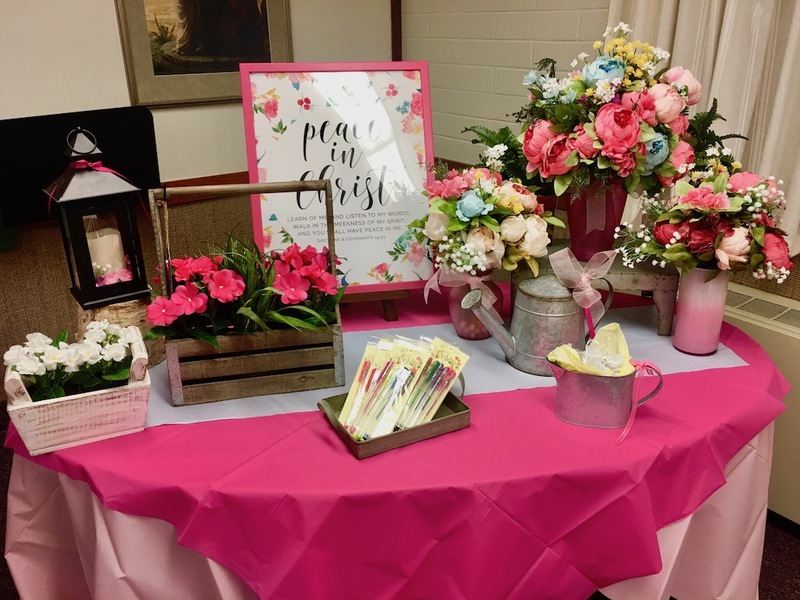 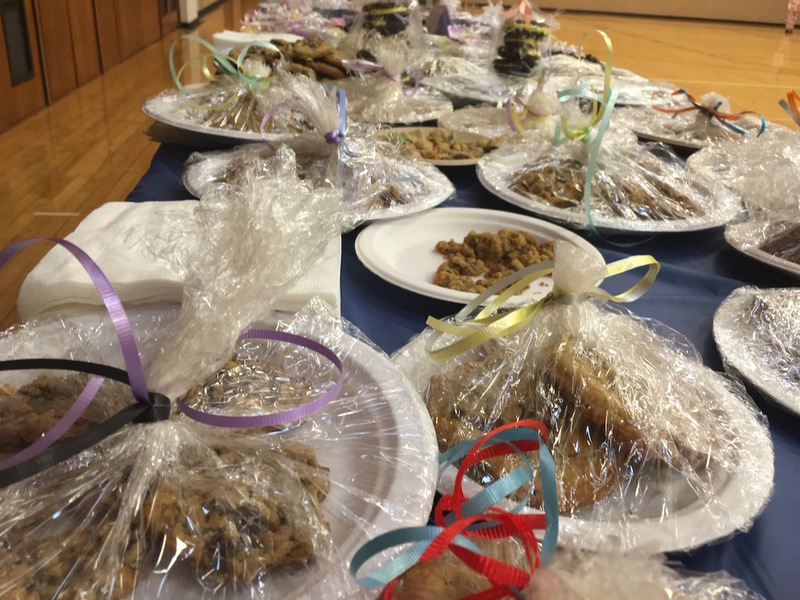 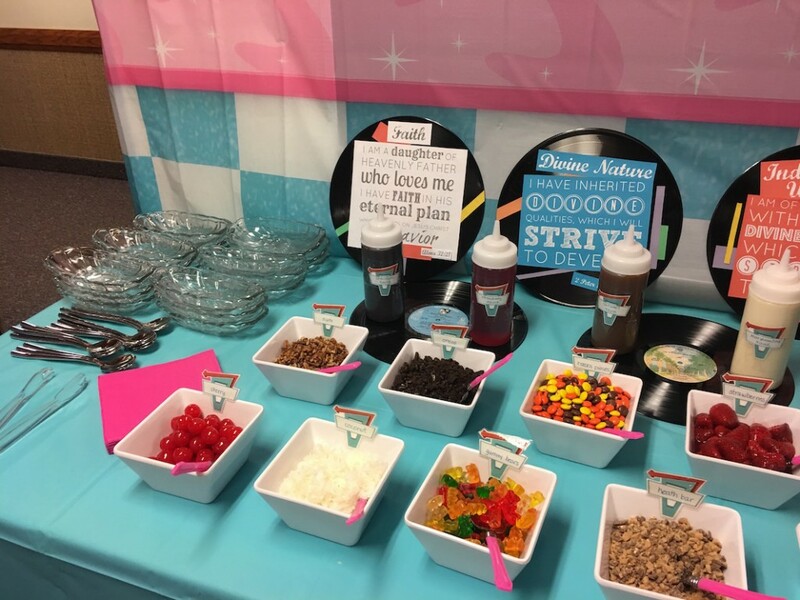 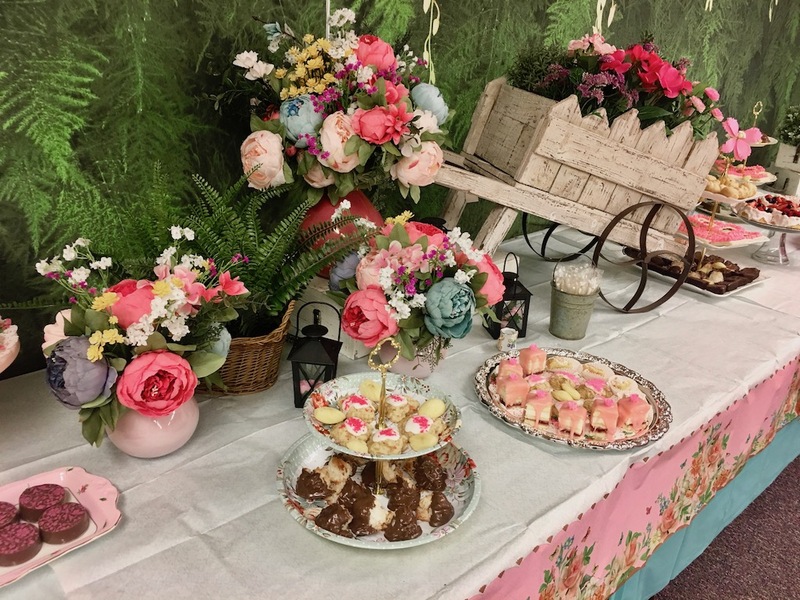 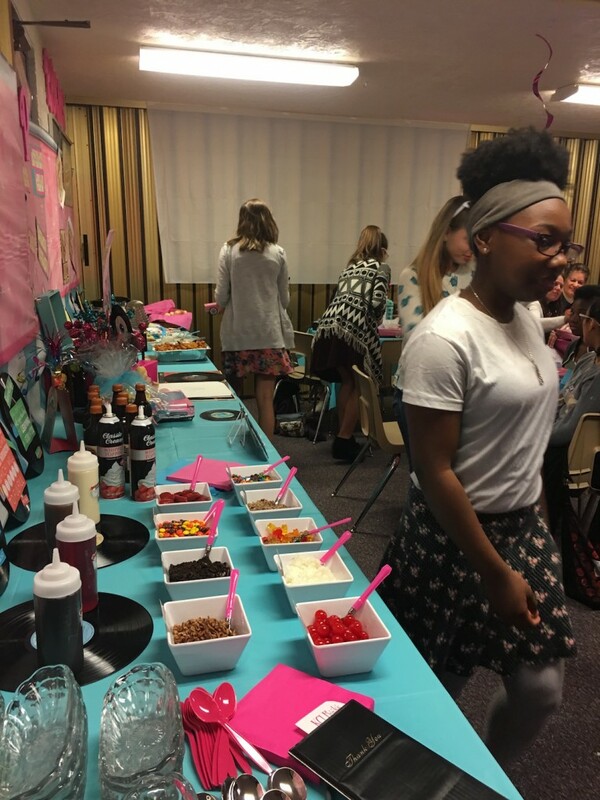 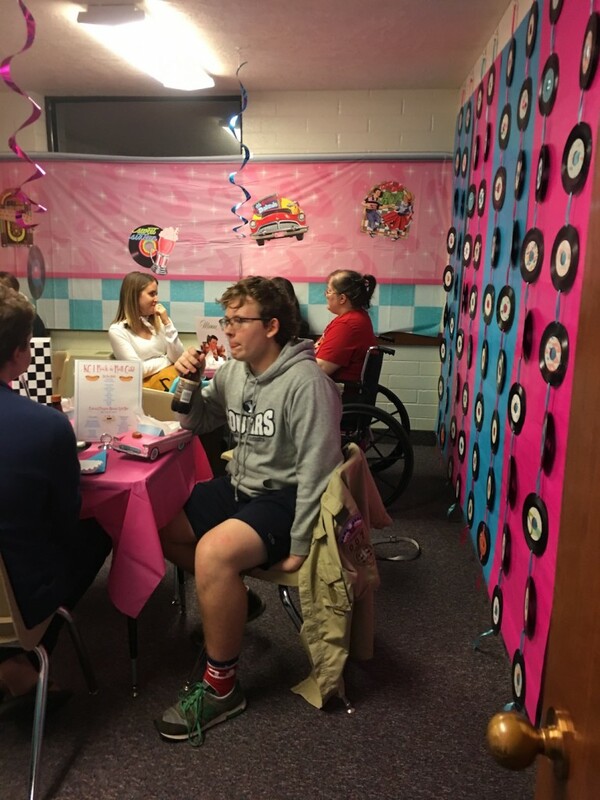 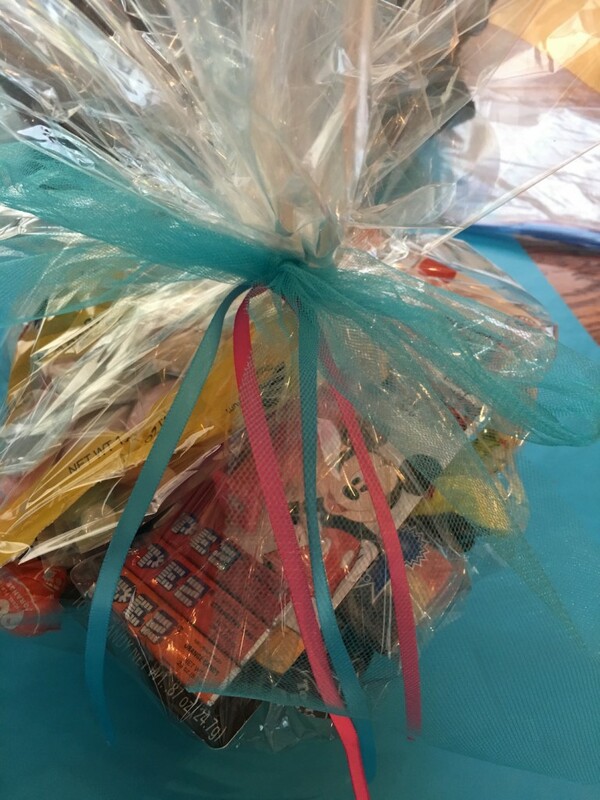 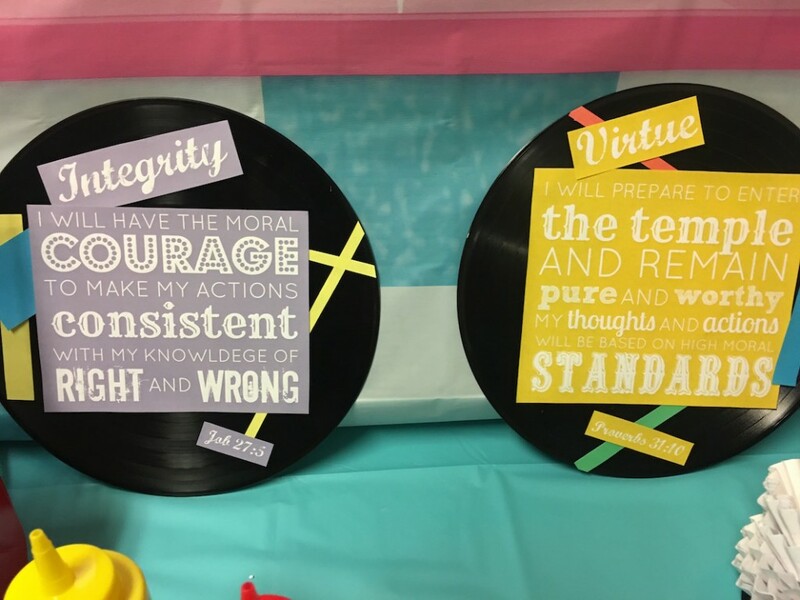 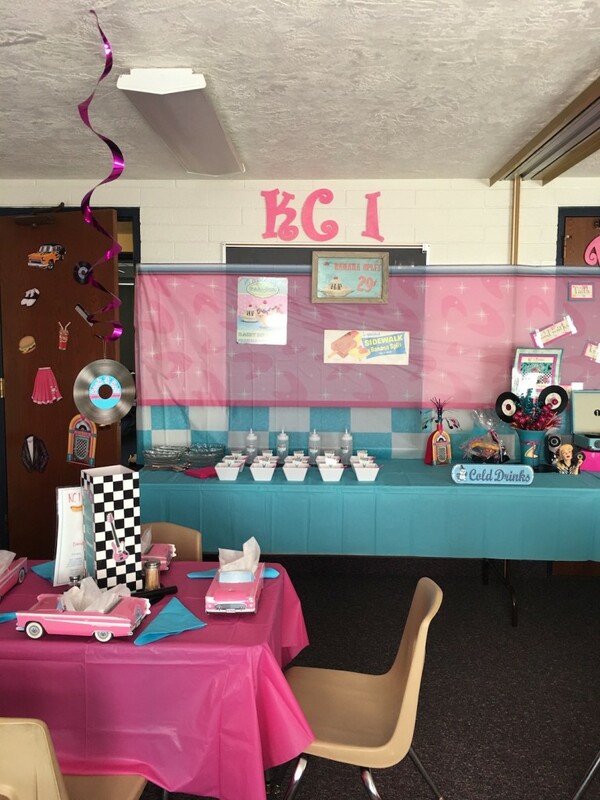 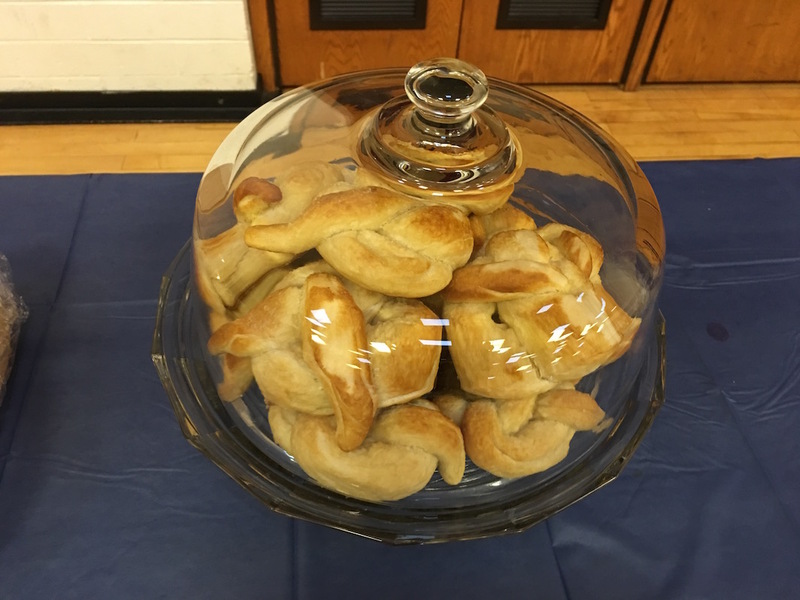 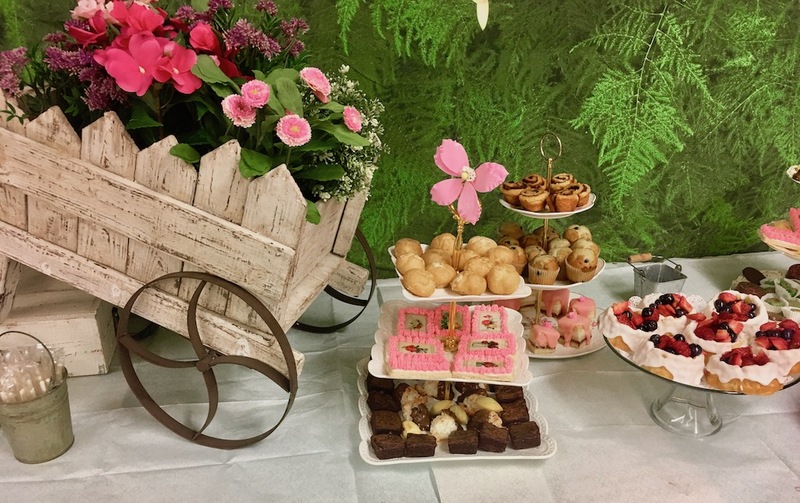 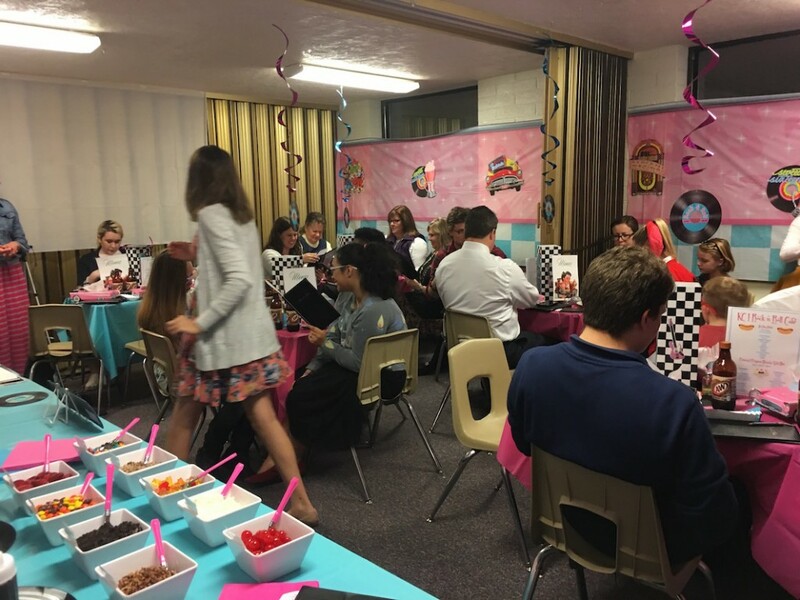 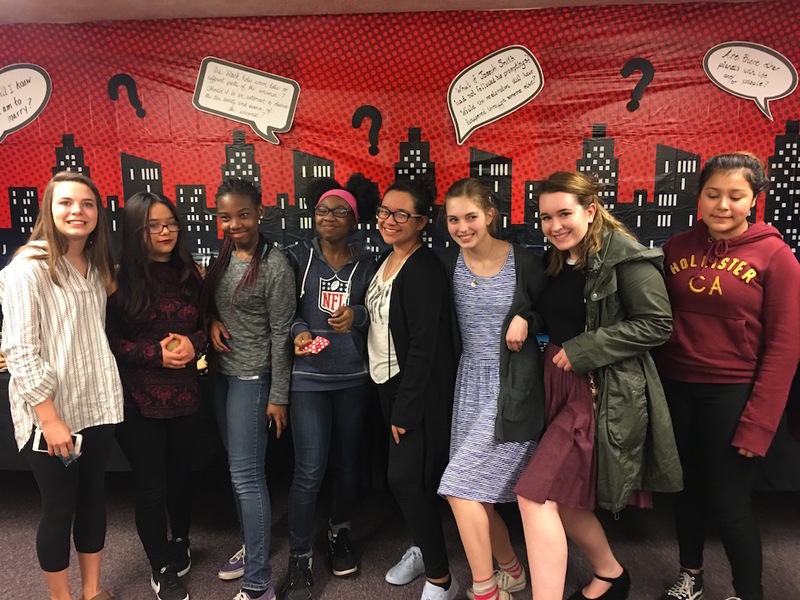 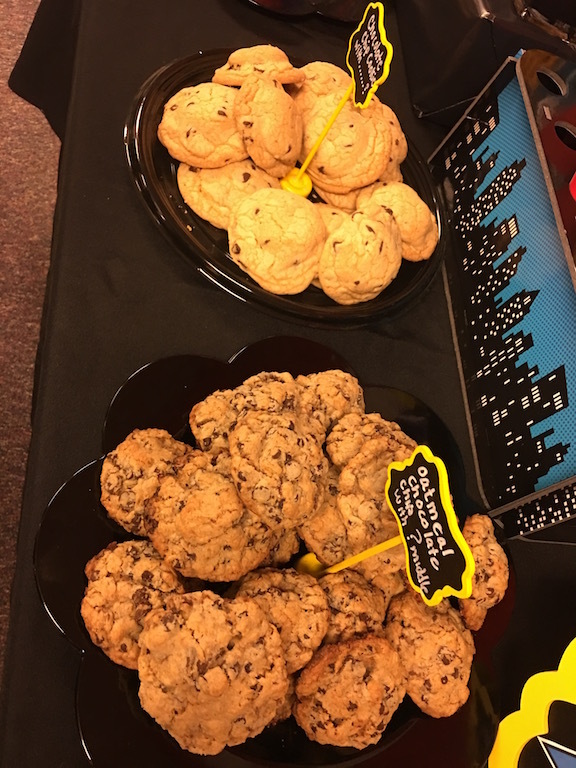 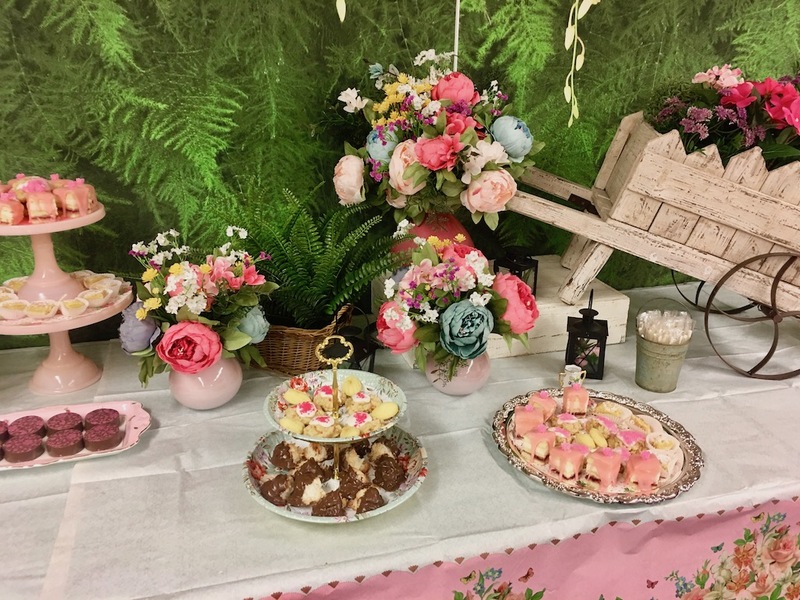 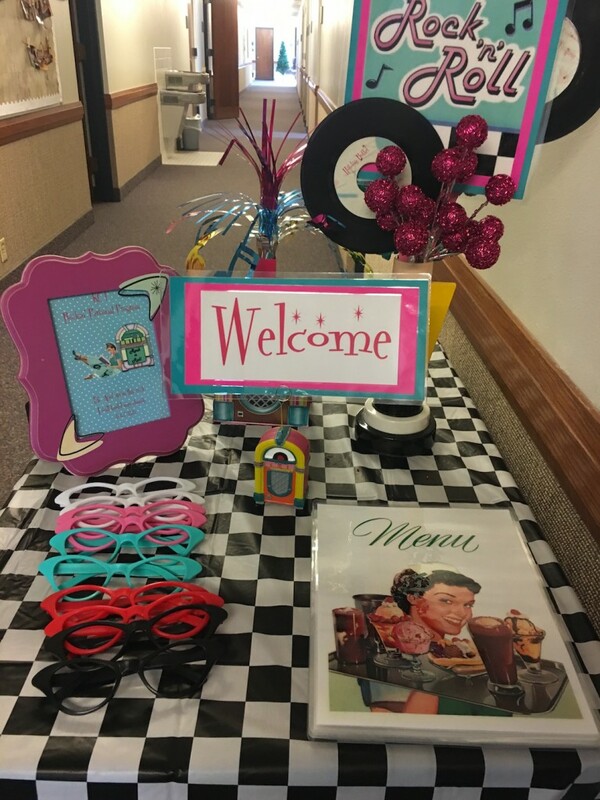 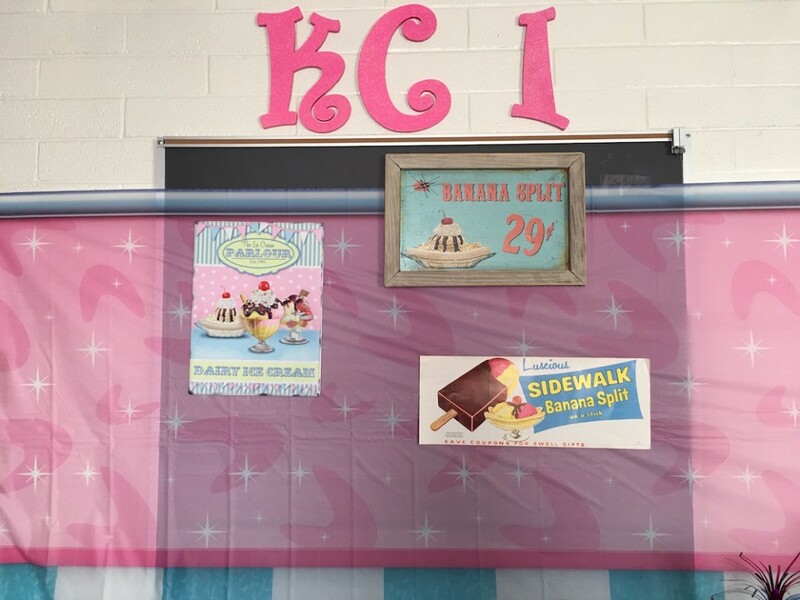 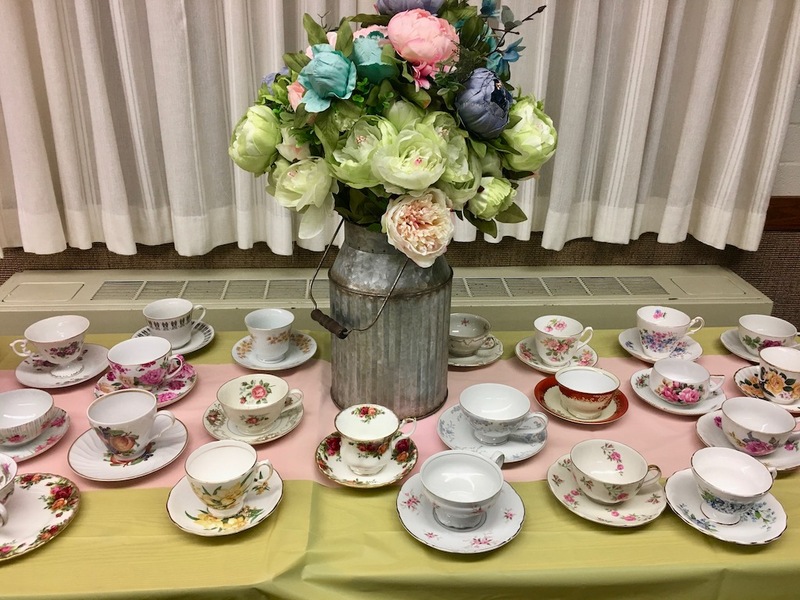 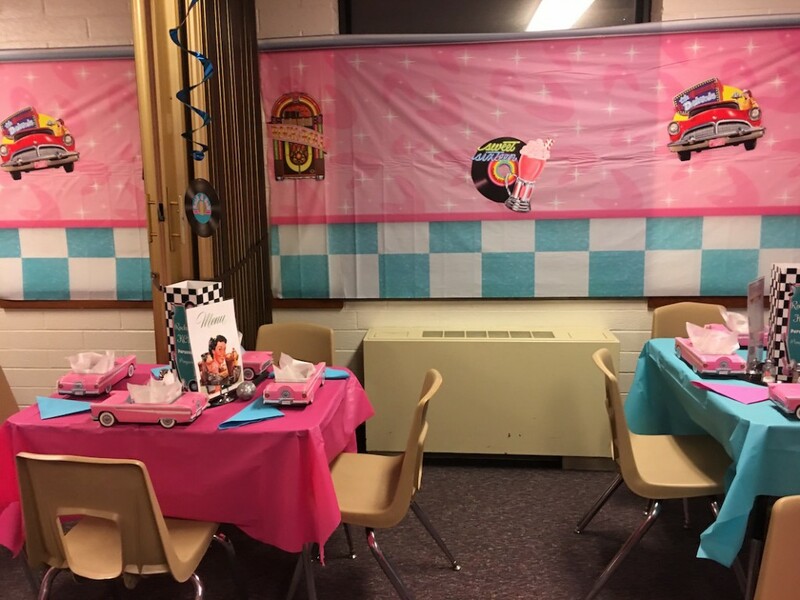 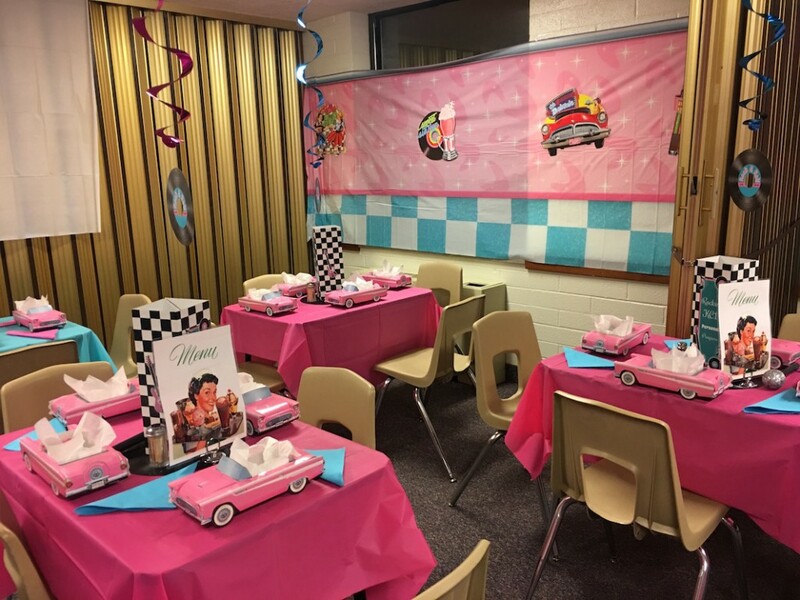 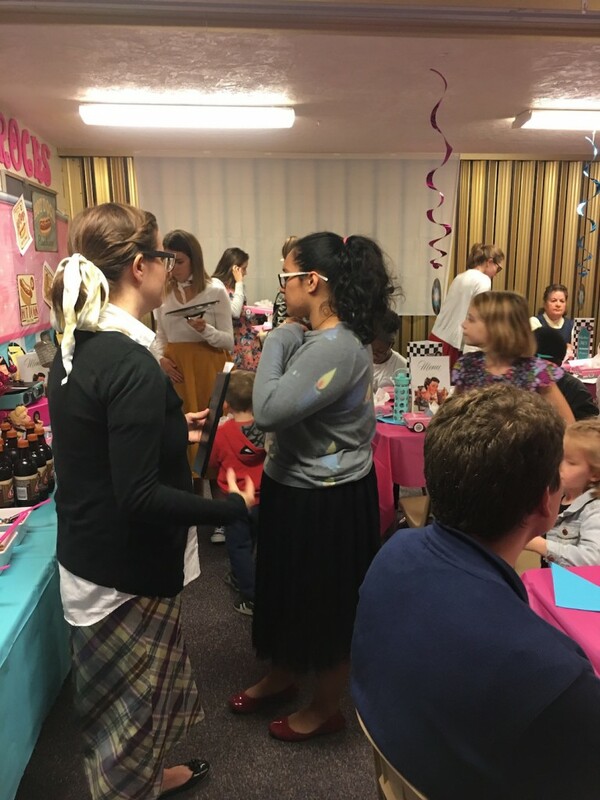 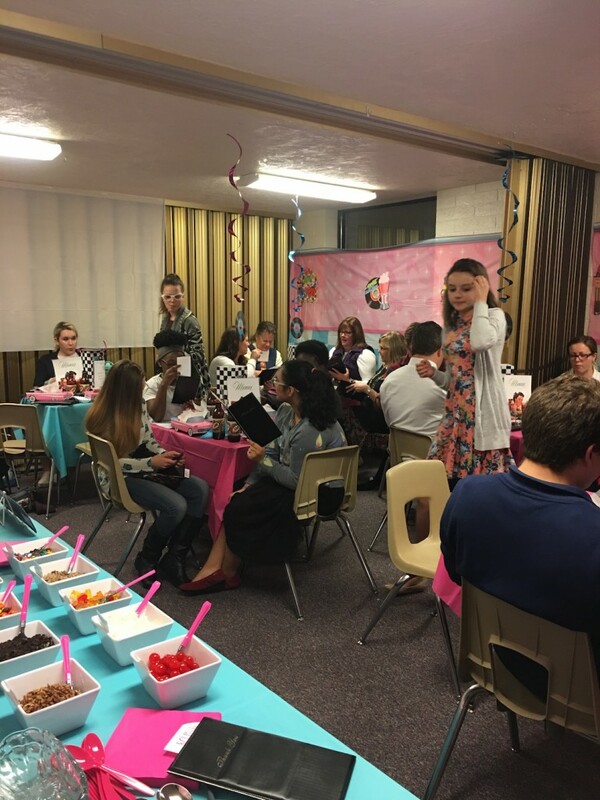 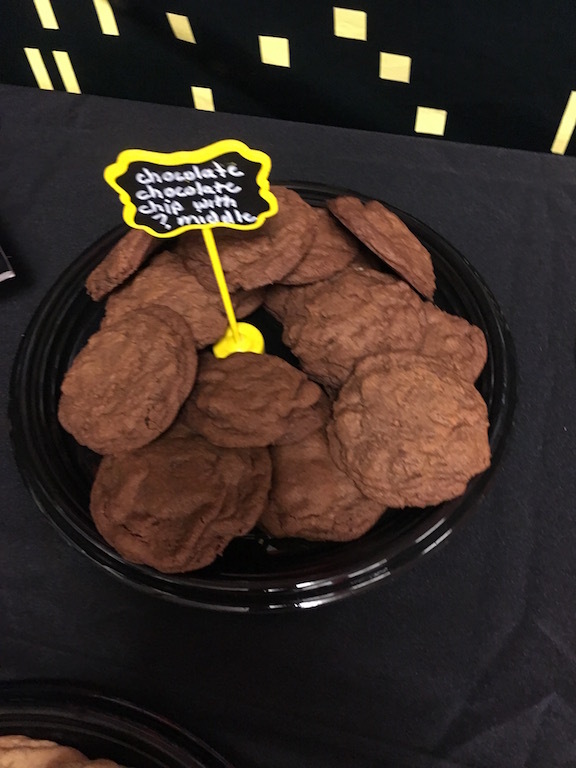 The Camp Fundraiser for the Kansas City First Ward Young Women was to do our Mormon Breakout Rooms for the ward and have a bake sale in conjunction with it. 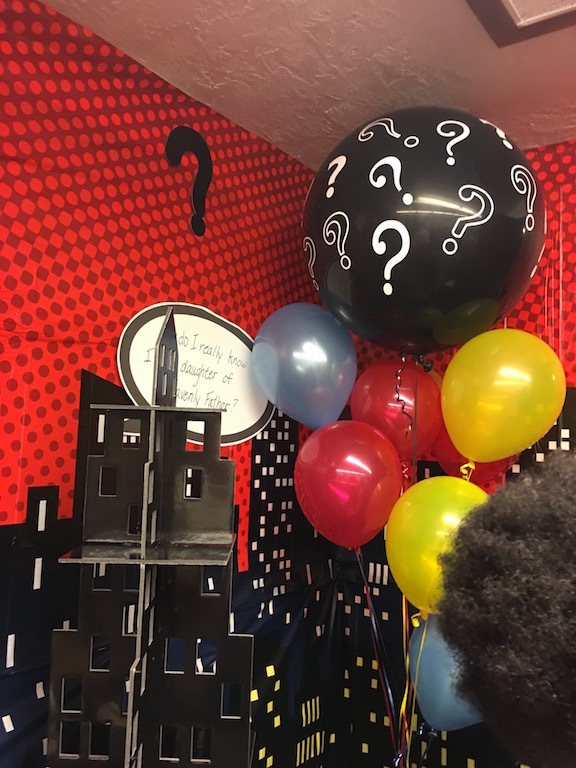 In addition to our 3 rooms that we have done before using the theme, “Breakout from the Missionaries Apartment” we also had a new one that had a “Campout theme”. 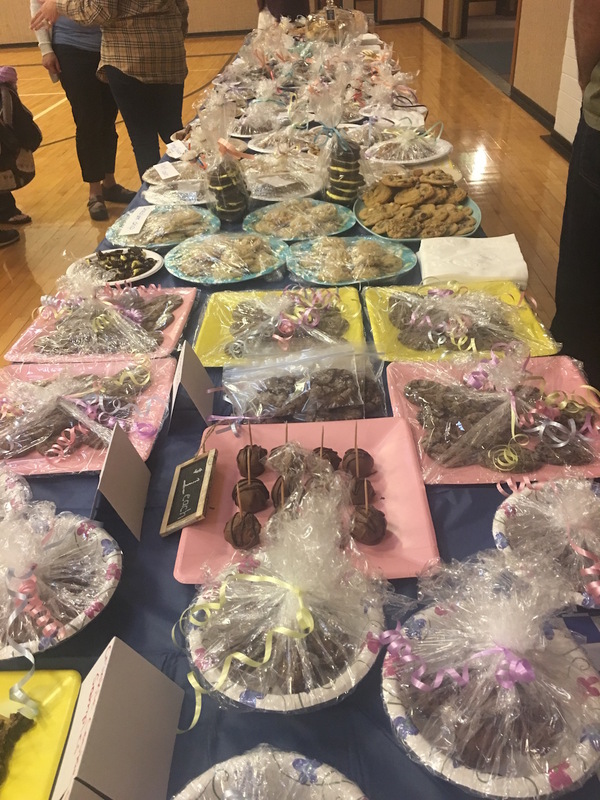 All four were run in 2 sessions with the bake sale going on all the time. 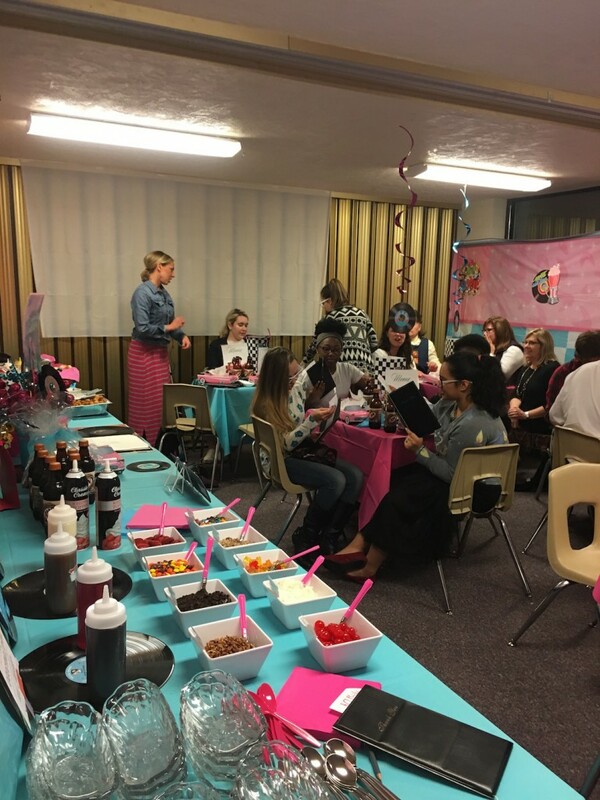 What a success!!! 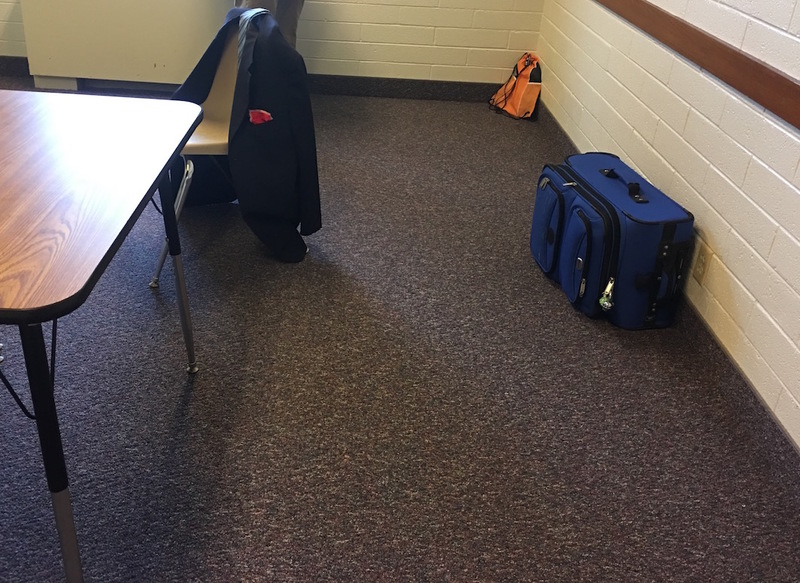 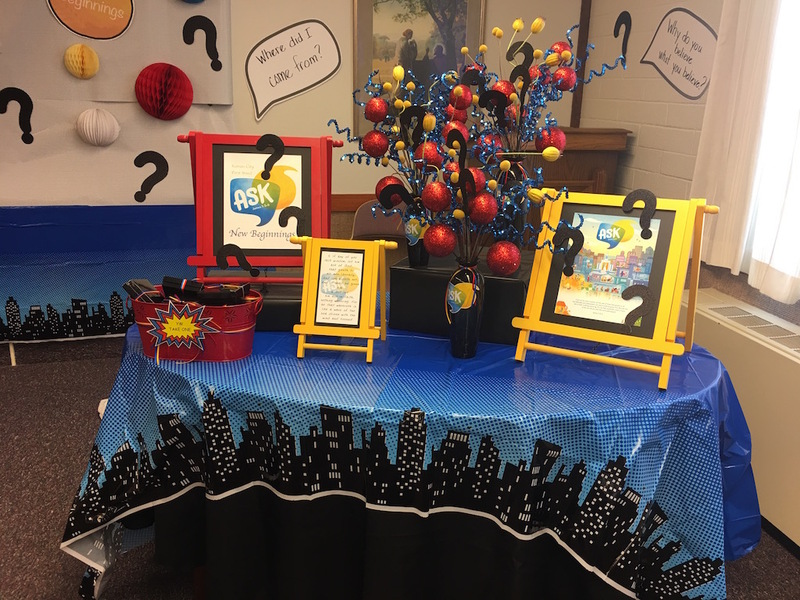 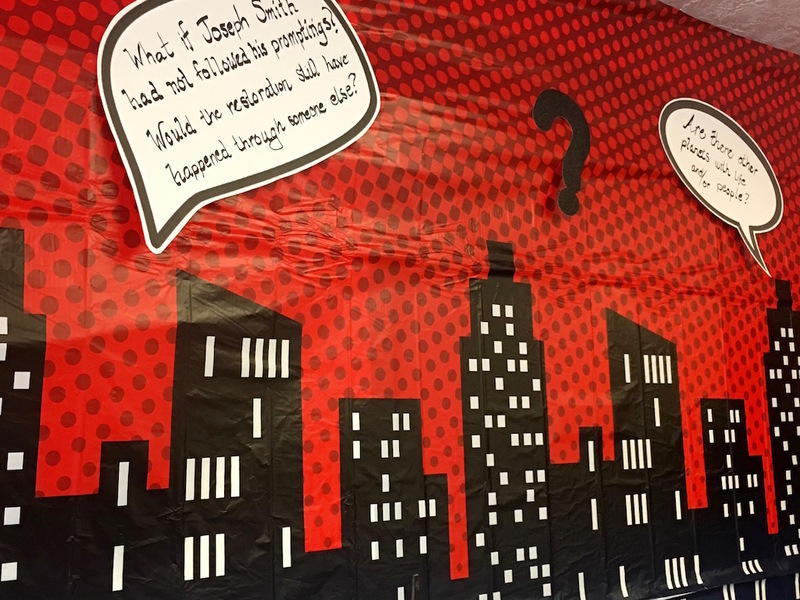 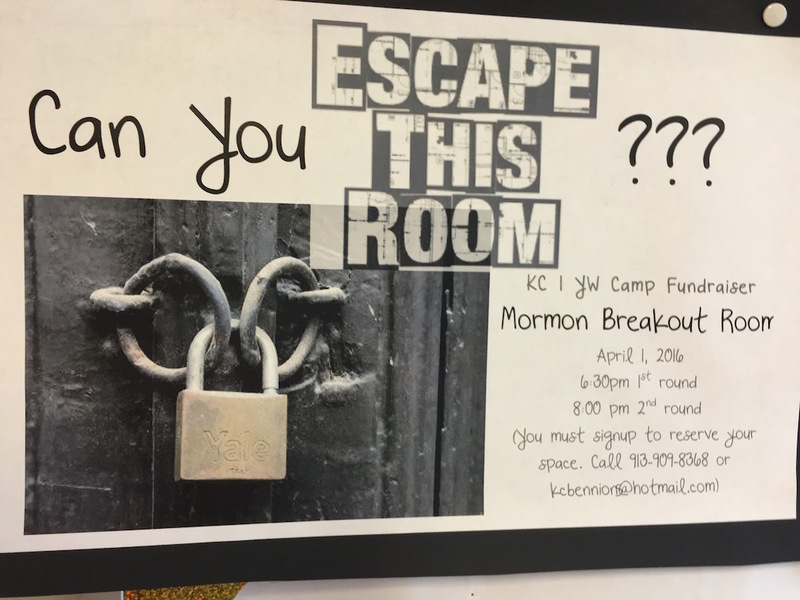 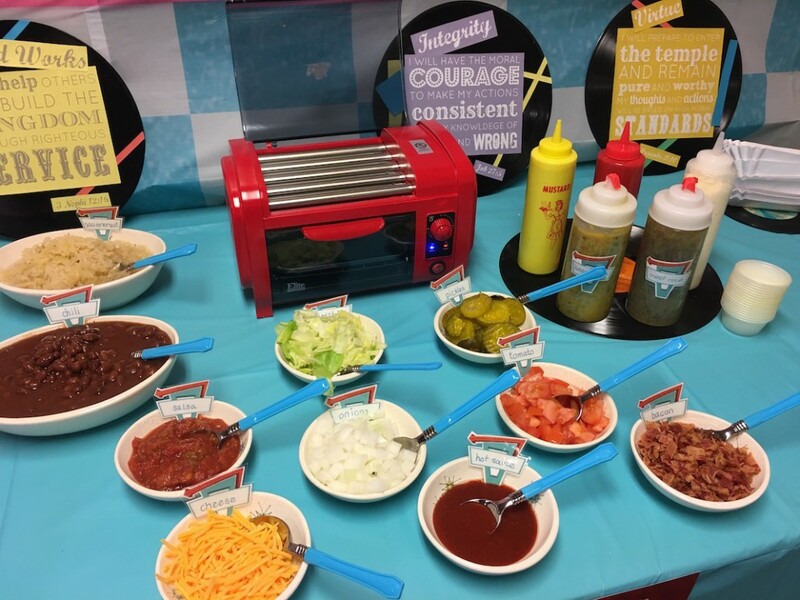 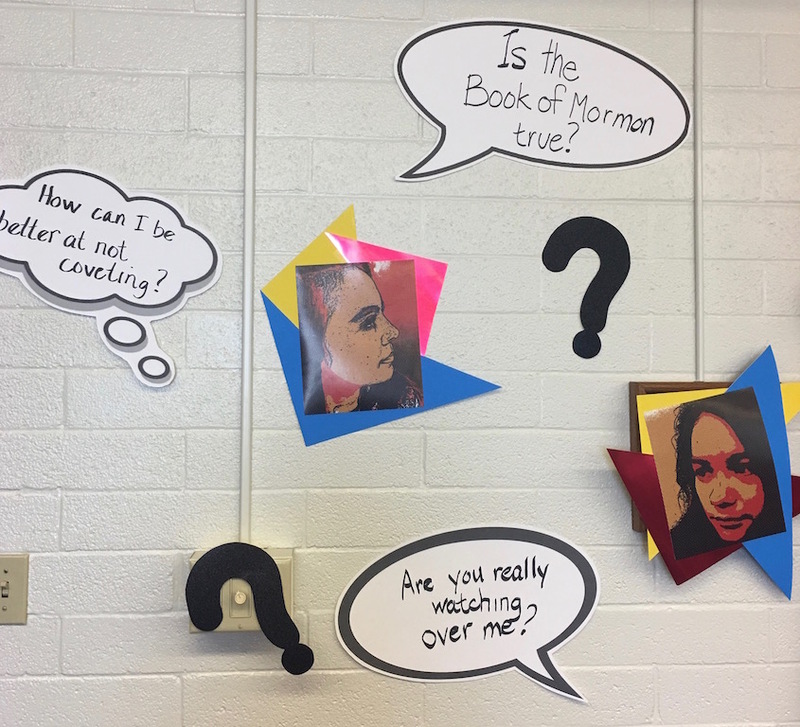 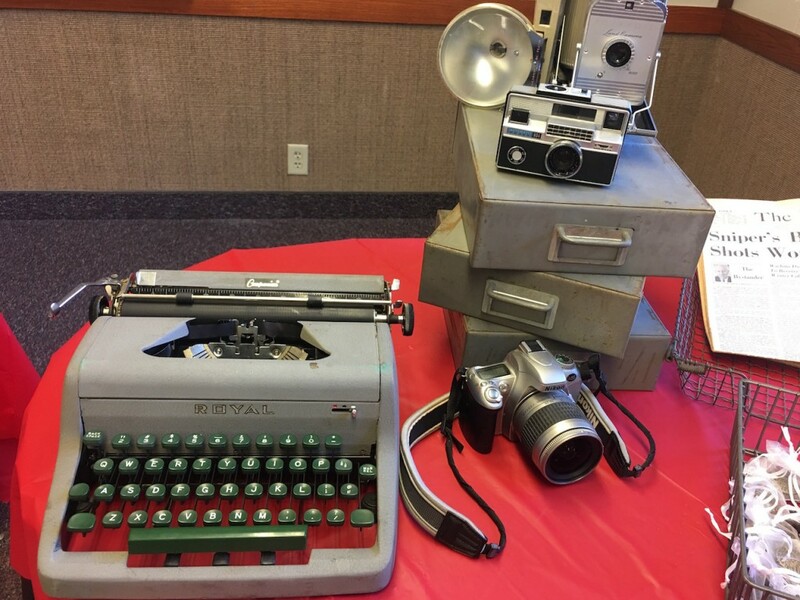 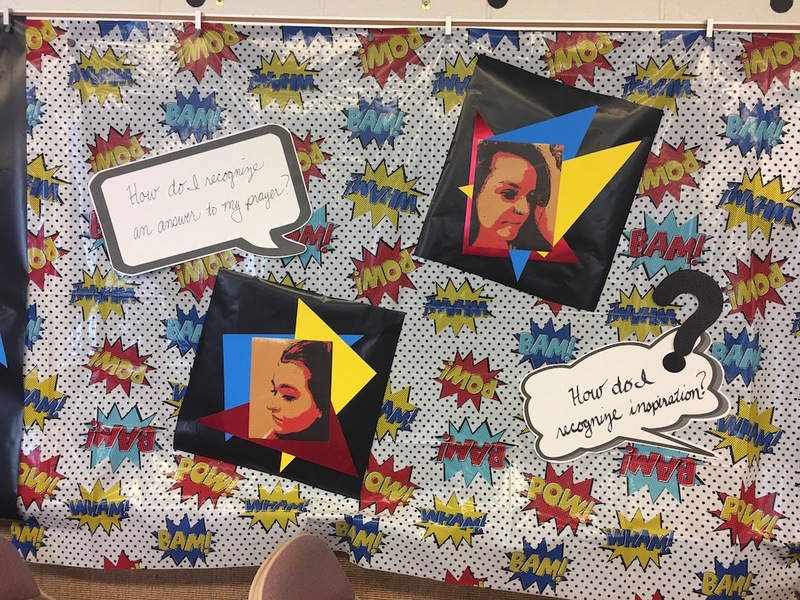 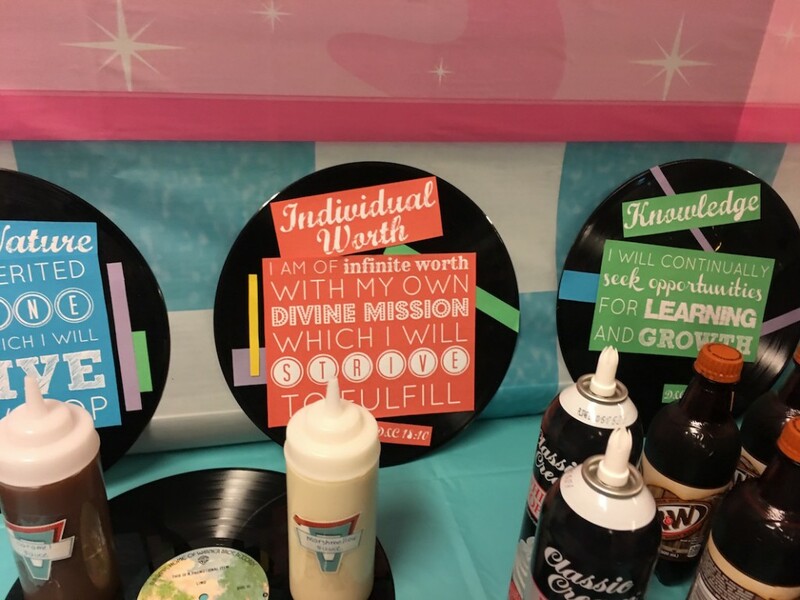 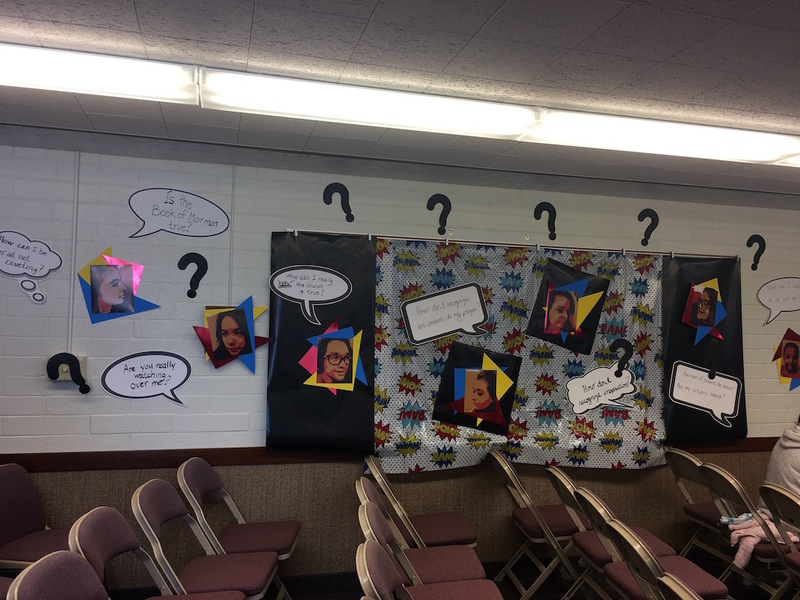 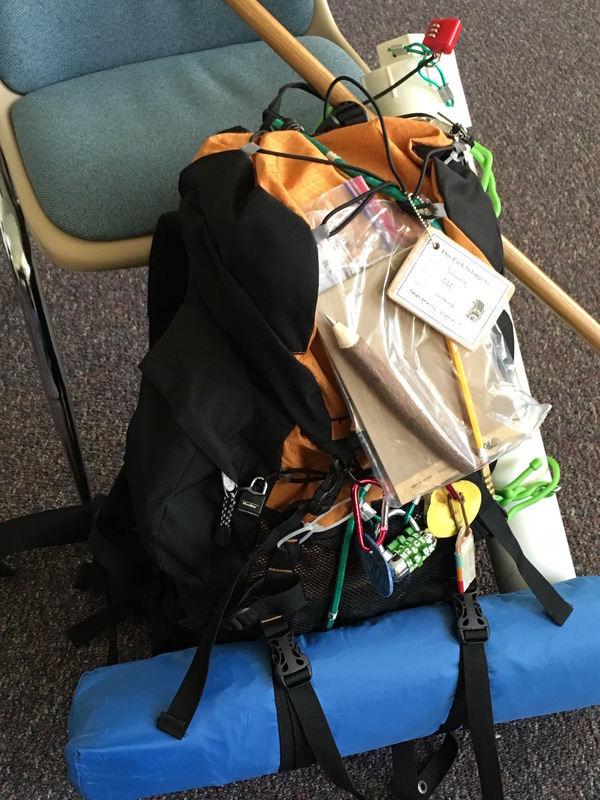 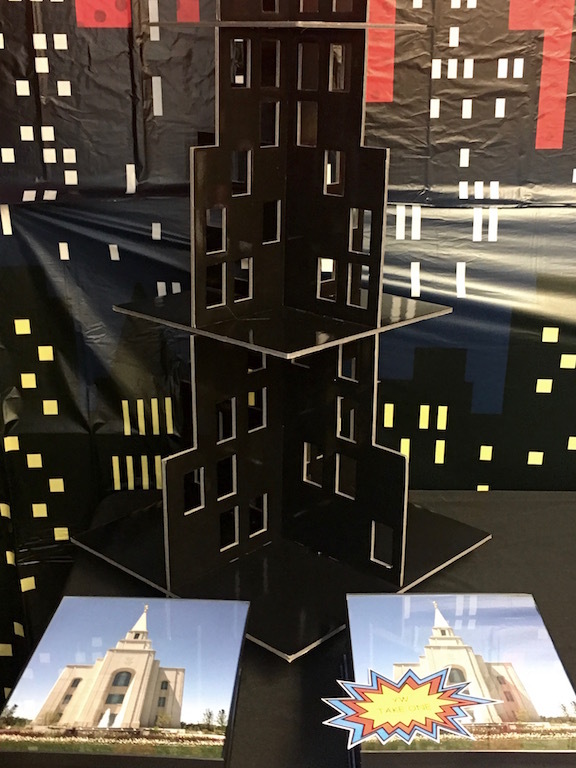 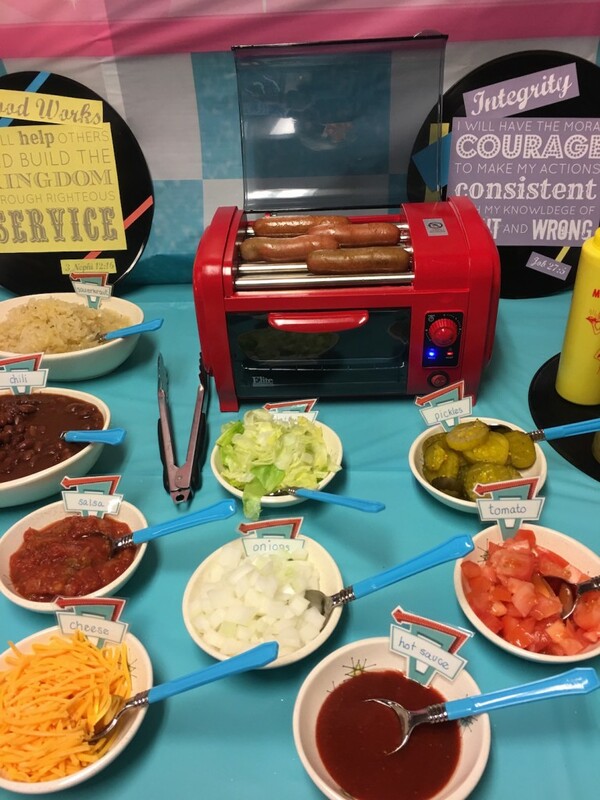 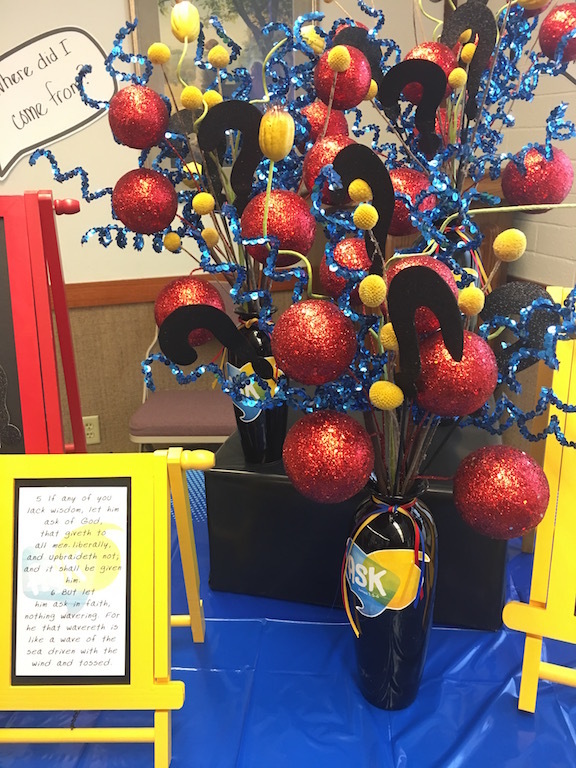 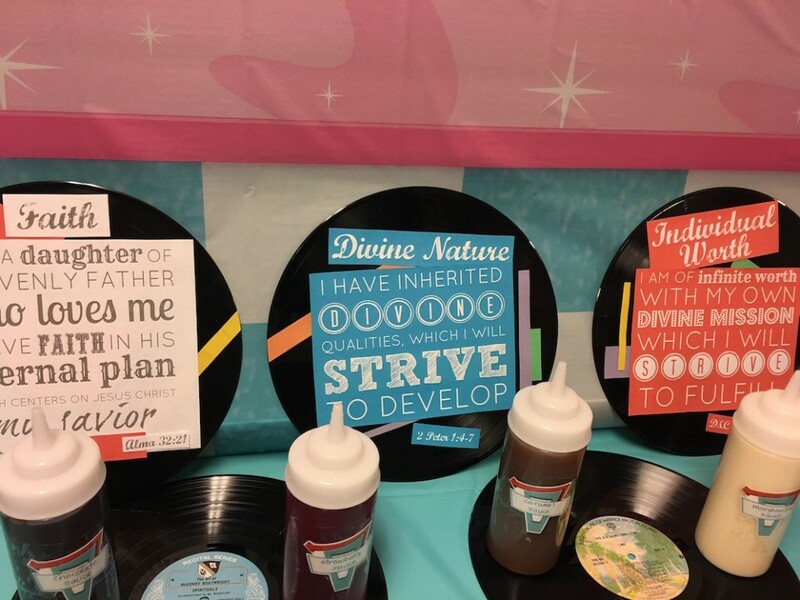 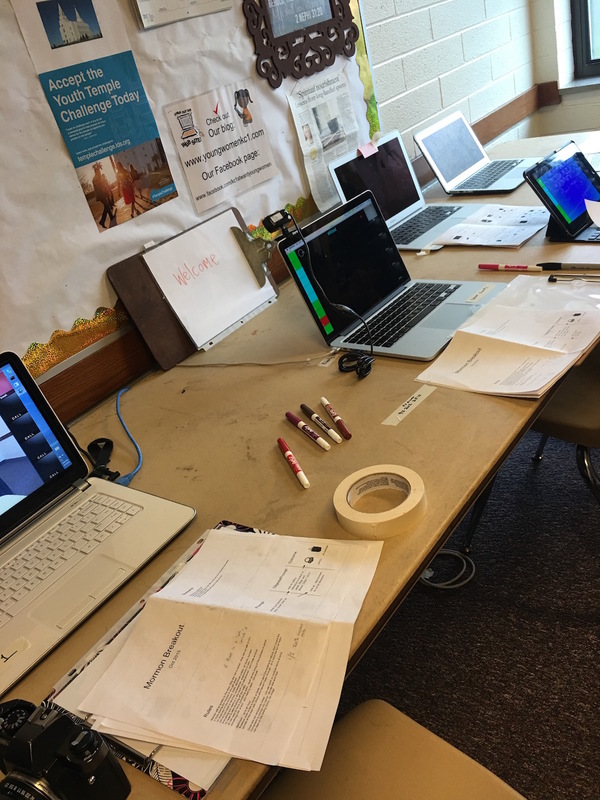 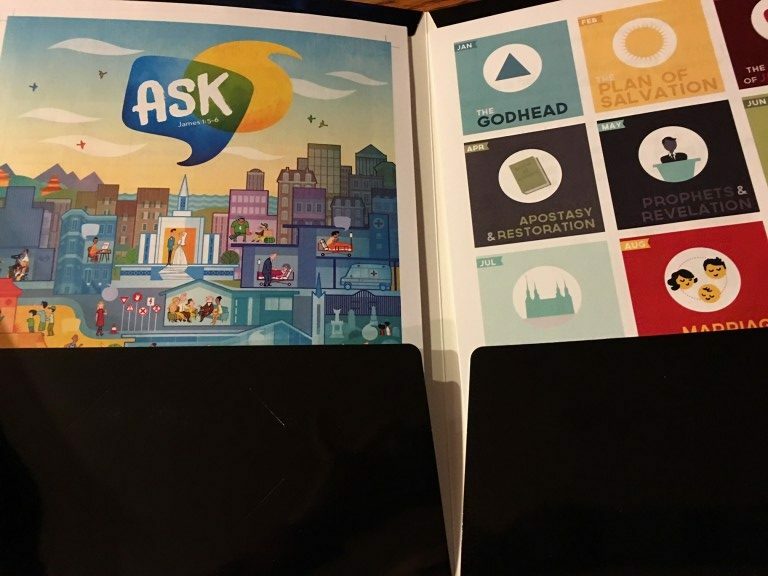 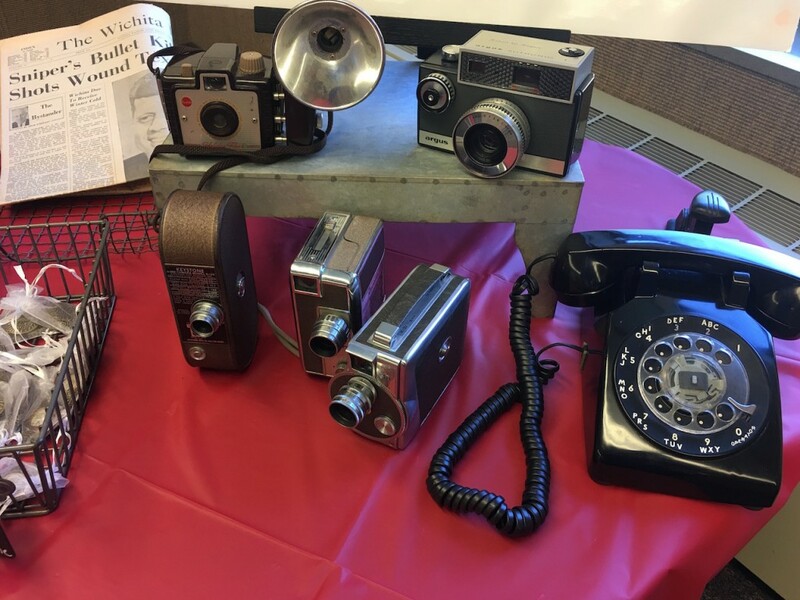 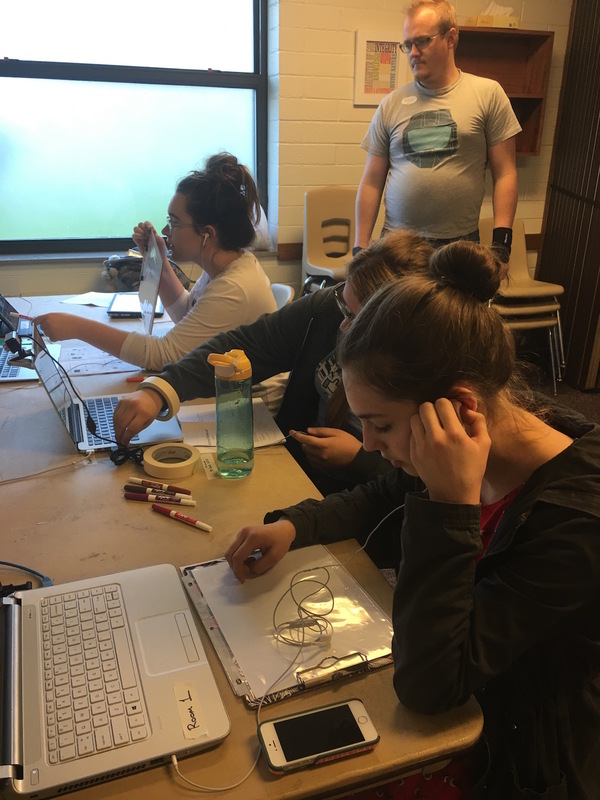 This entry was posted in YW Camp and tagged Escape Room, Fund Raiser Camp, Mormon Breakout Room. 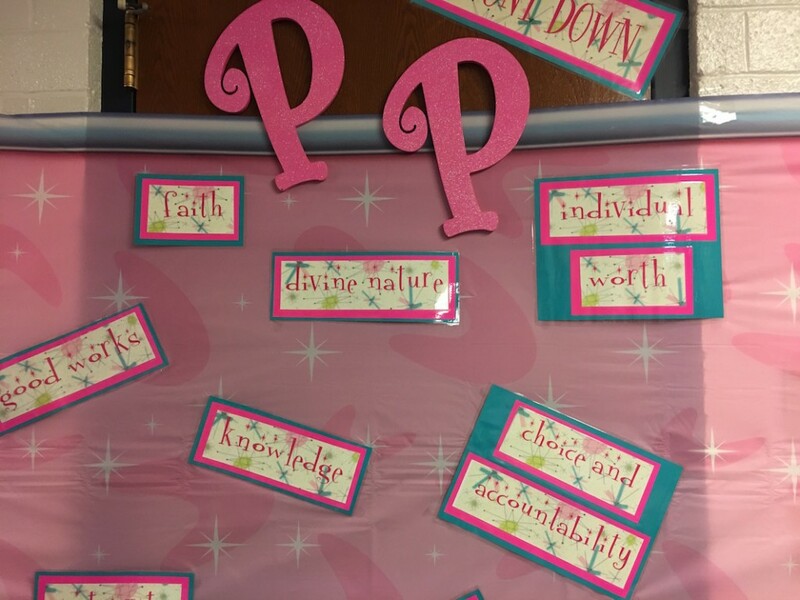 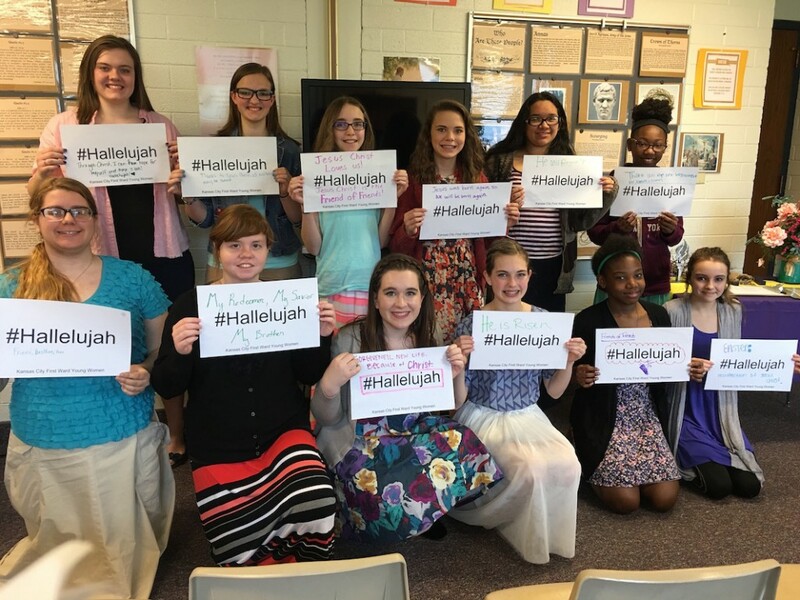 This entry was posted in Lesson, What we believe and tagged #Hallelujah, LDS Easter Campaign. 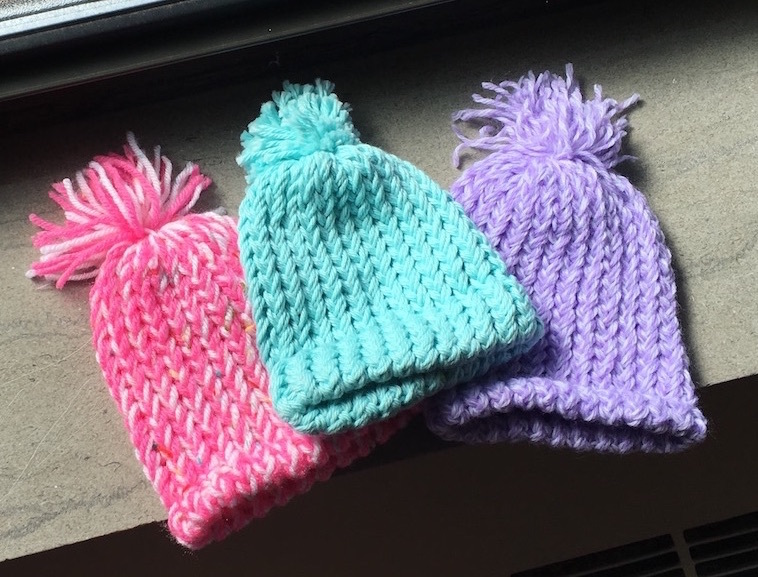 Our Young Women have completed nearly 80 newborn hats and donated them to various hospitals in our area! 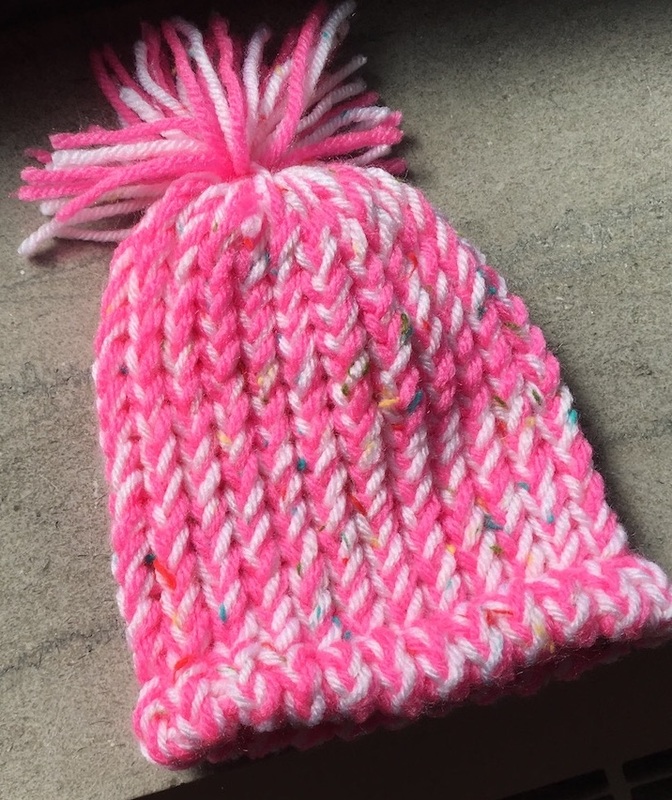 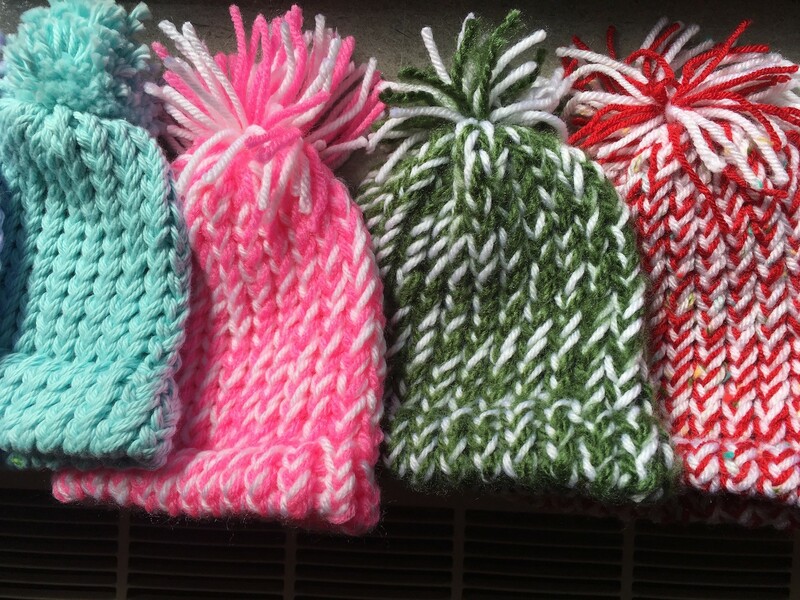 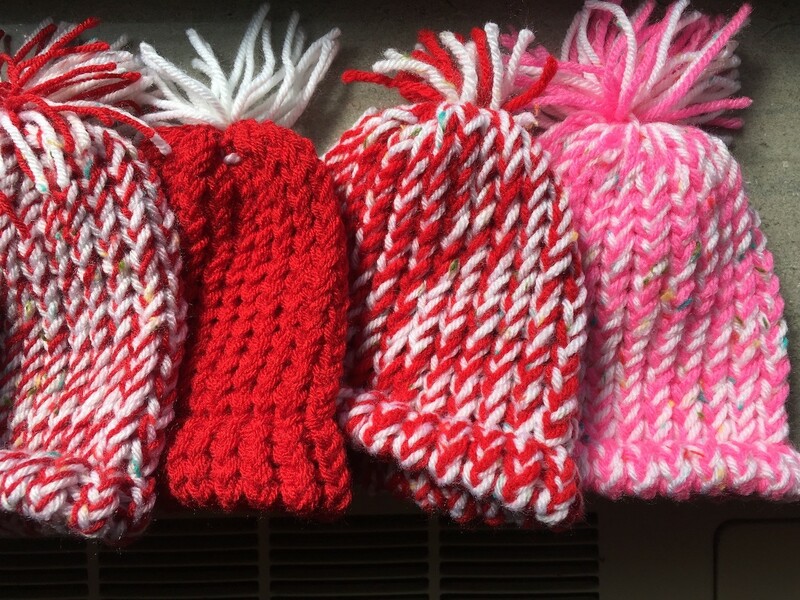 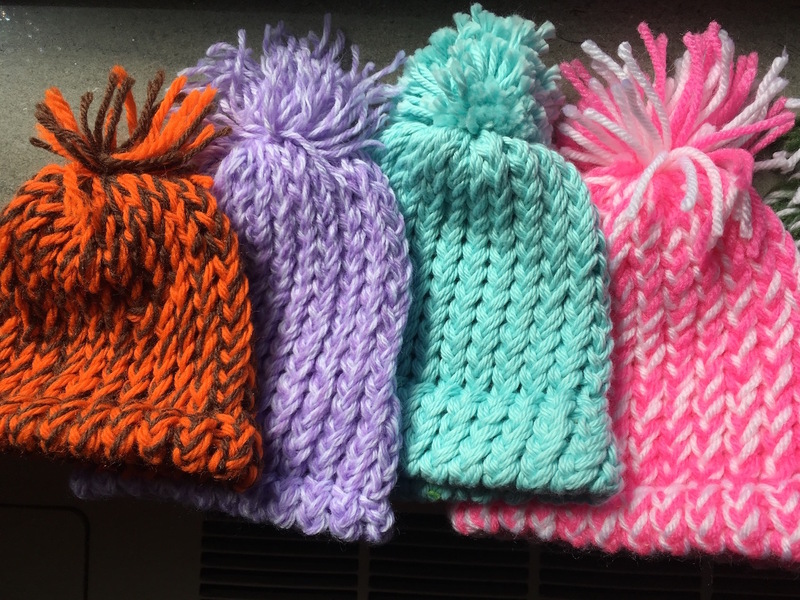 YW Service Project hand knit newborn hats for hospitals! 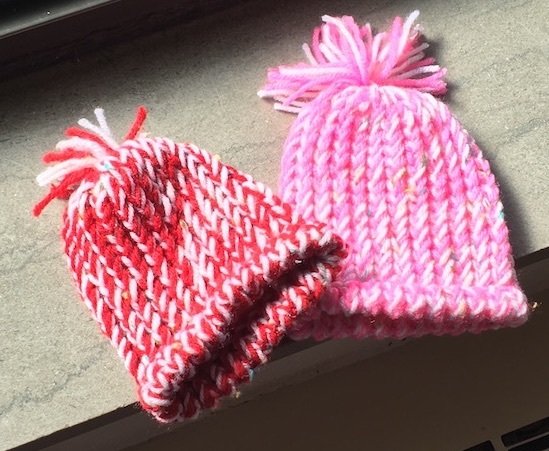 This entry was posted in Mutual Activity and tagged donation, Mutual Activity, Newborn hats, Service Project.